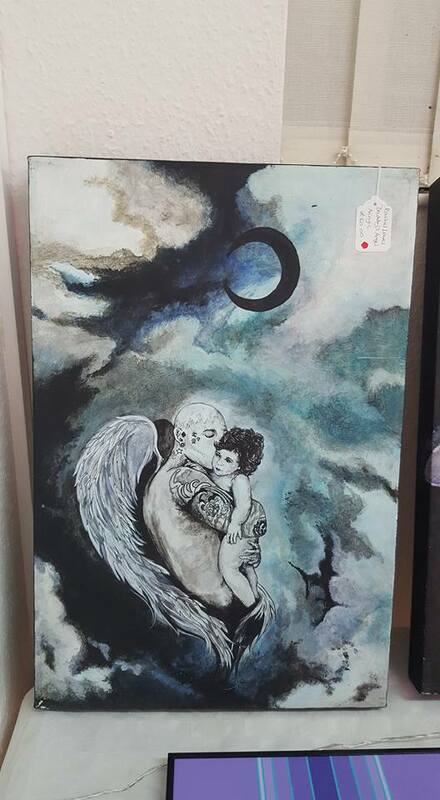 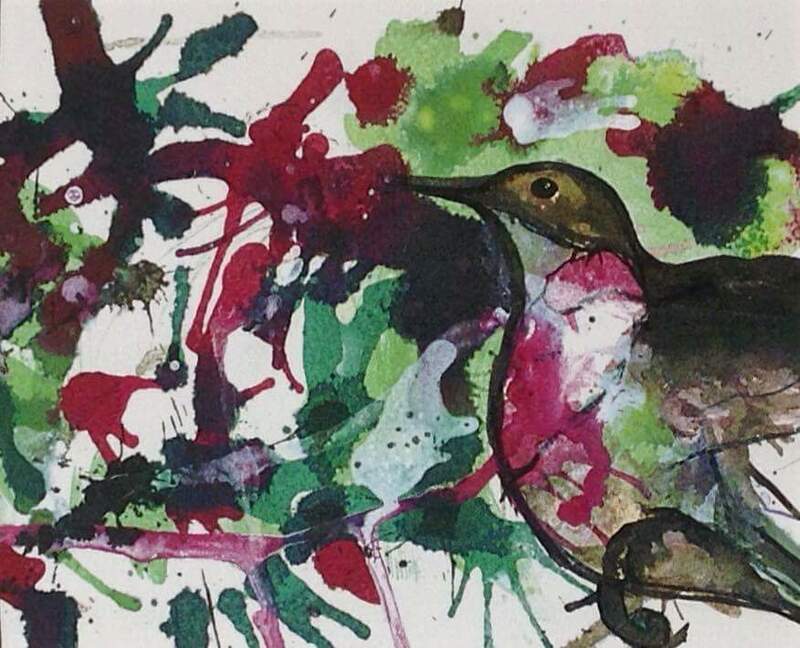 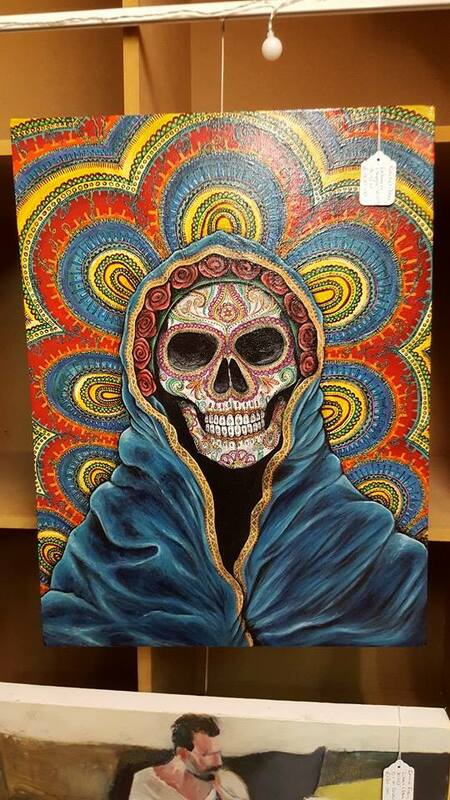 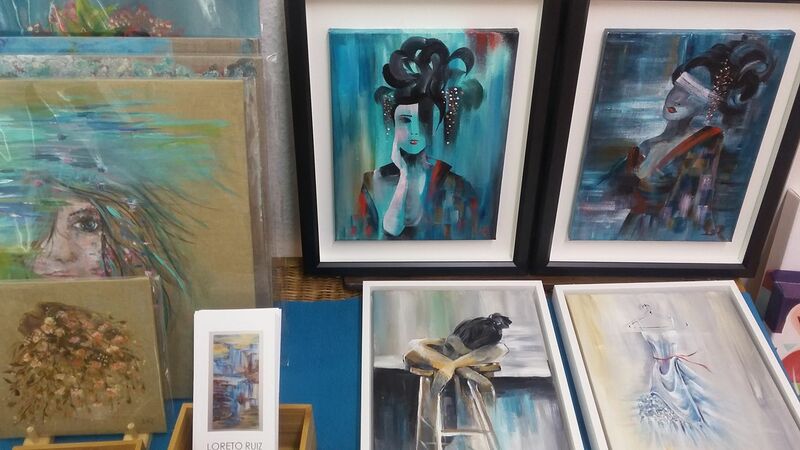 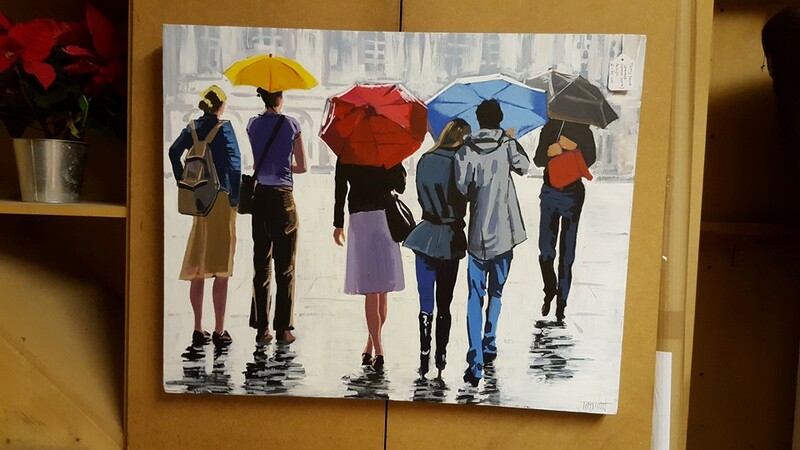 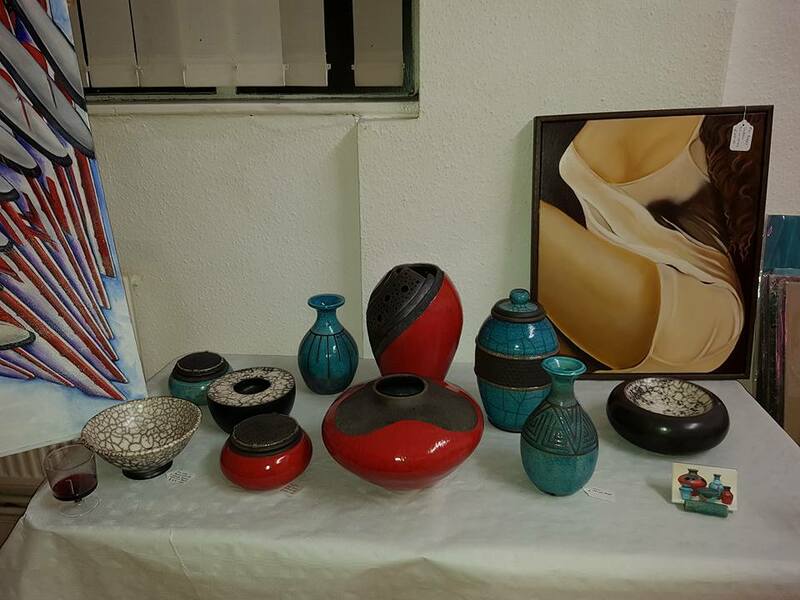 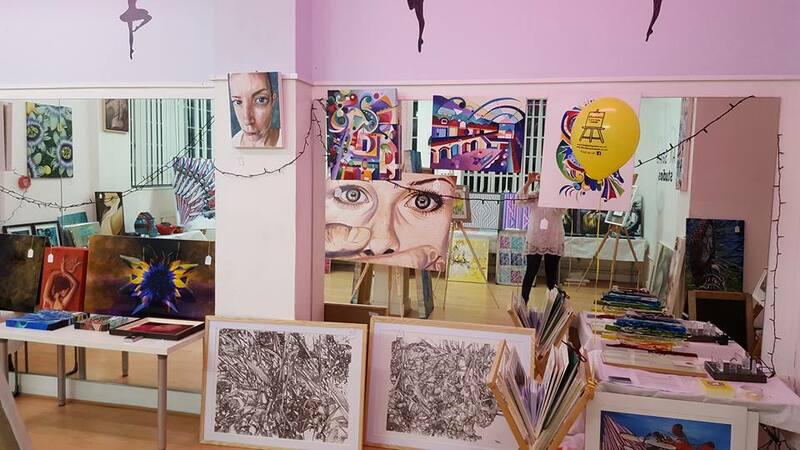 The Affordable S.art Sale is a fun, unpretentious and relaxed pop up art exhibition experience for both Artist and Art Lover. 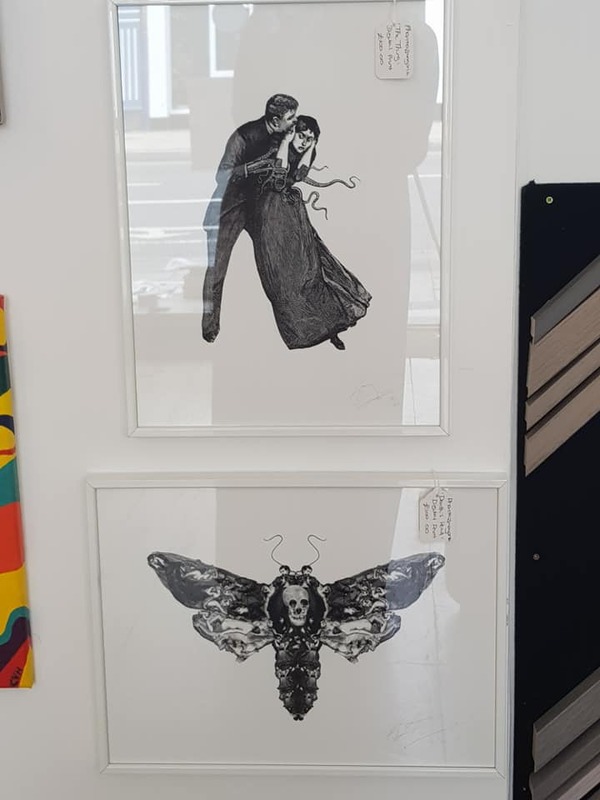 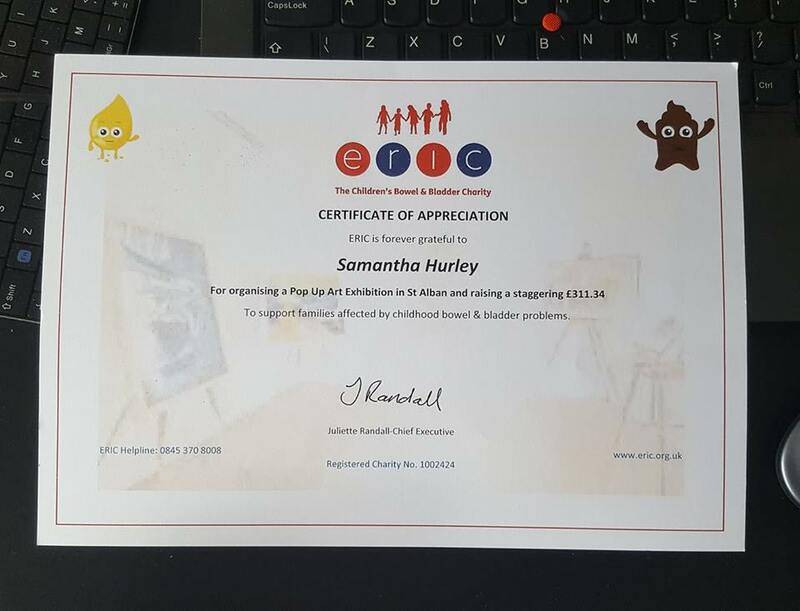 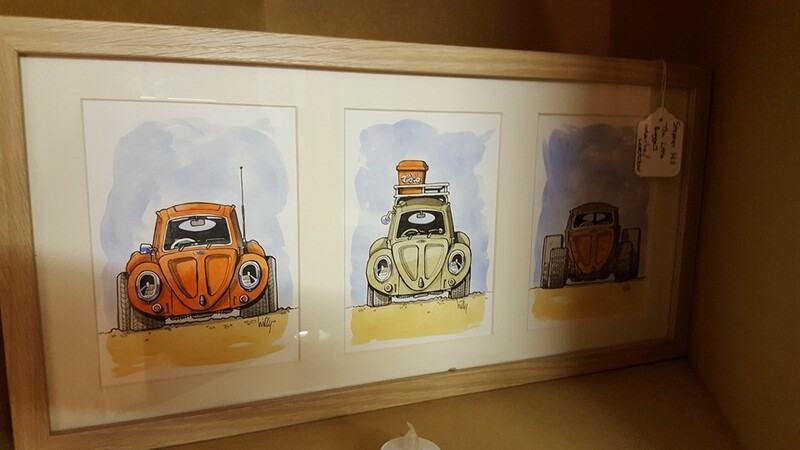 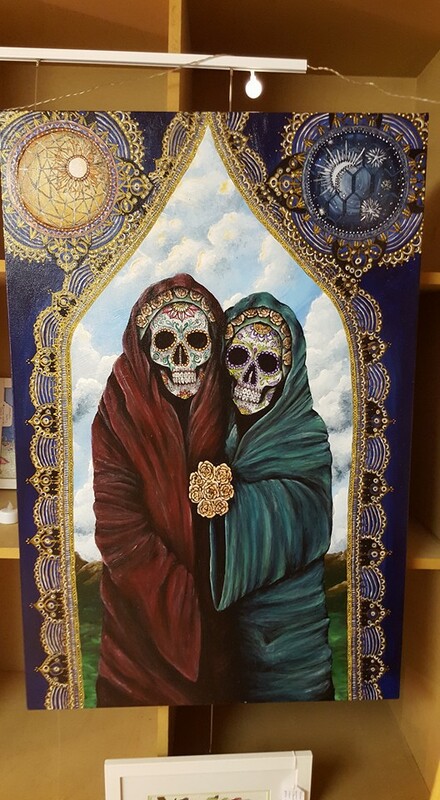 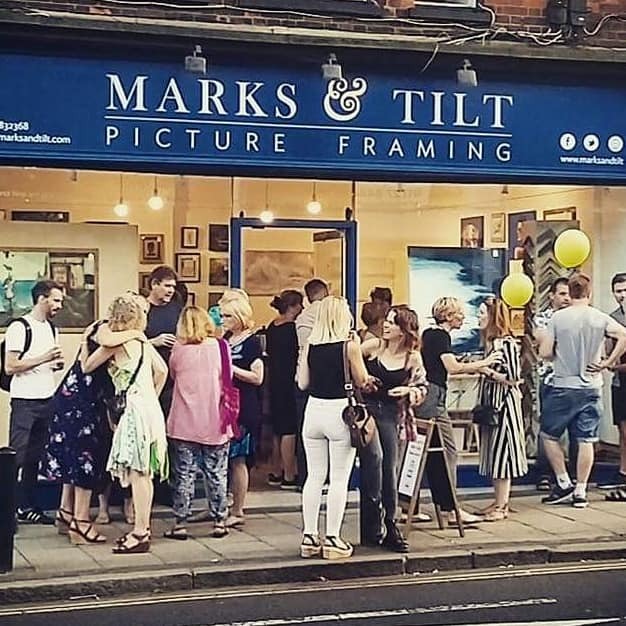 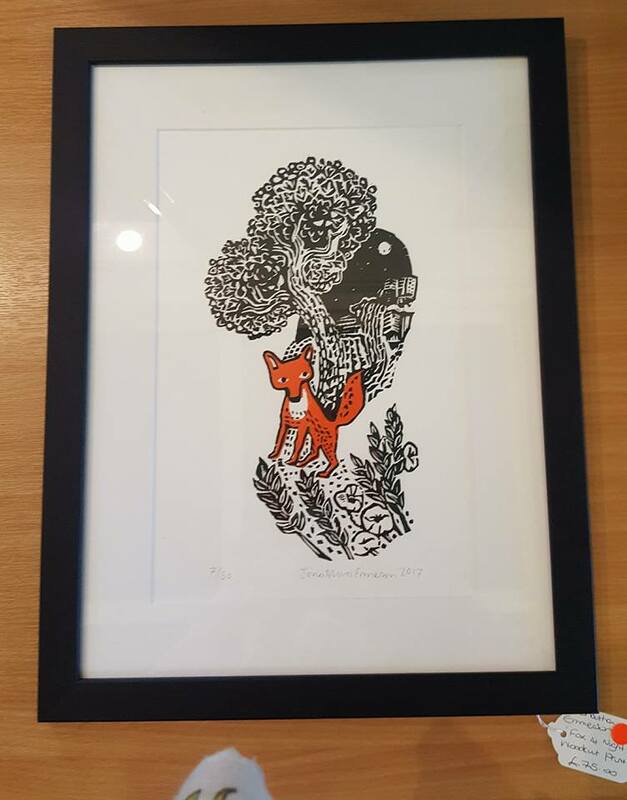 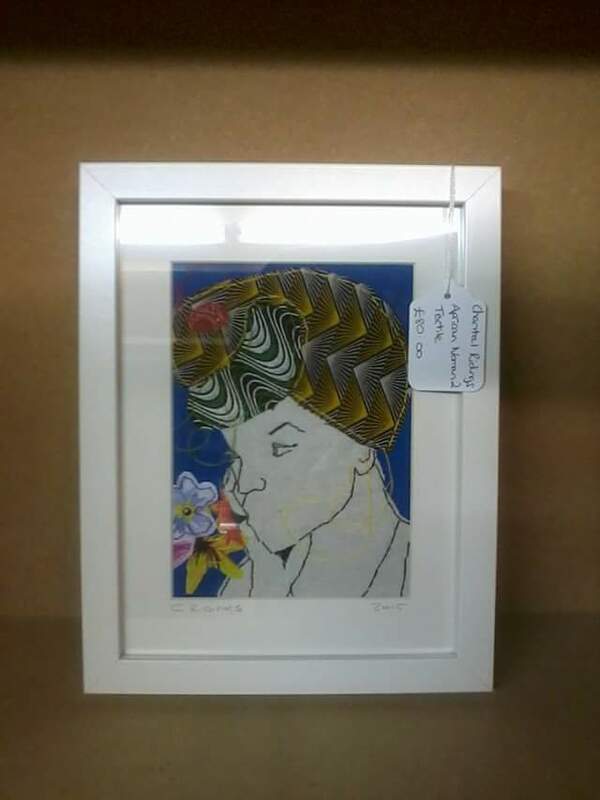 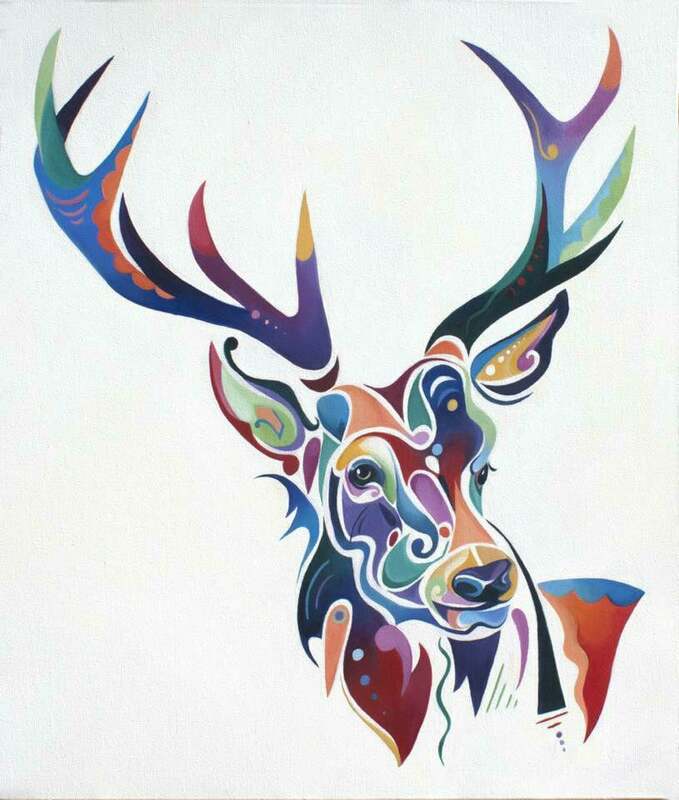 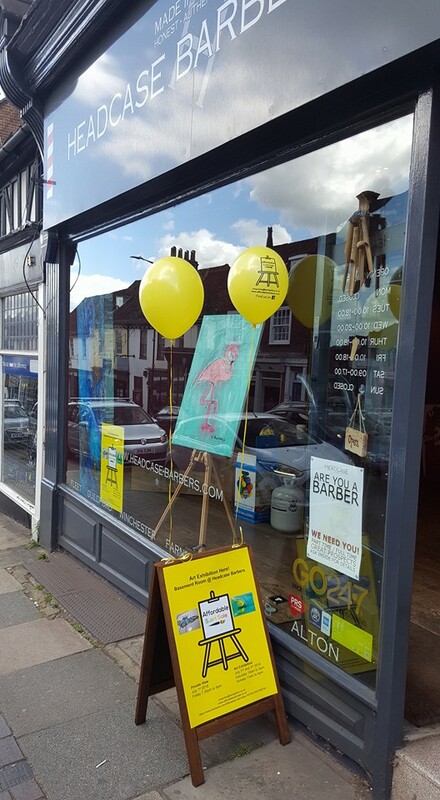 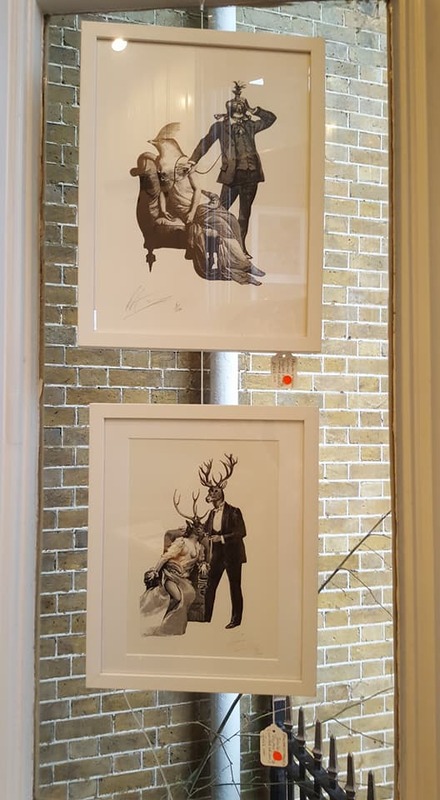 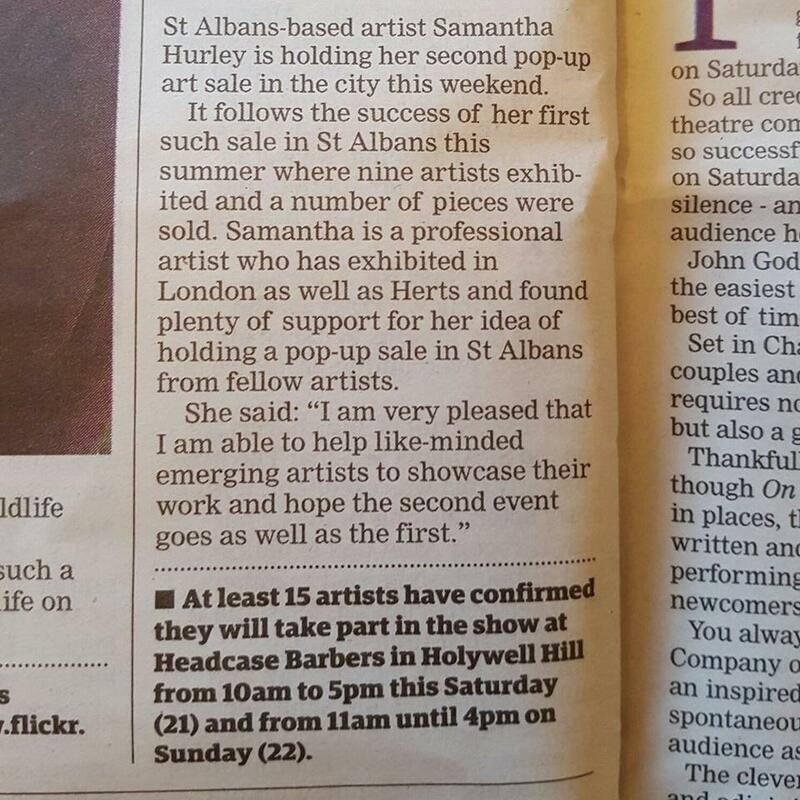 The concept was born from St Albans based Artist Samantha Hurley being unable to find any pop up art exhibitions being run in the St Albans area. 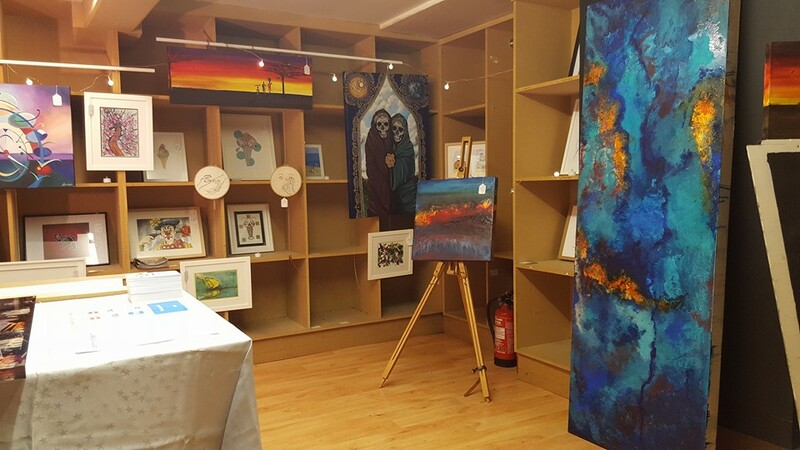 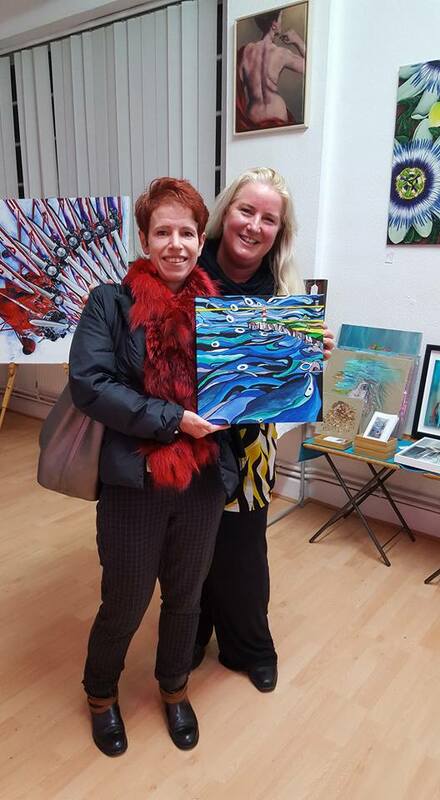 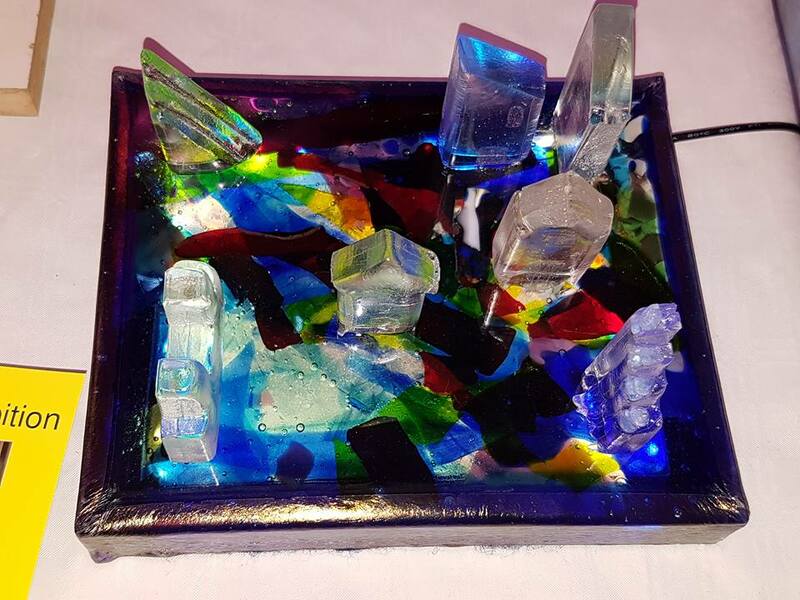 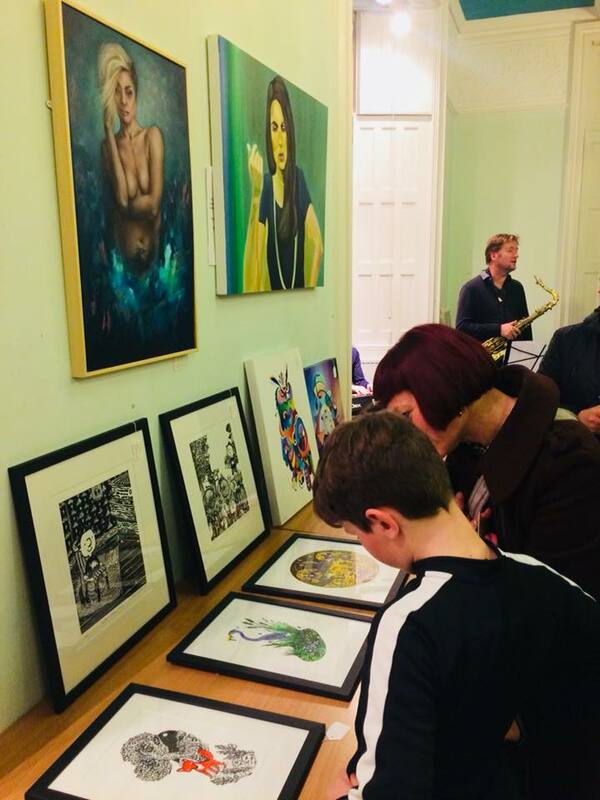 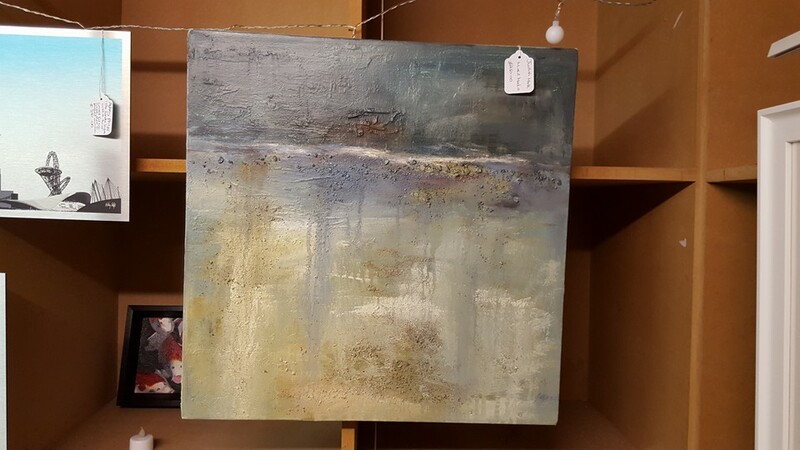 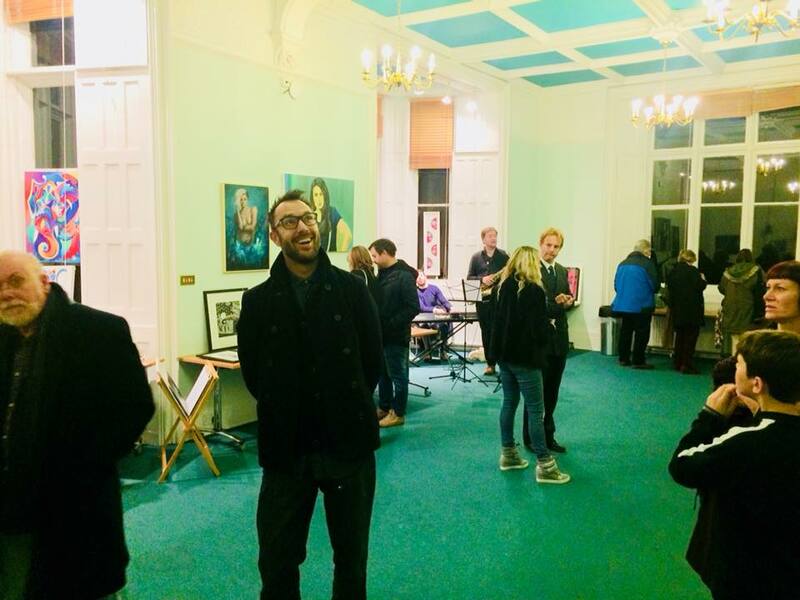 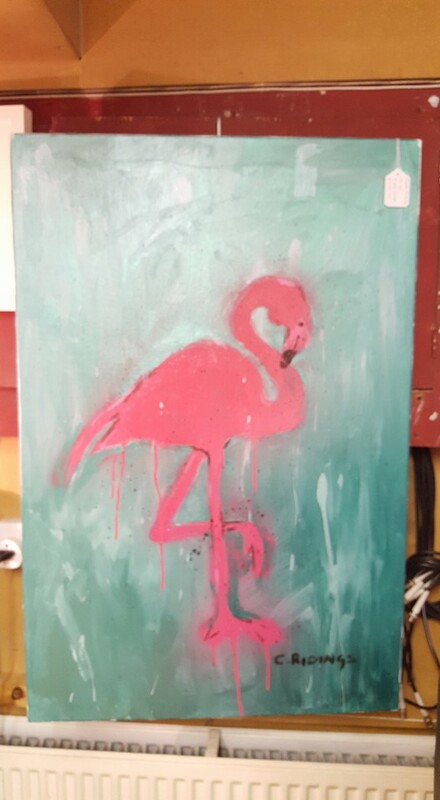 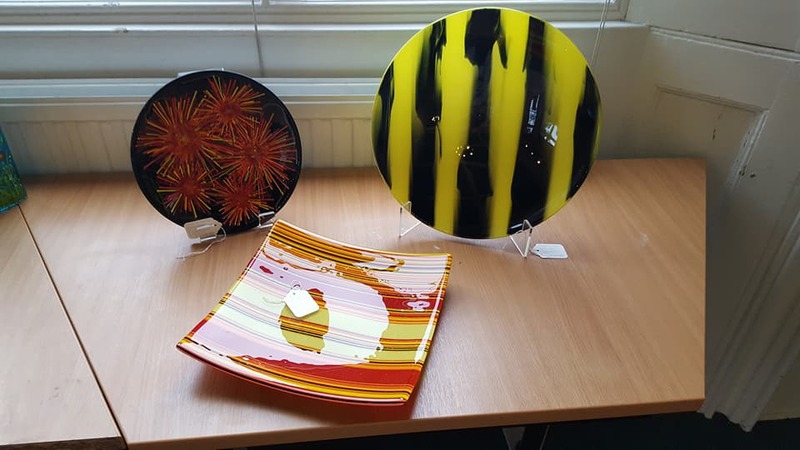 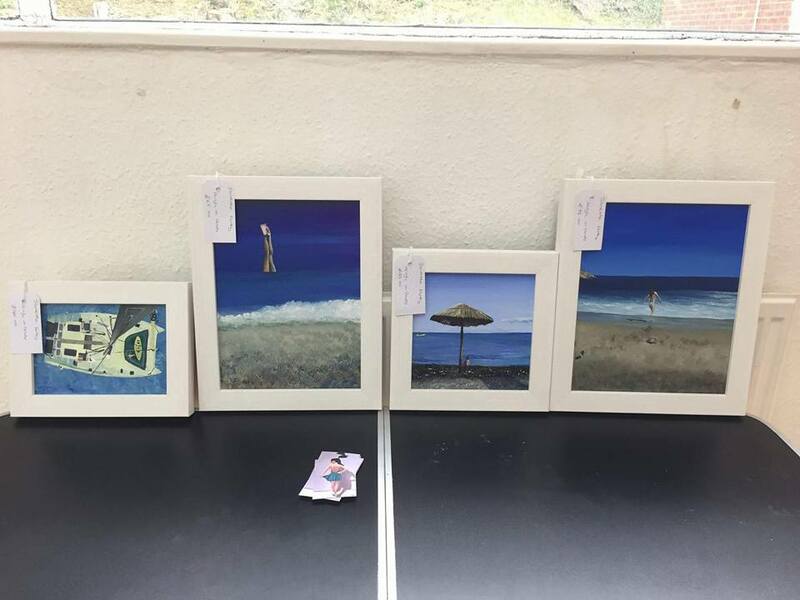 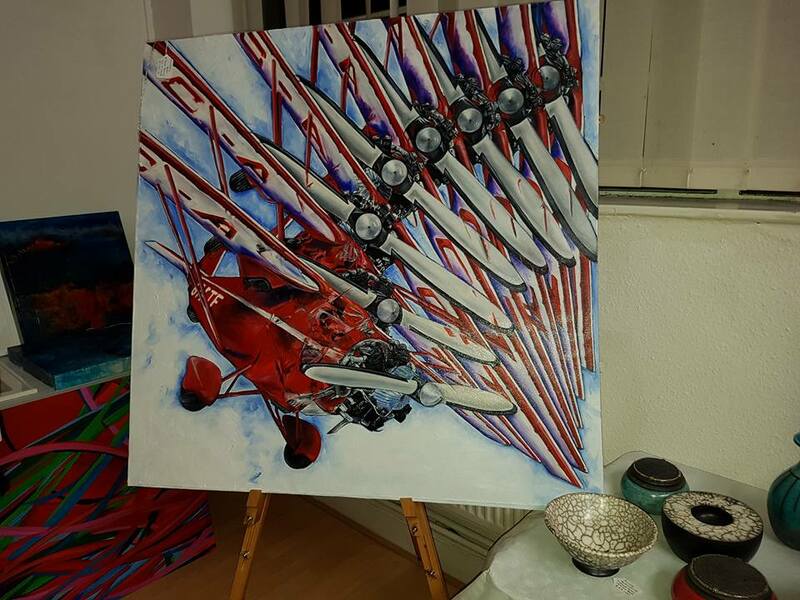 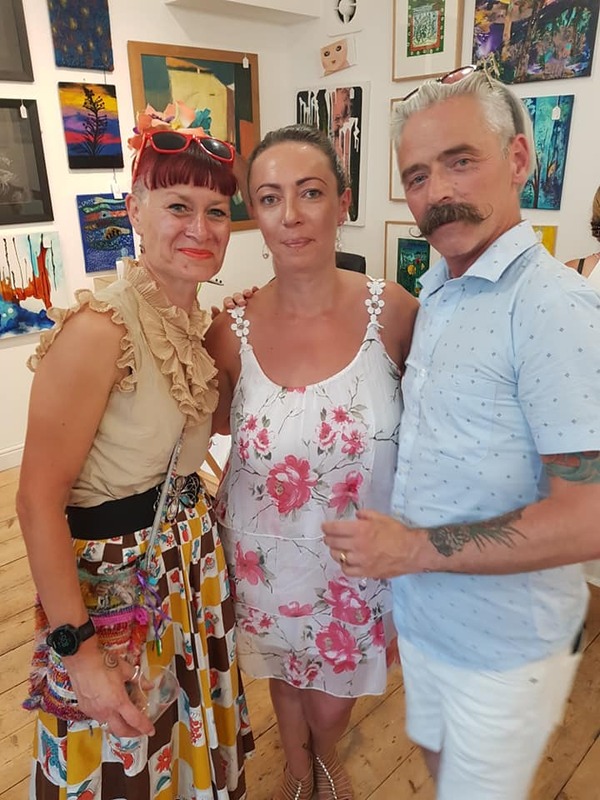 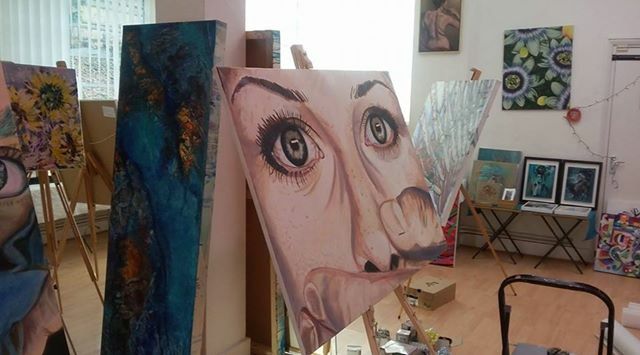 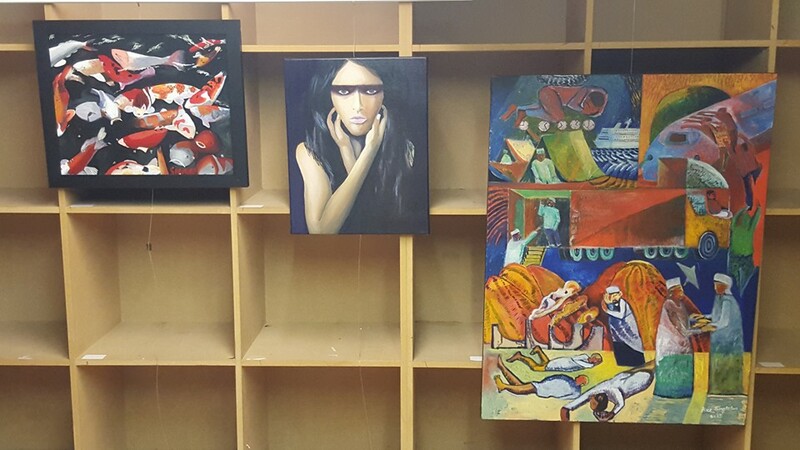 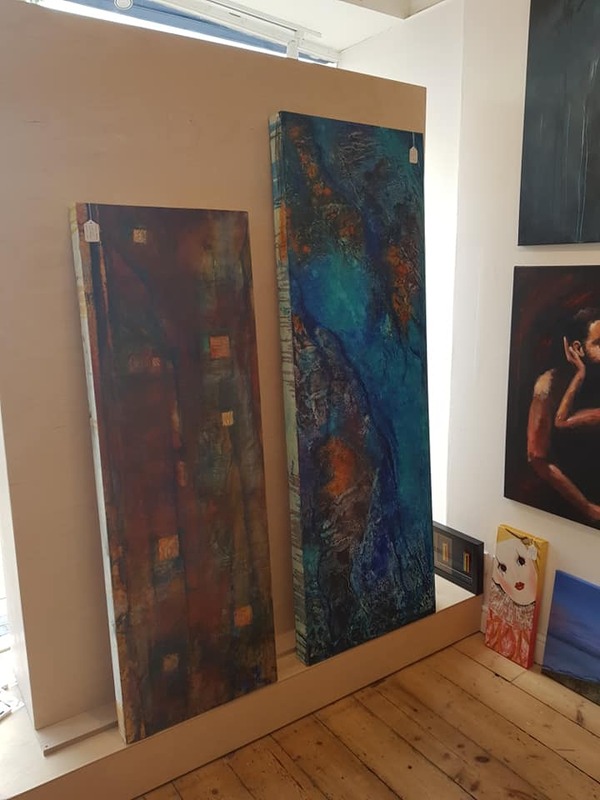 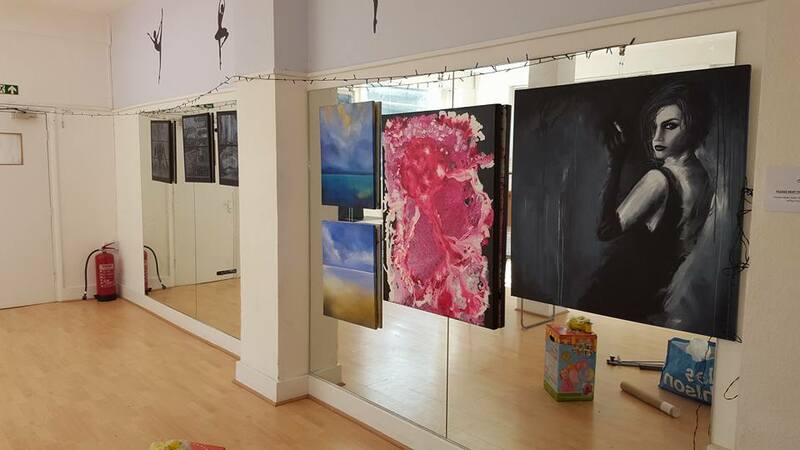 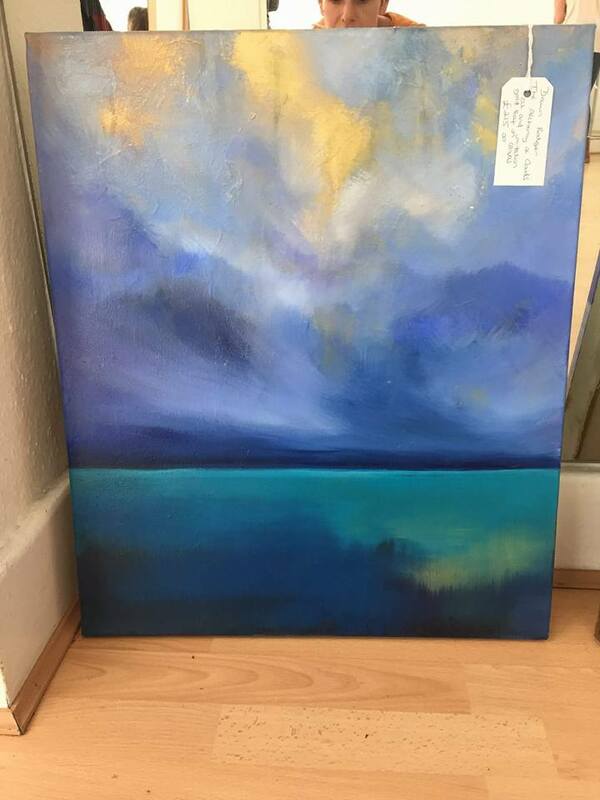 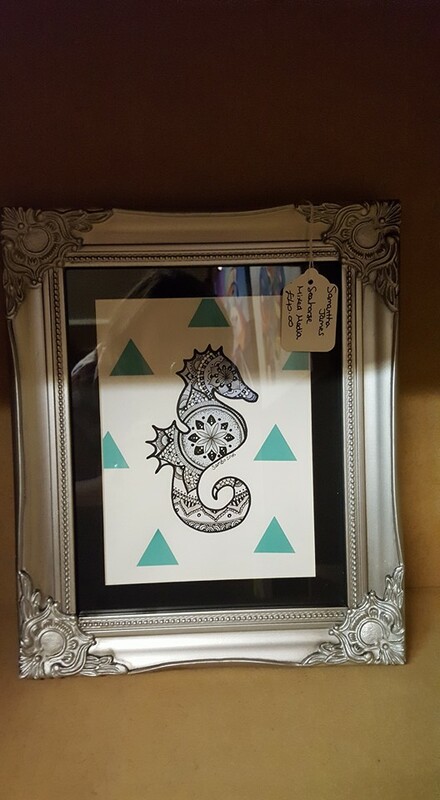 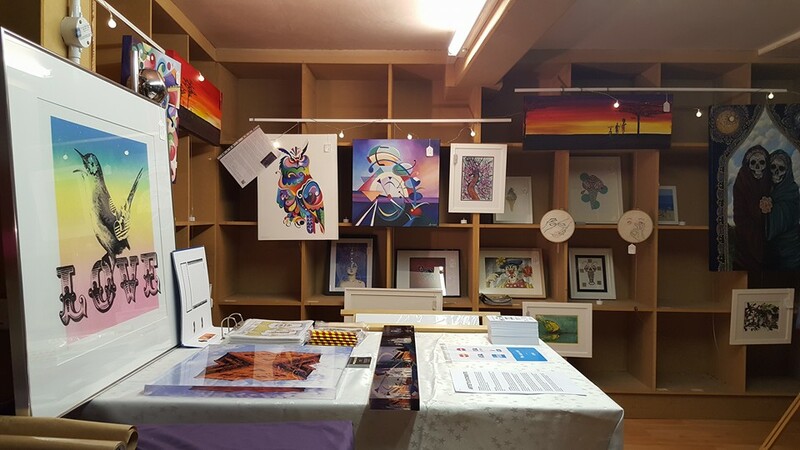 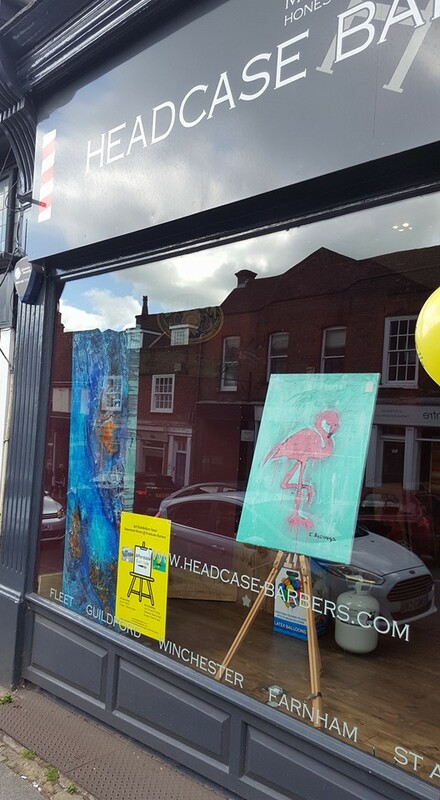 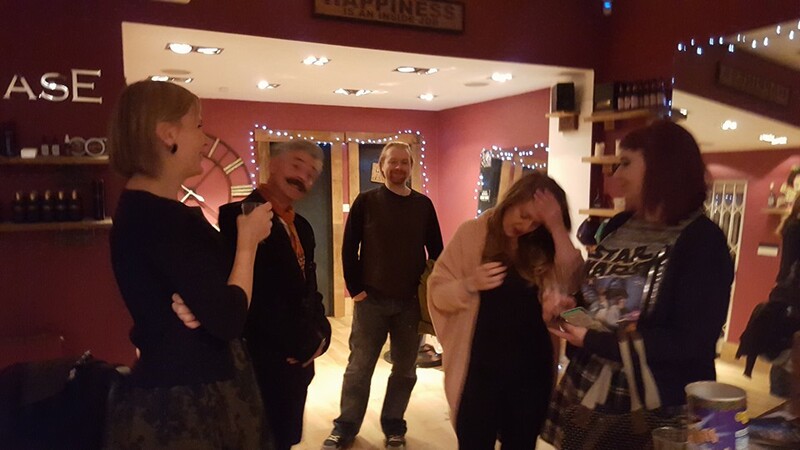 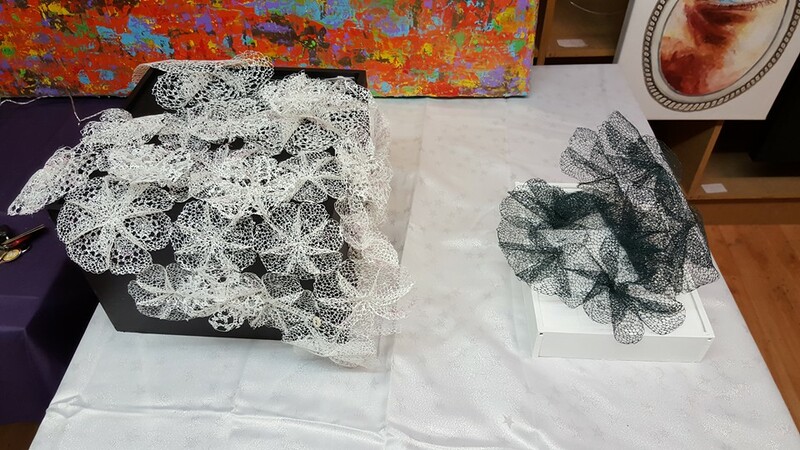 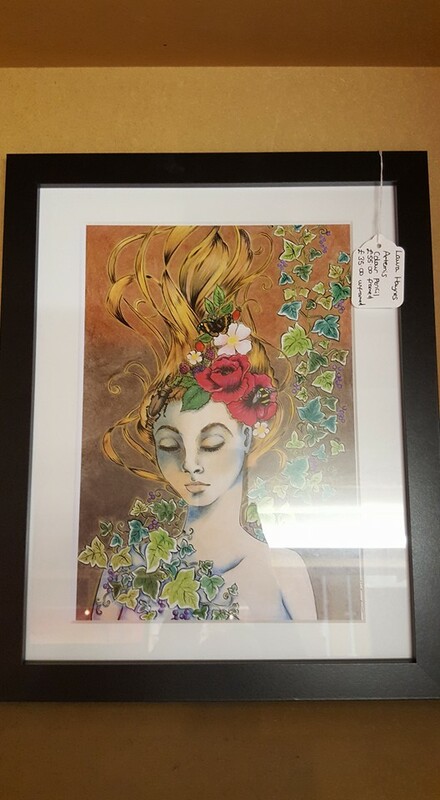 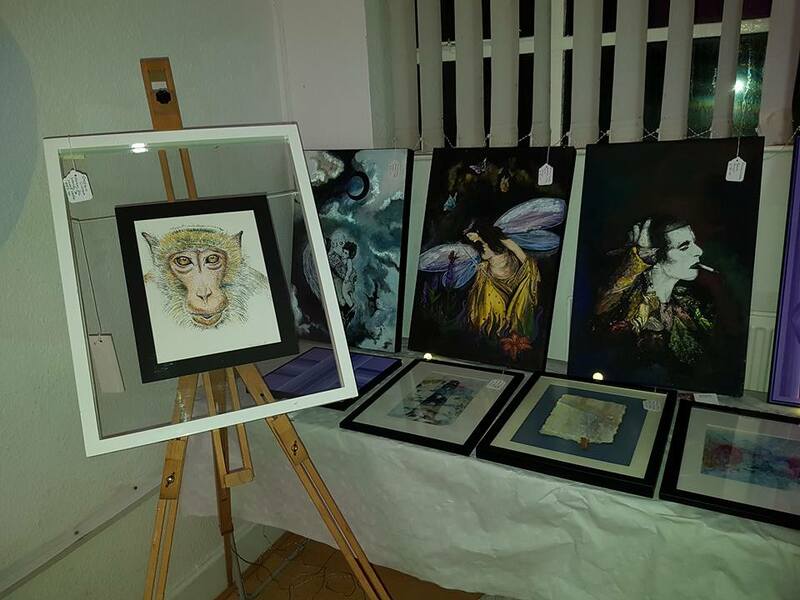 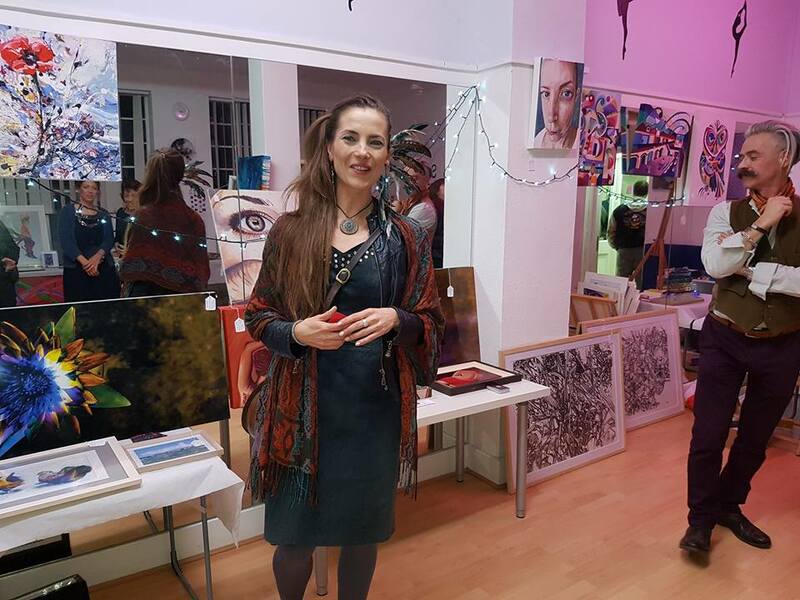 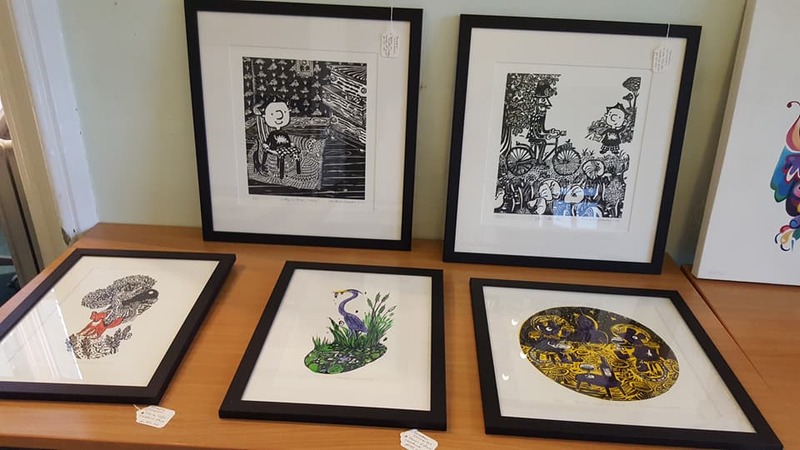 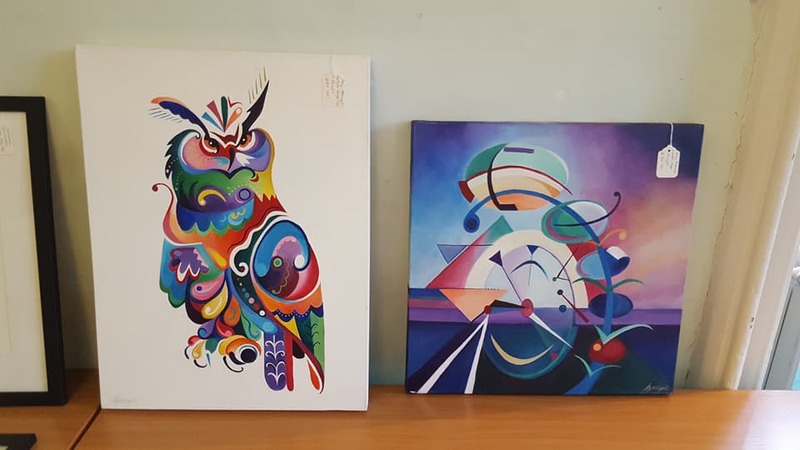 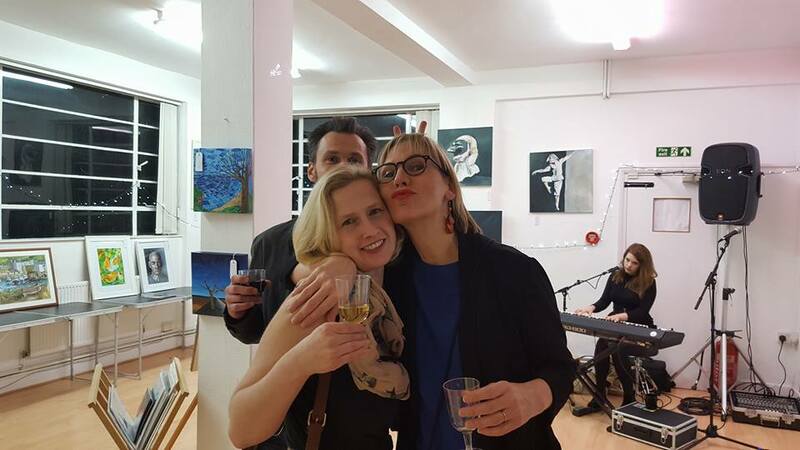 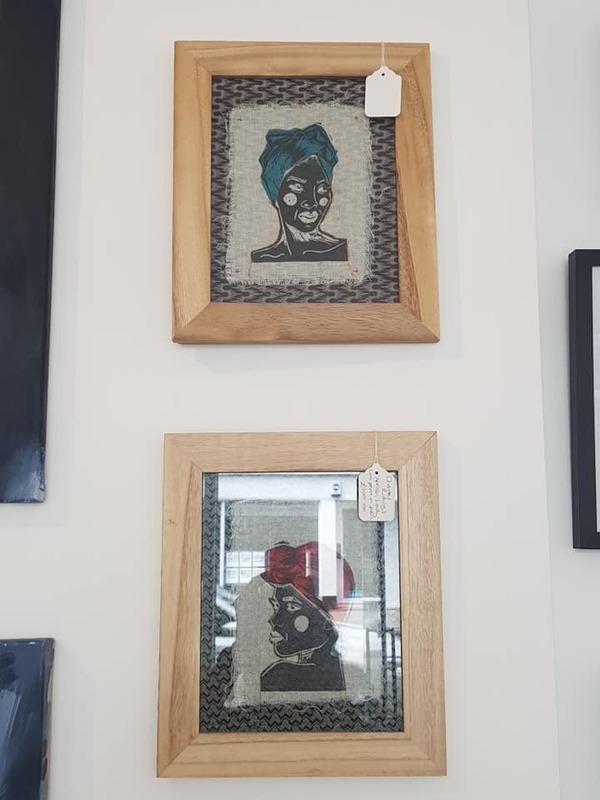 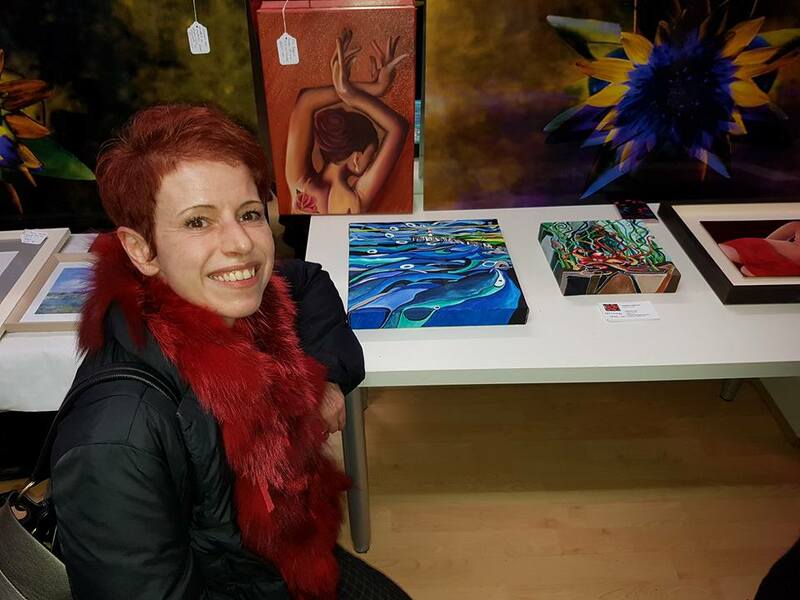 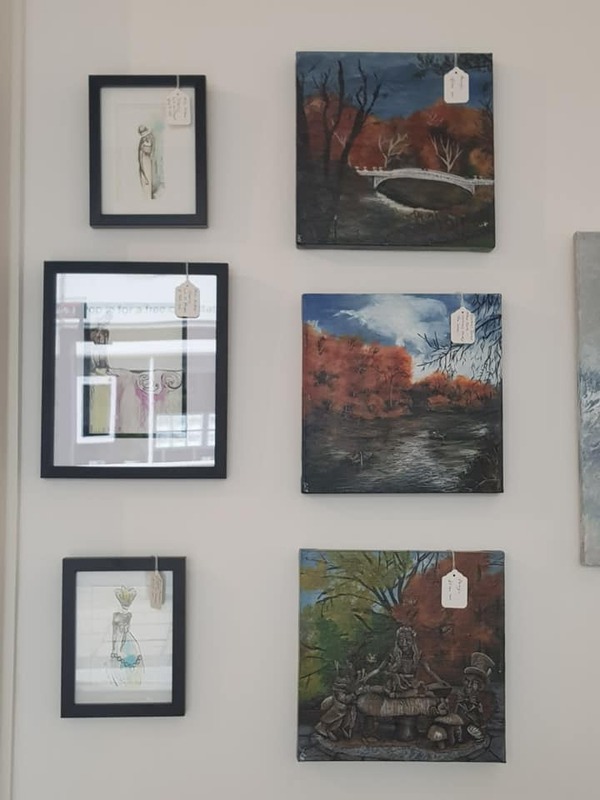 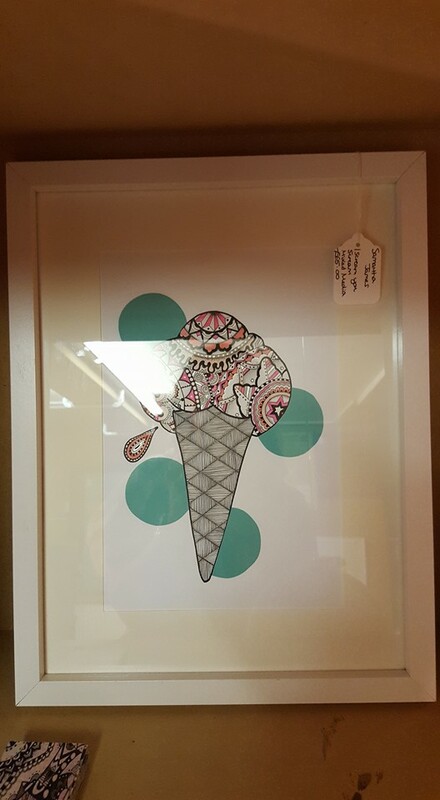 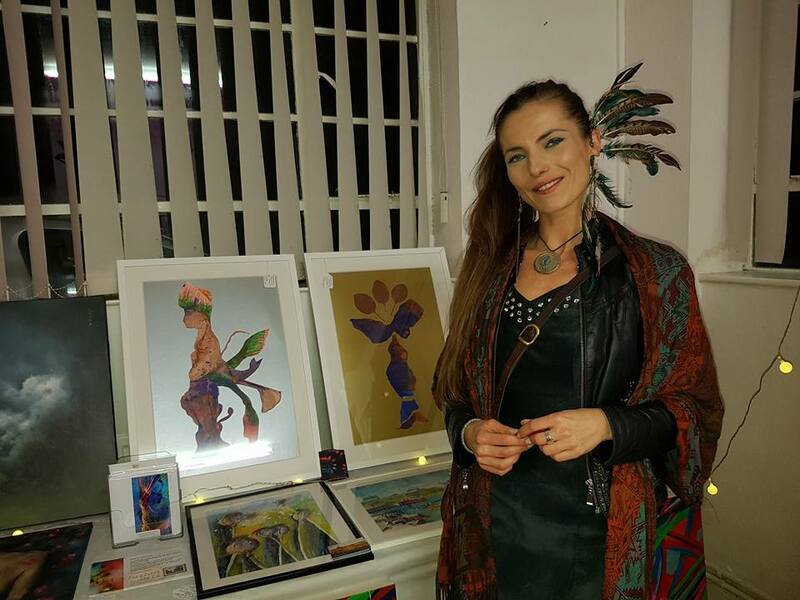 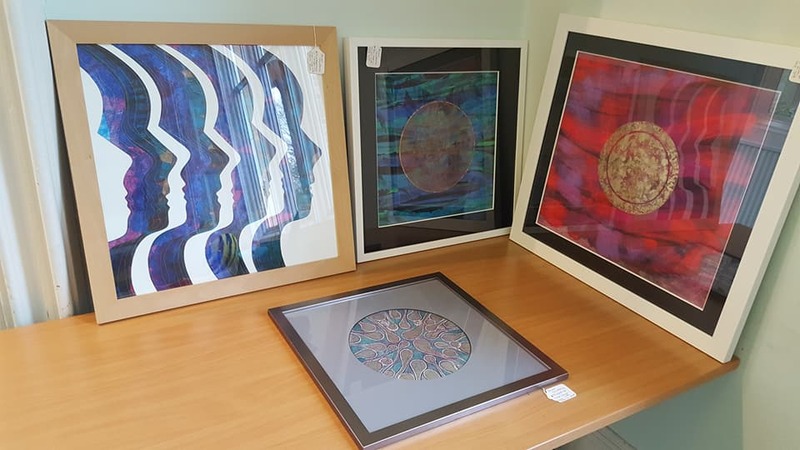 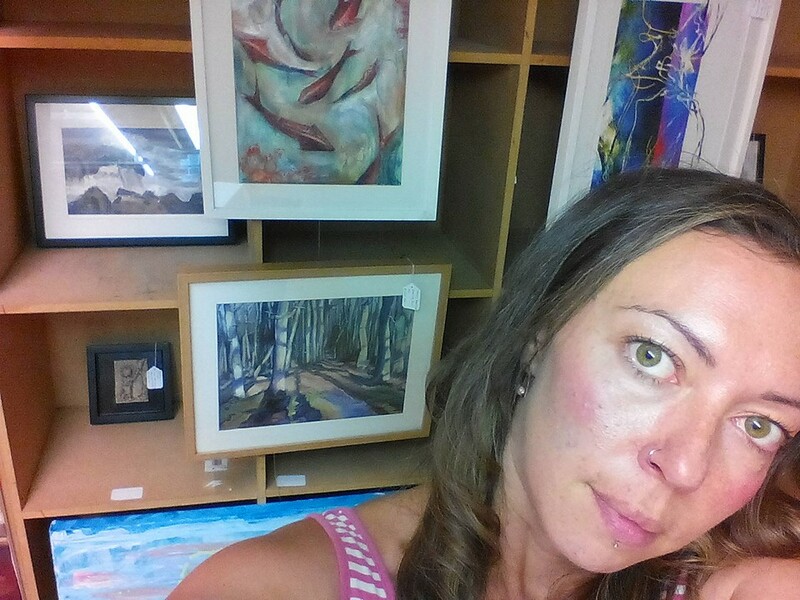 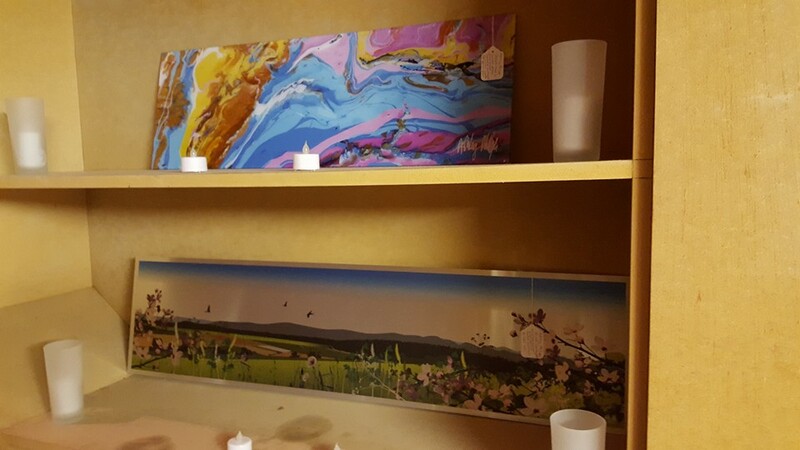 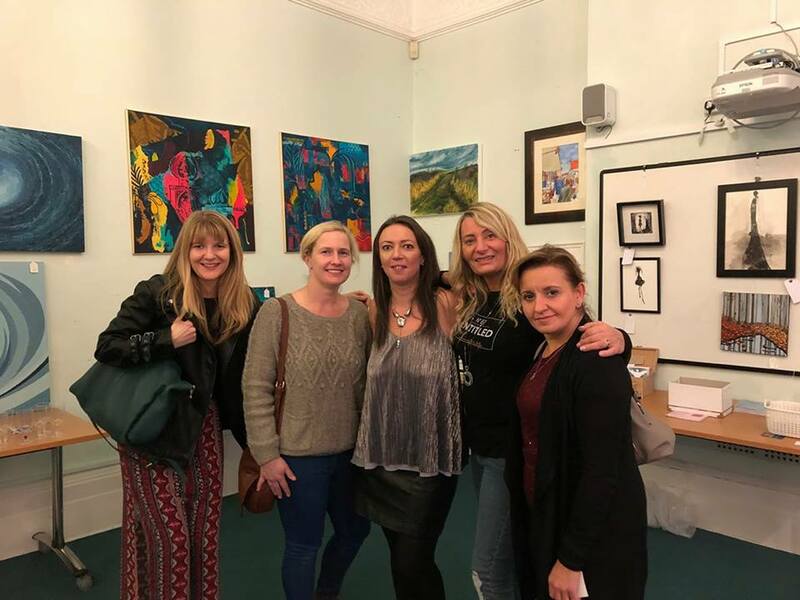 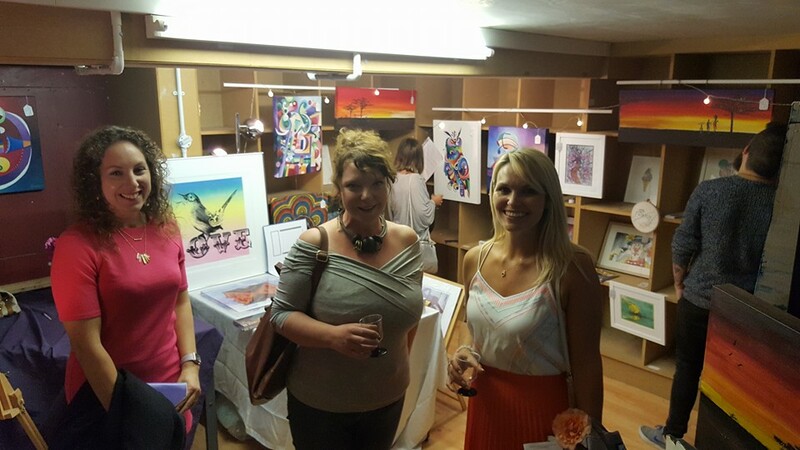 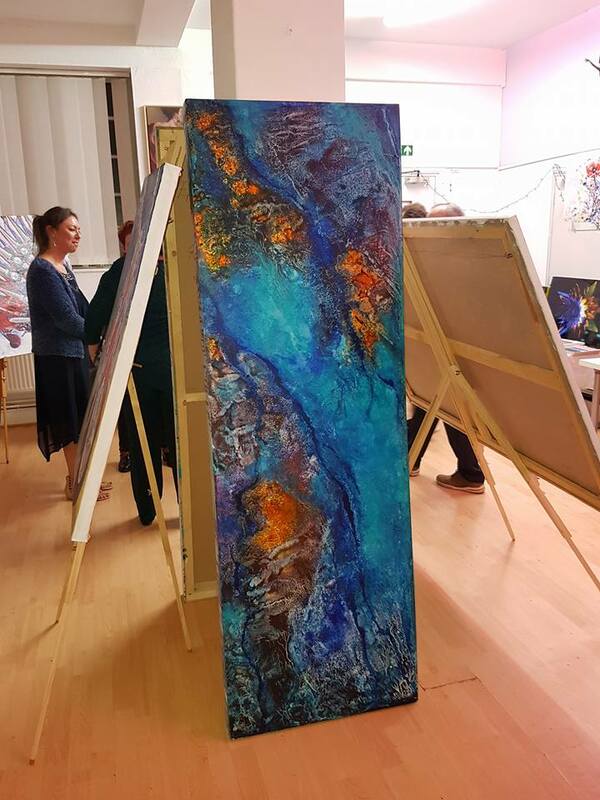 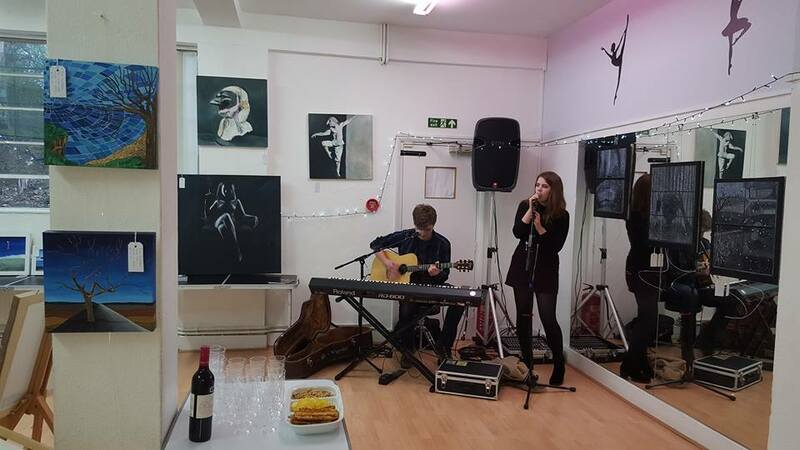 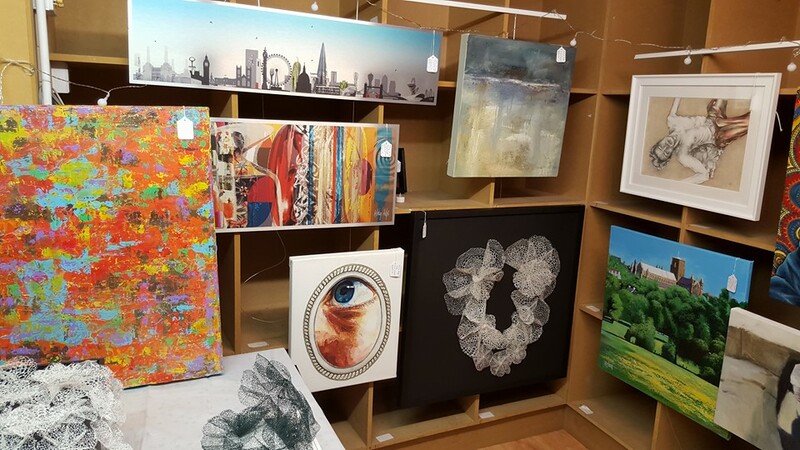 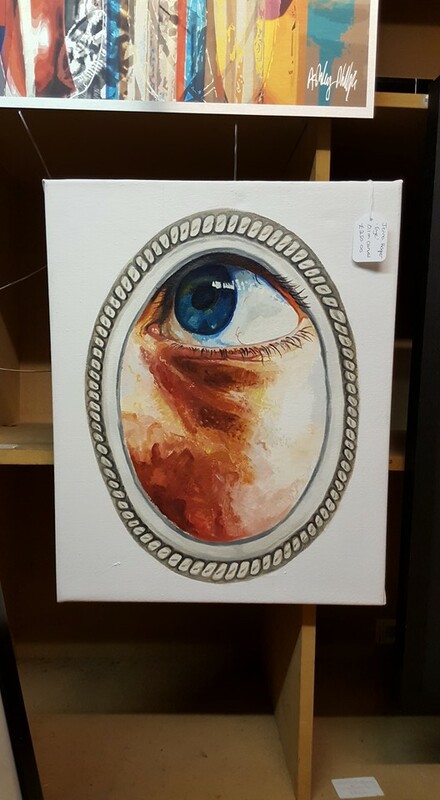 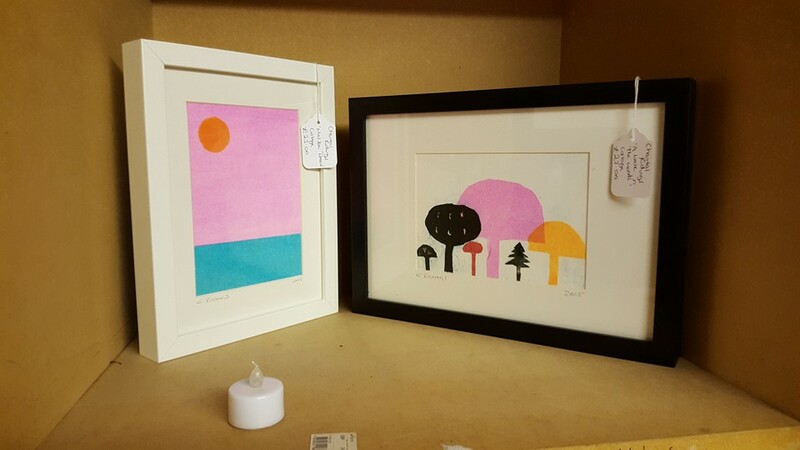 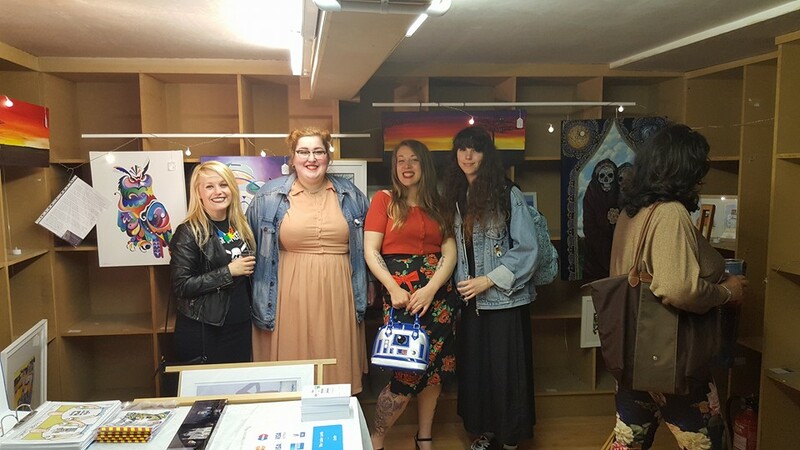 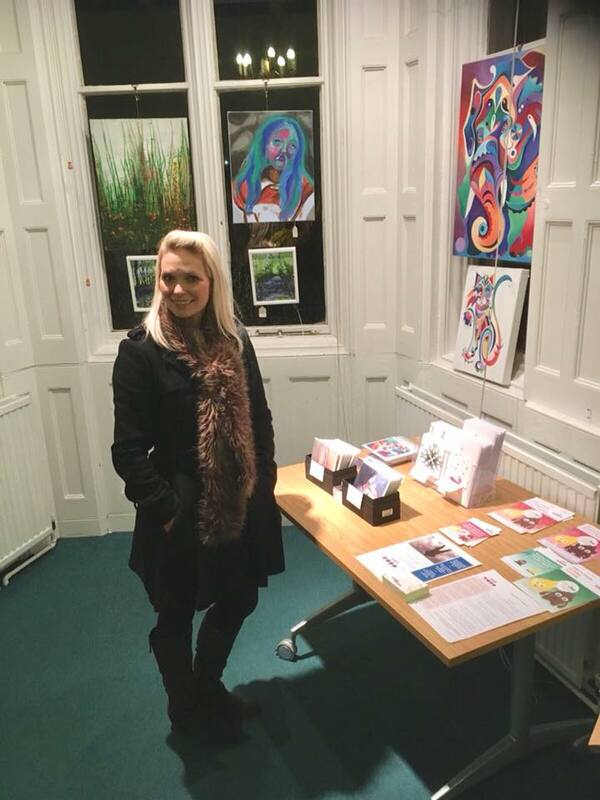 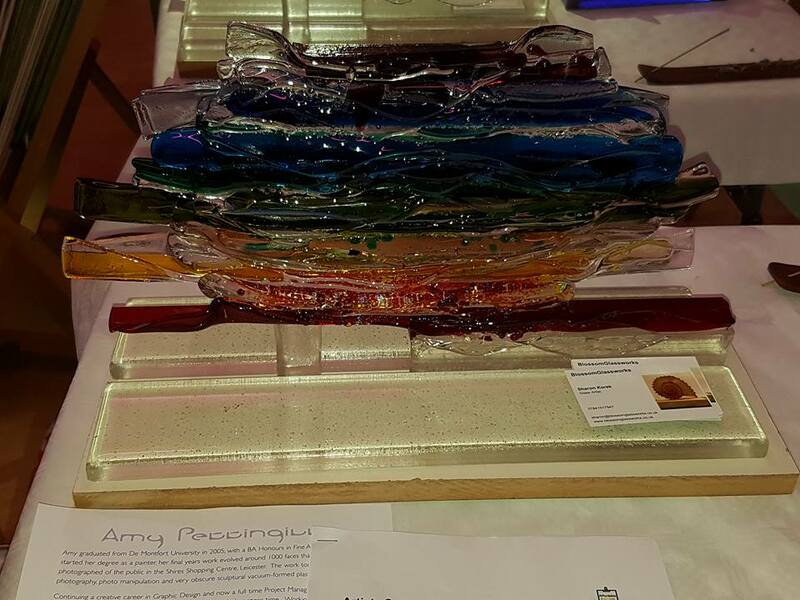 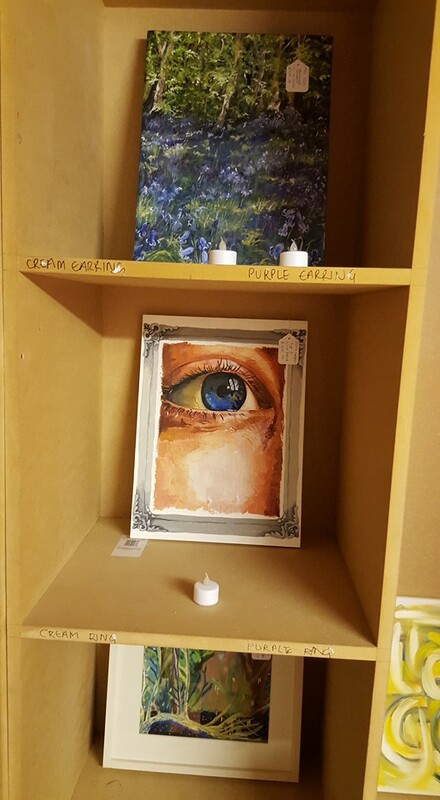 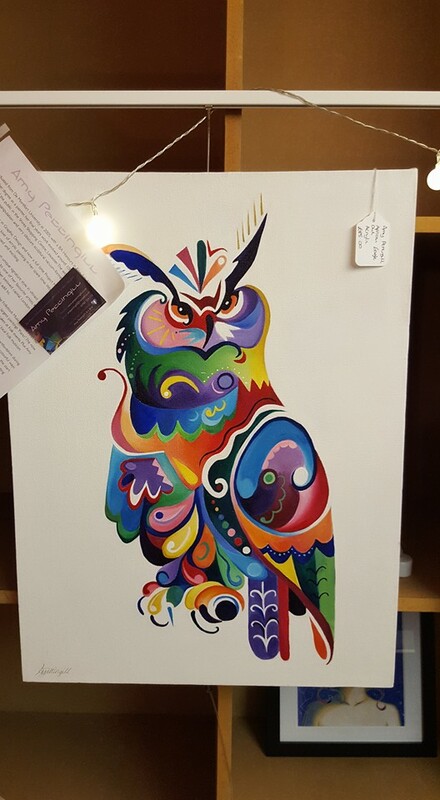 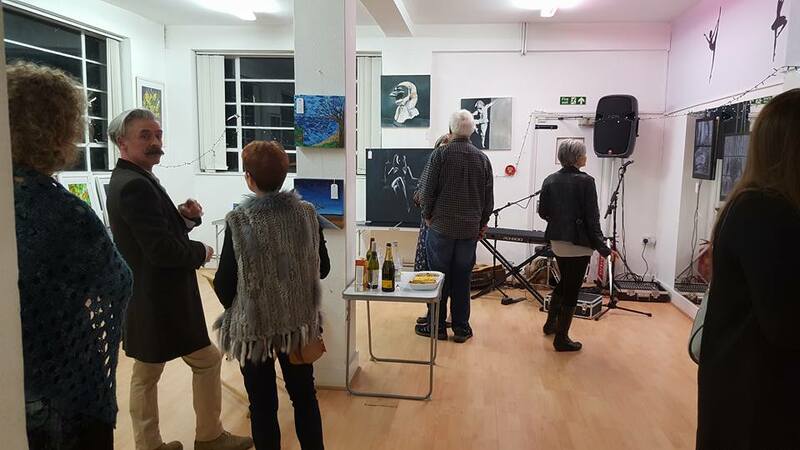 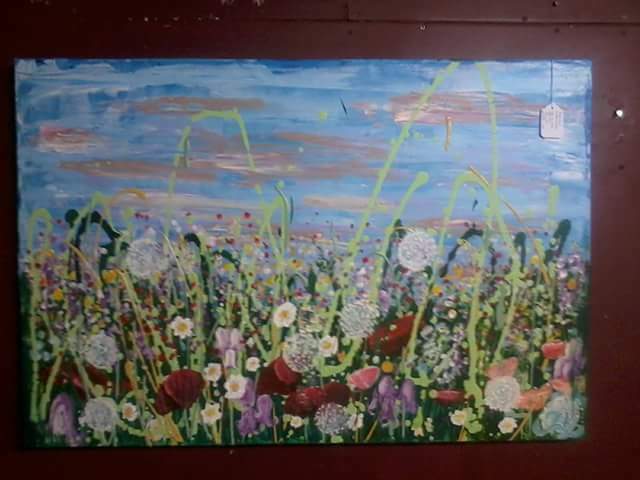 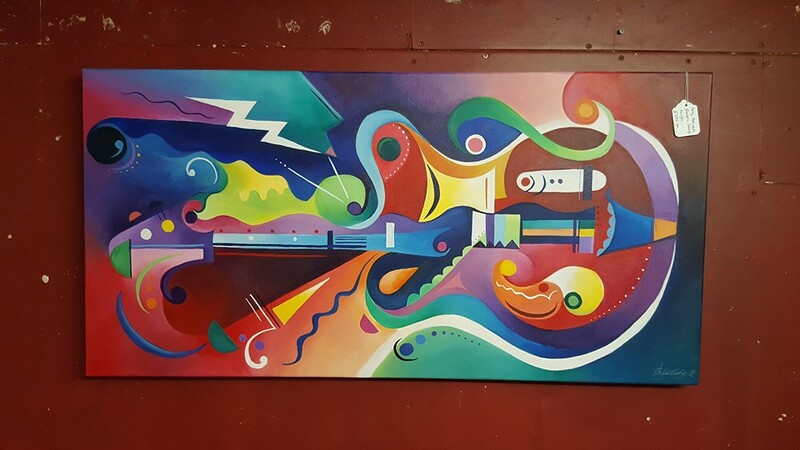 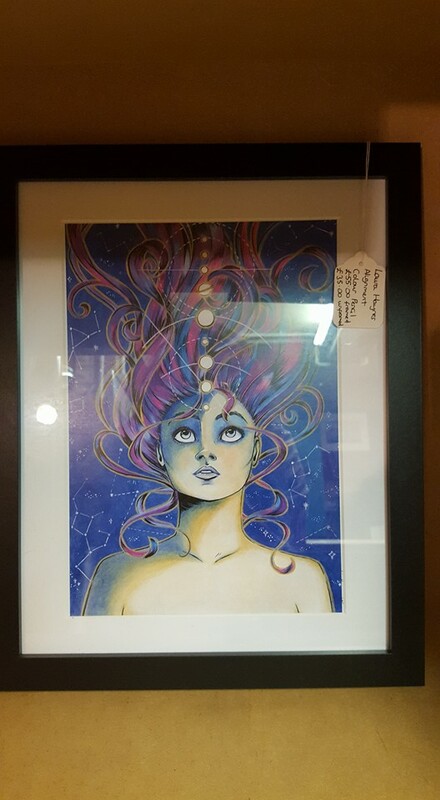 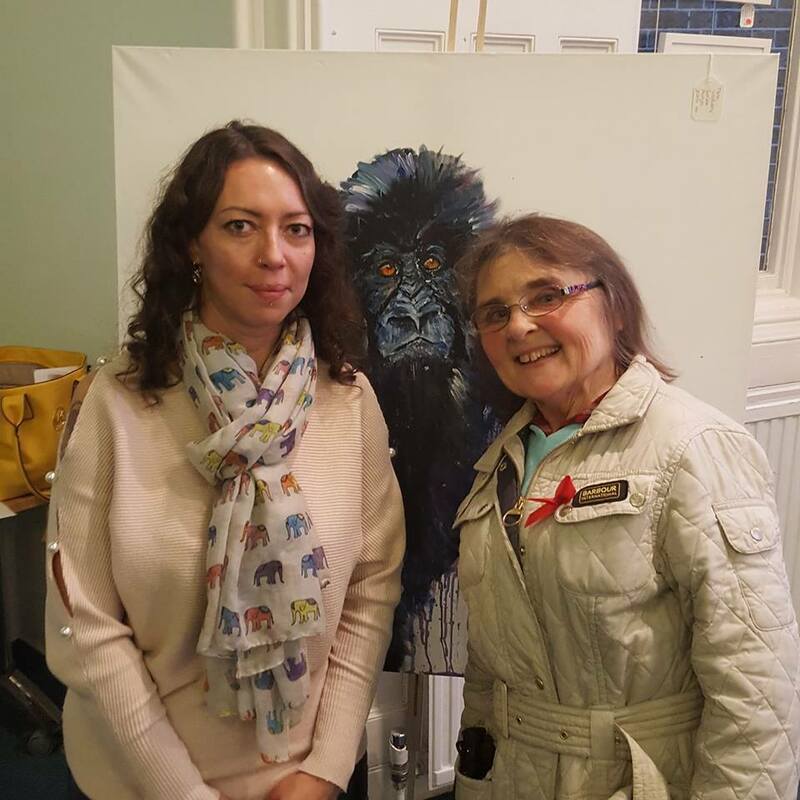 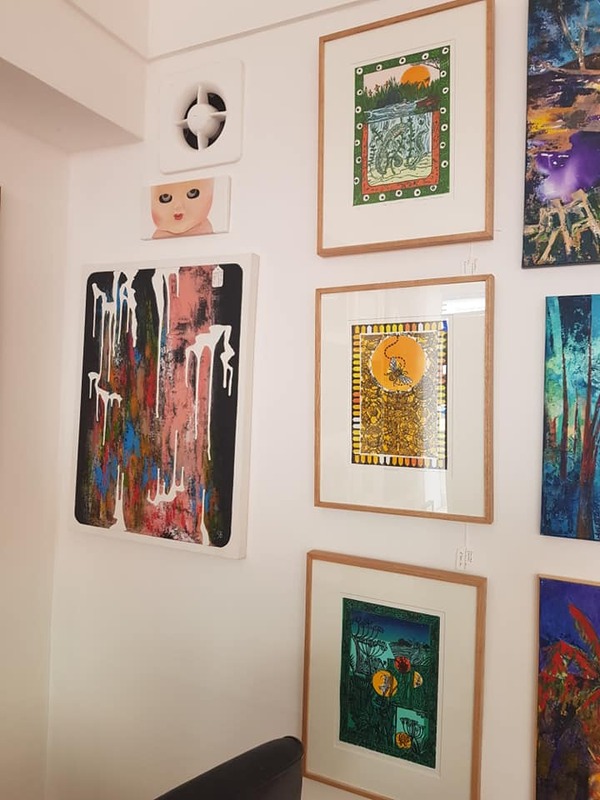 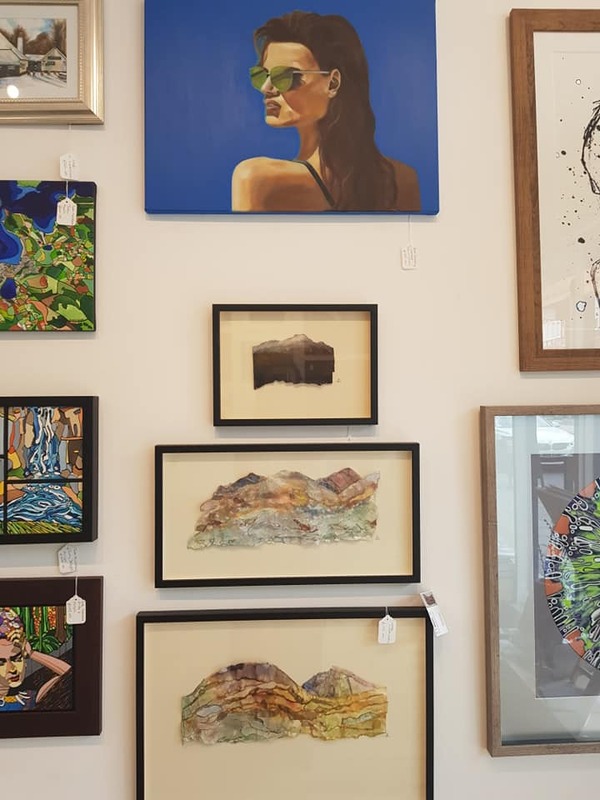 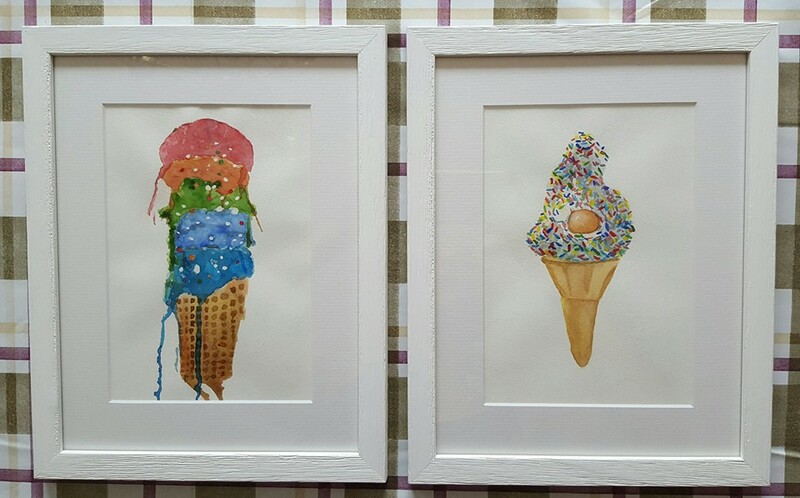 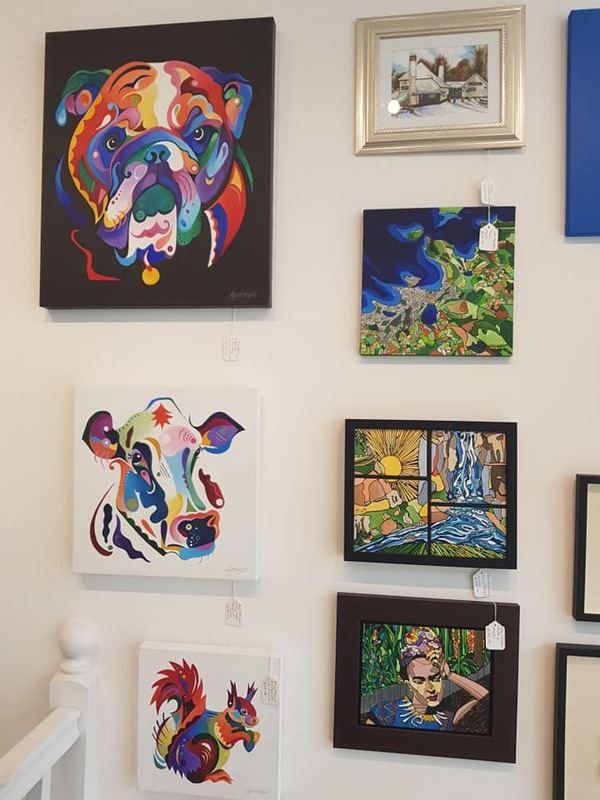 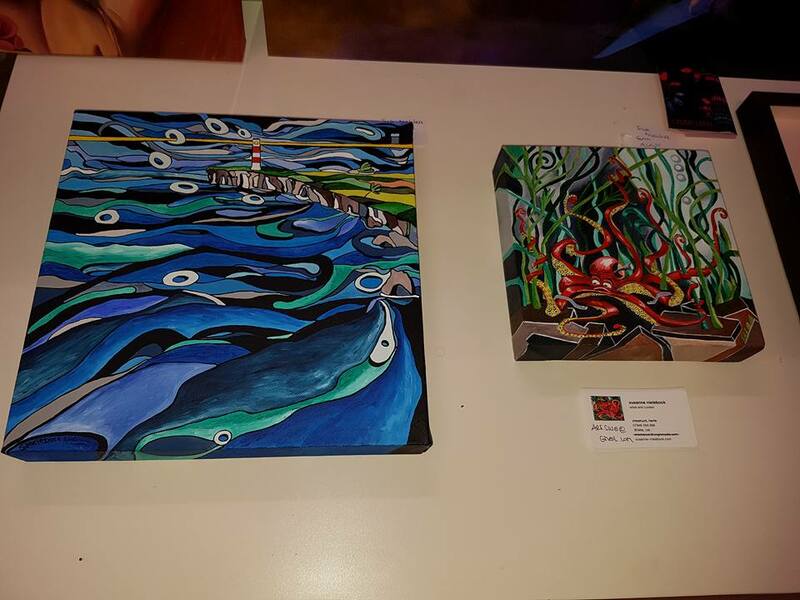 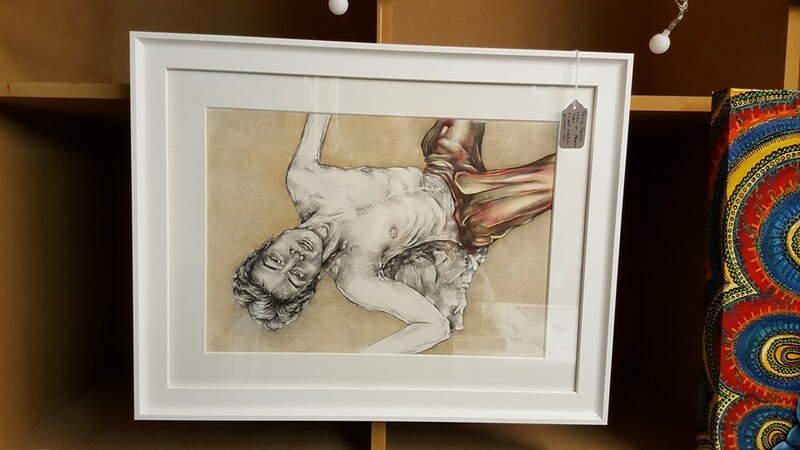 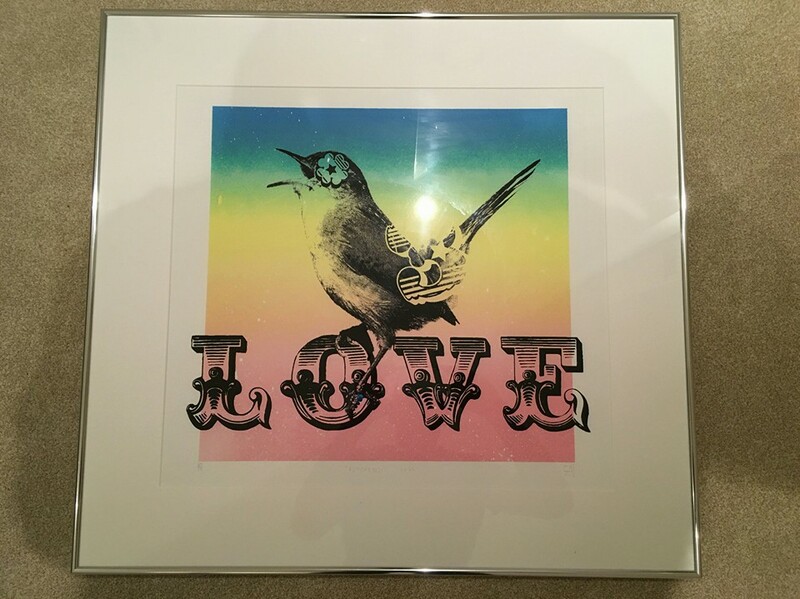 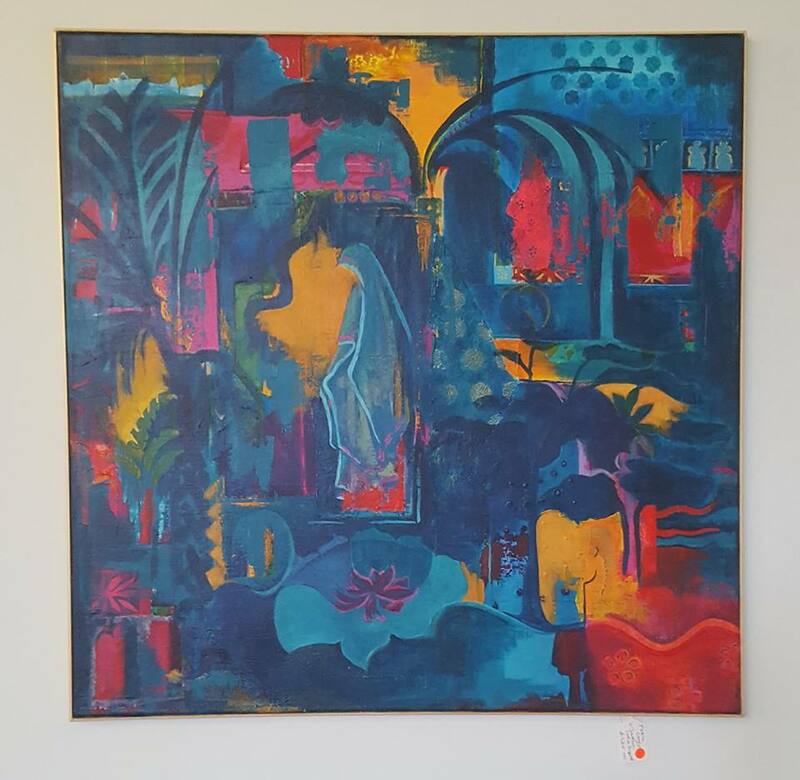 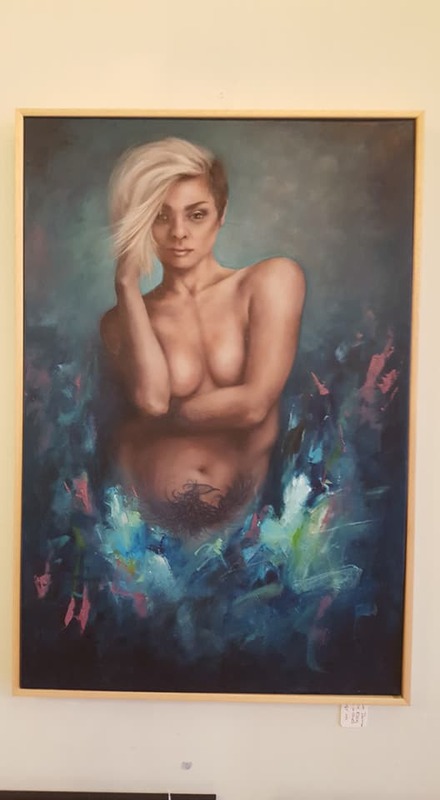 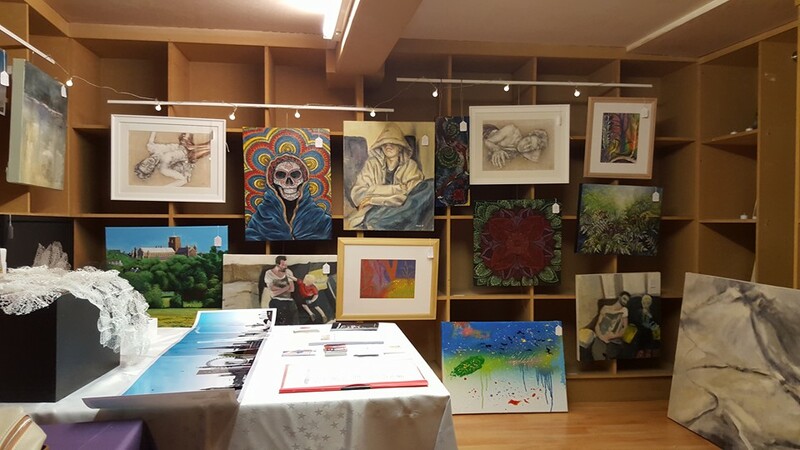 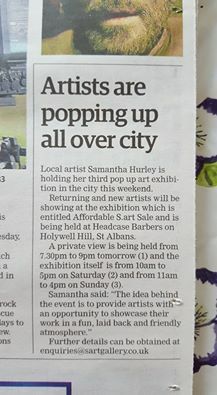 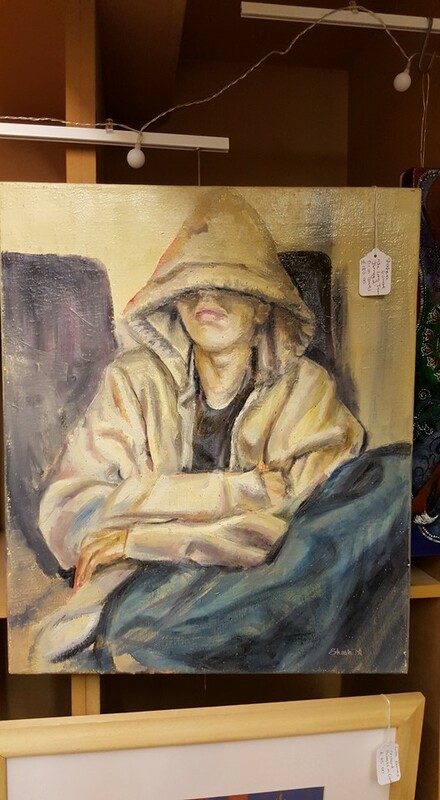 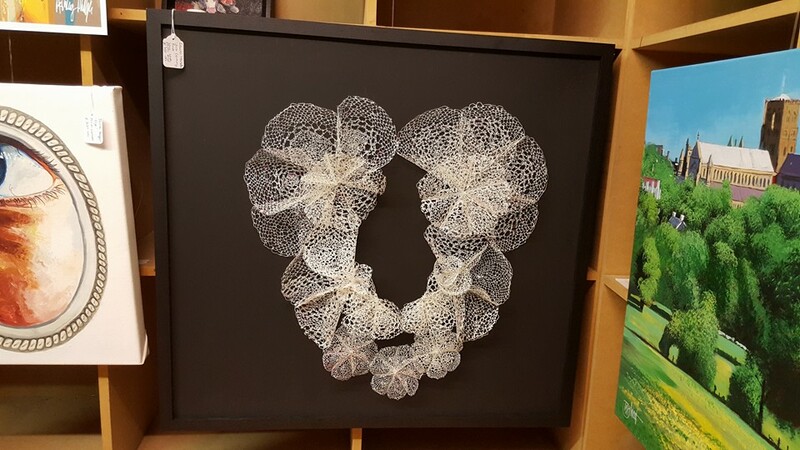 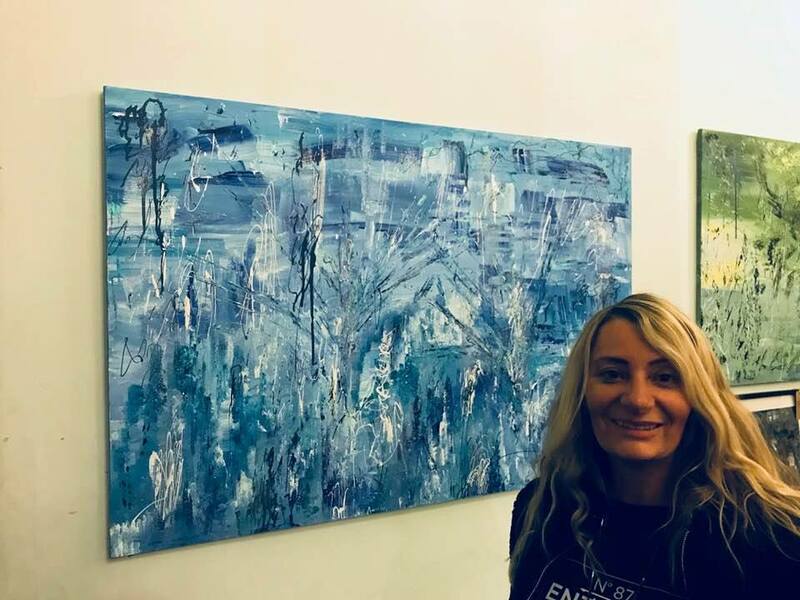 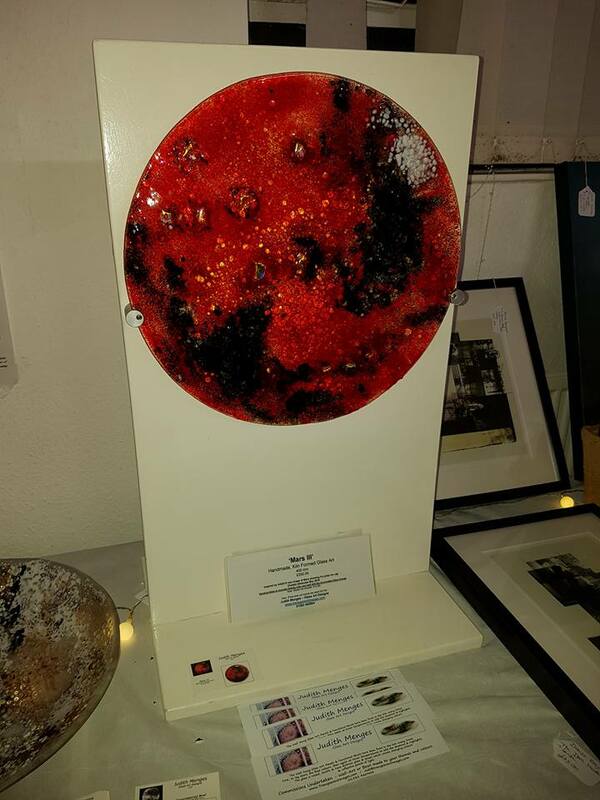 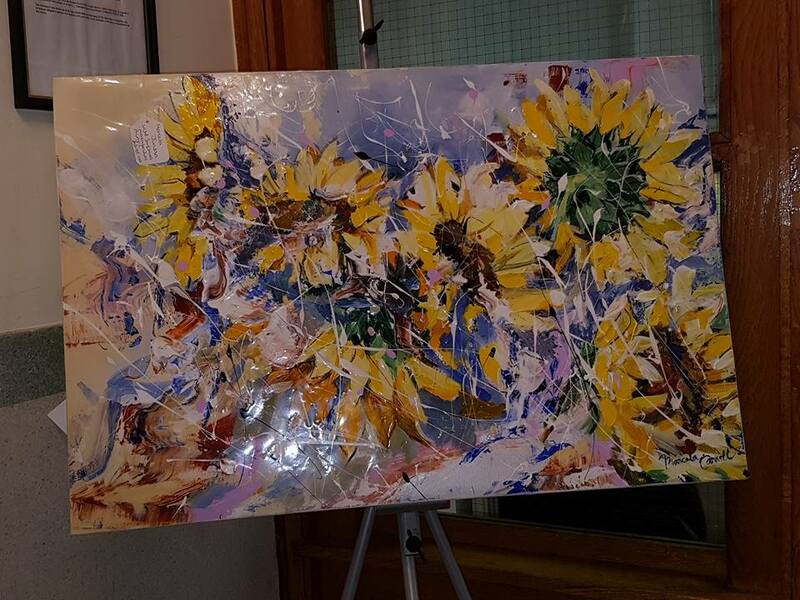 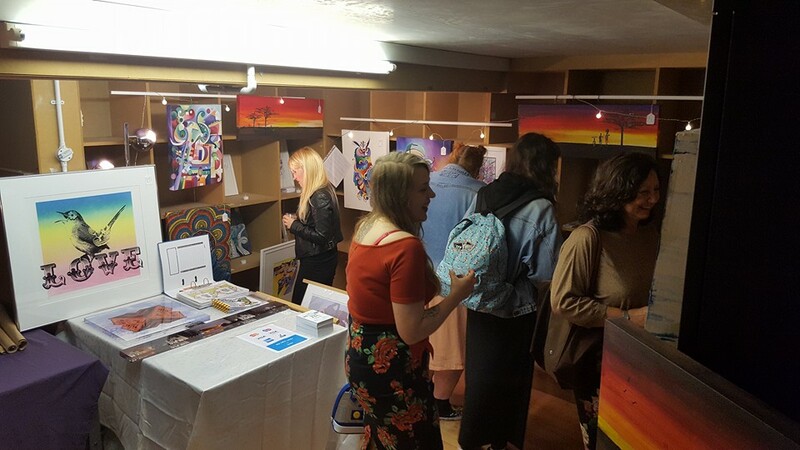 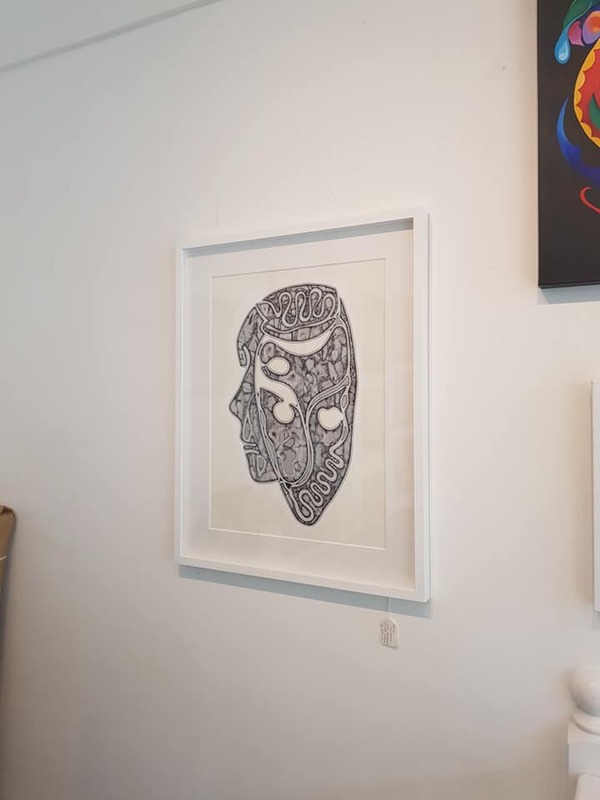 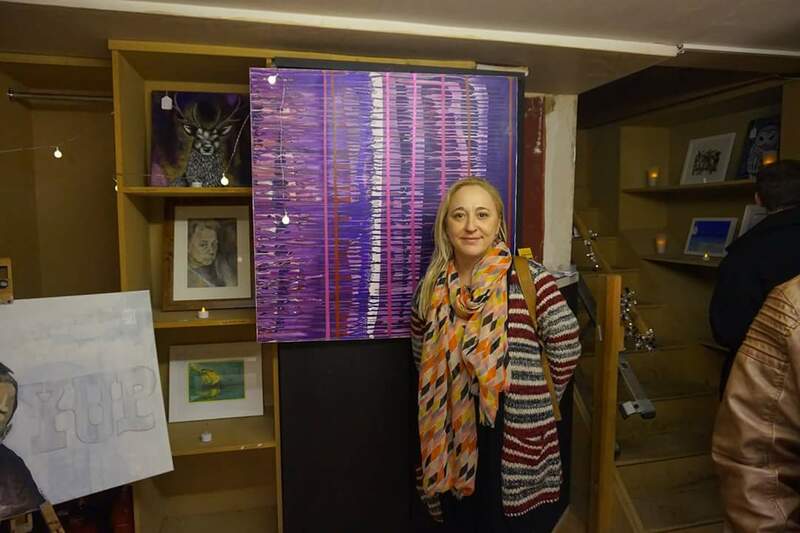 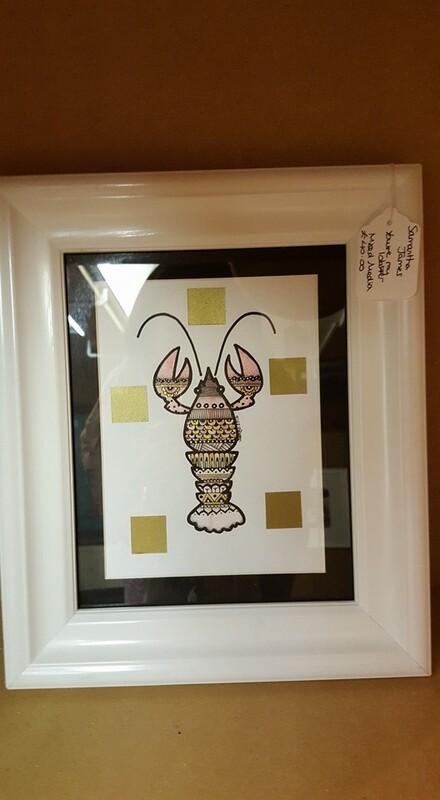 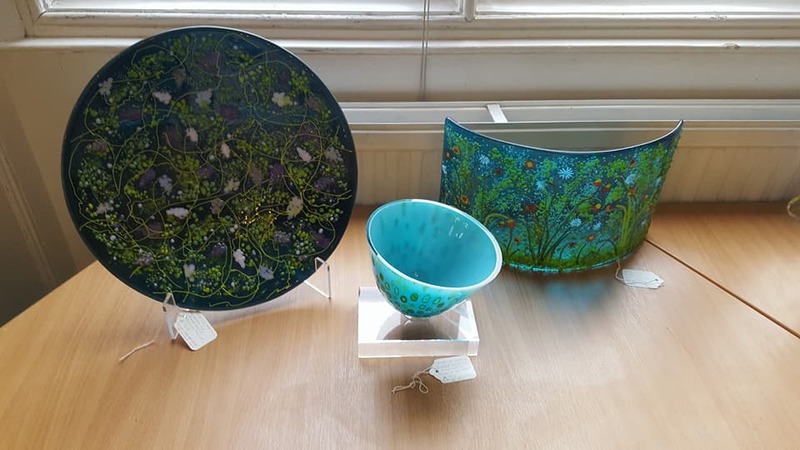 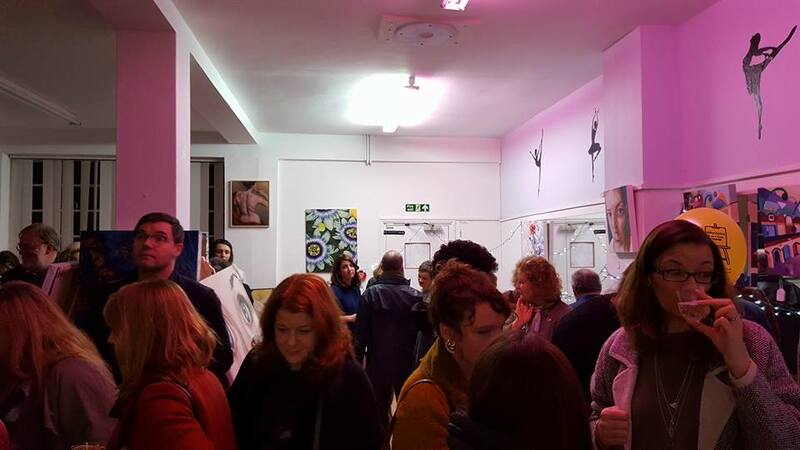 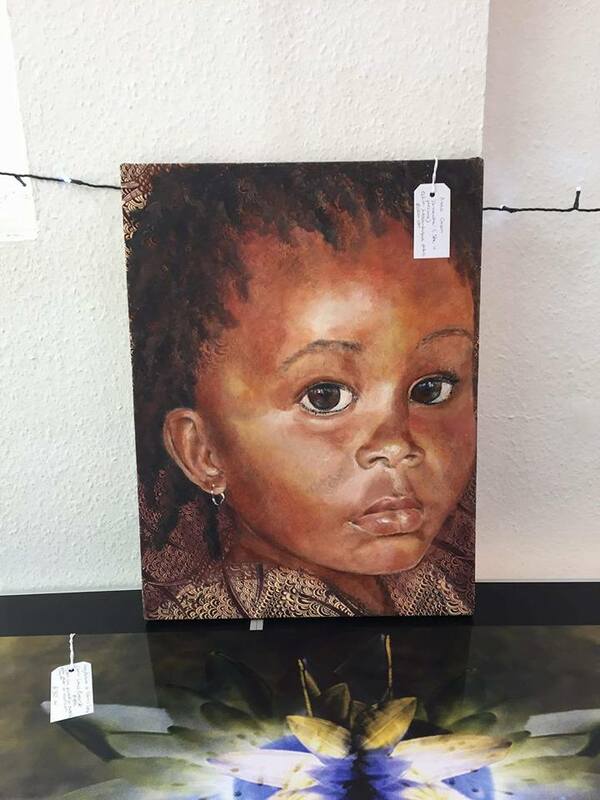 Samantha decided to create a pop up exhibition for herself to give herself and other like minded emerging Artists in the local area a space to be able to showcase their talent. 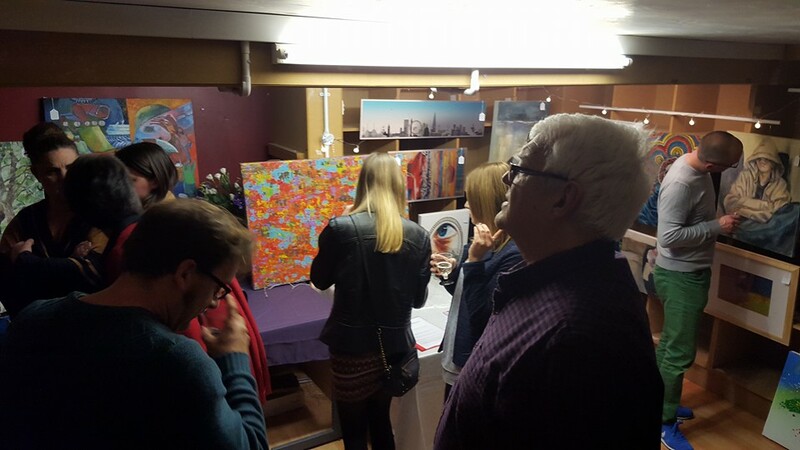 The concept has organically grown with no funding from banks or investors to its 3rd event taking place April 2016. 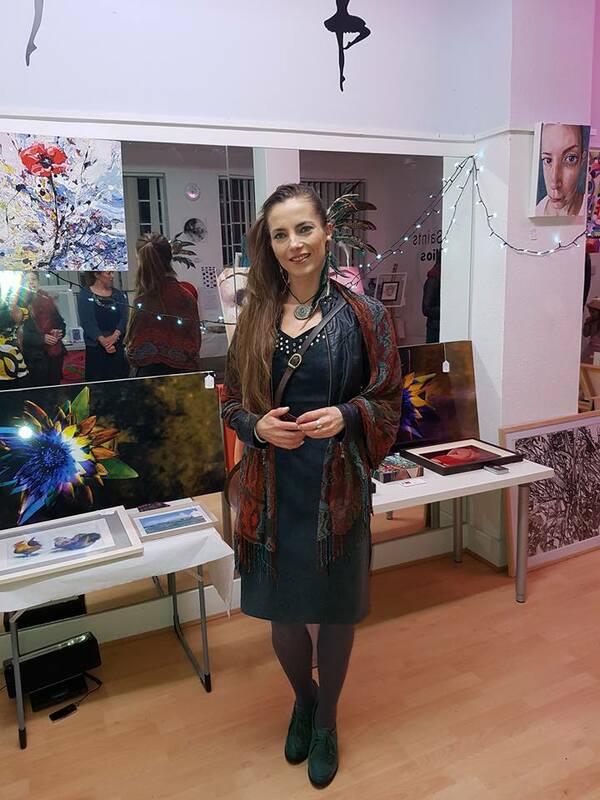 Every event has become stronger in relation to local knowledge that the business exists to both Artists and Art Lovers. 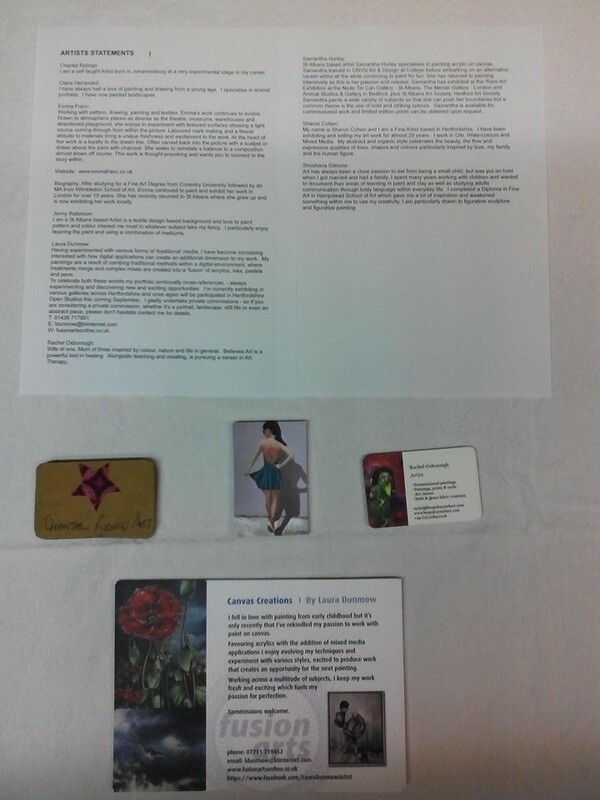 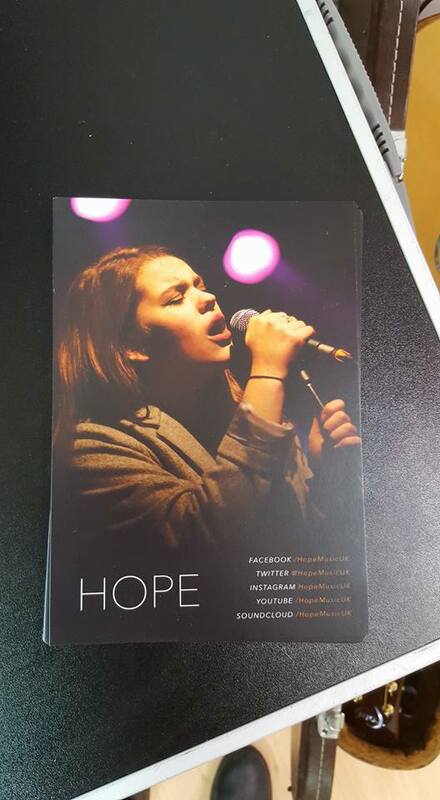 As well as nationally through strategic online and social media marketing and word of mouth. 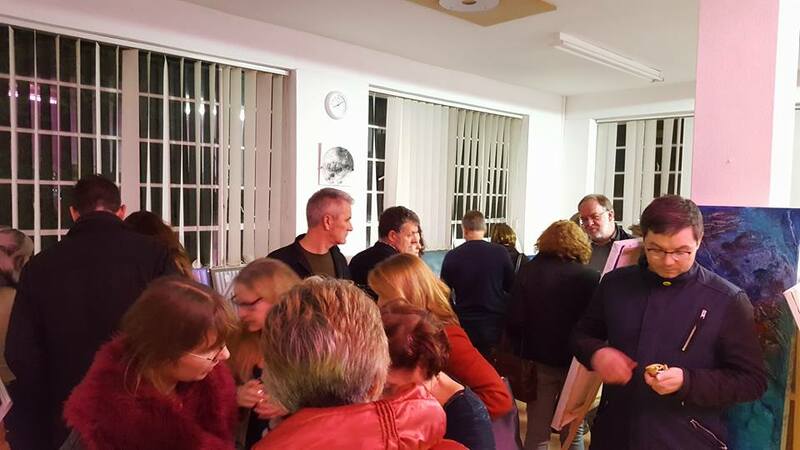 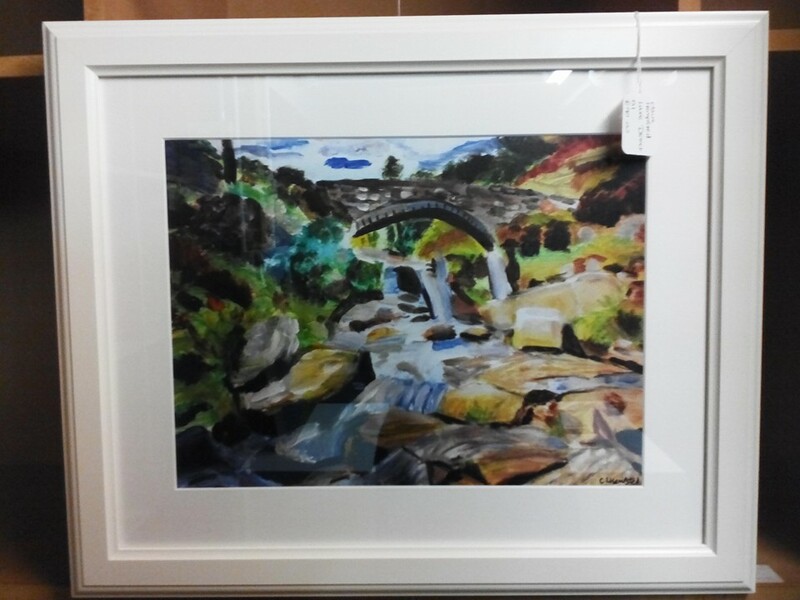 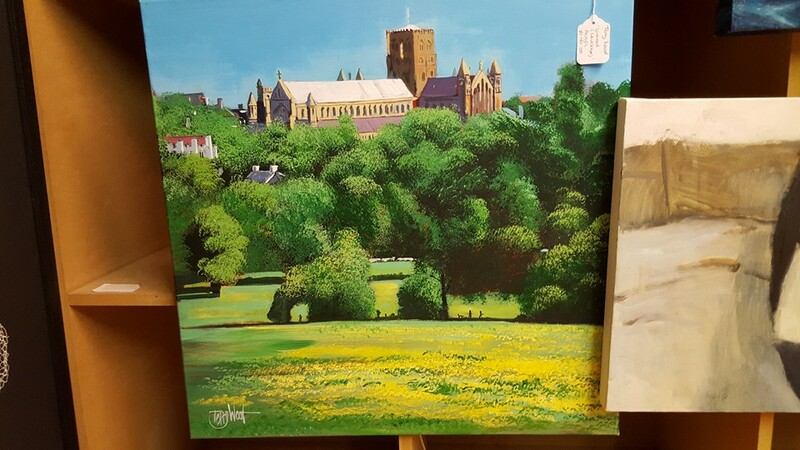 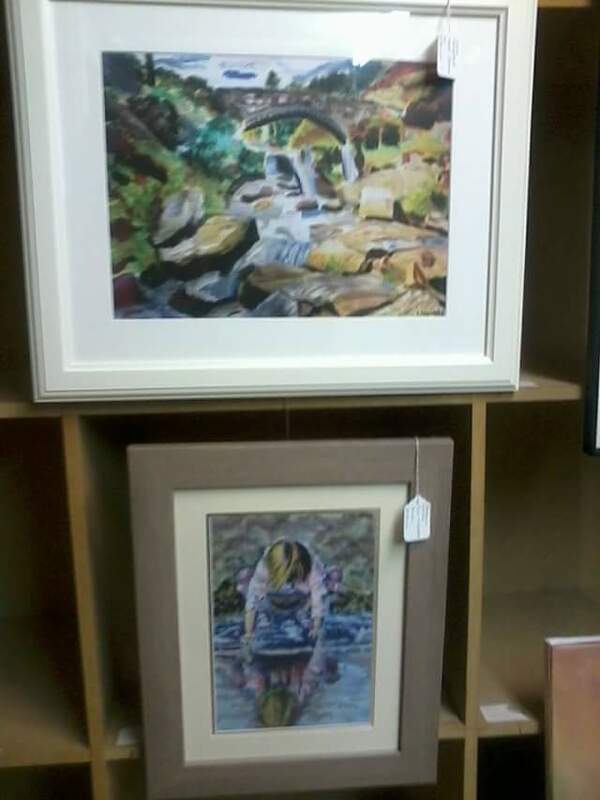 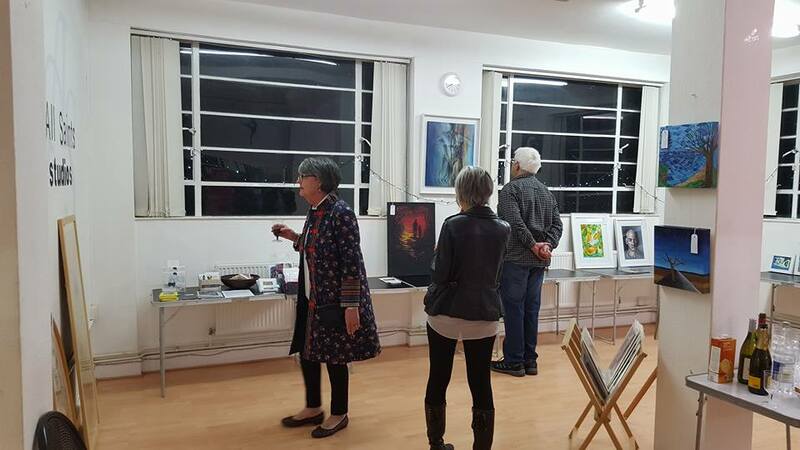 Pop along to the next exhibition whether you are an Artist looking for space to exhibit or an Art Lover who would like to browse some great talent that can be picked up at affordable prices. 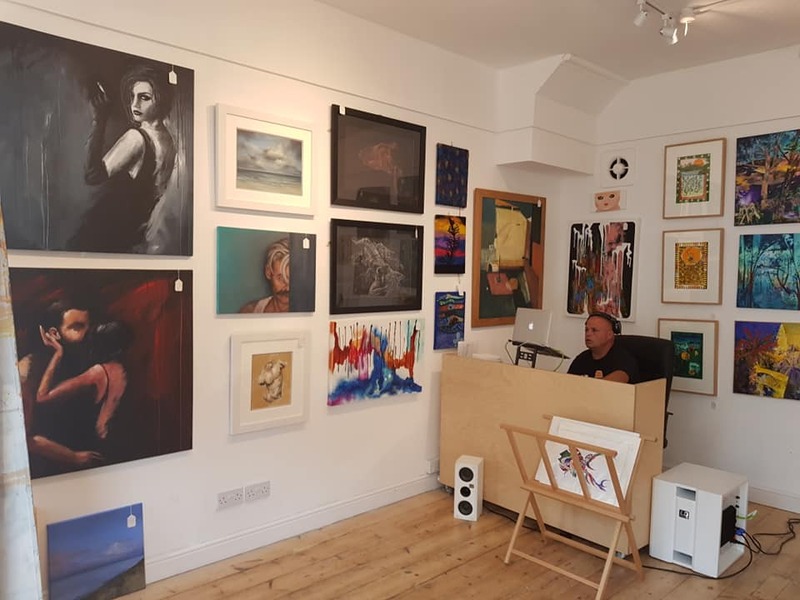 If you are an Artist or an Art Lover/Buyer please email enquiries@sartgallery.co.uk, or sign up using the mailing list form at the bottom of this page. 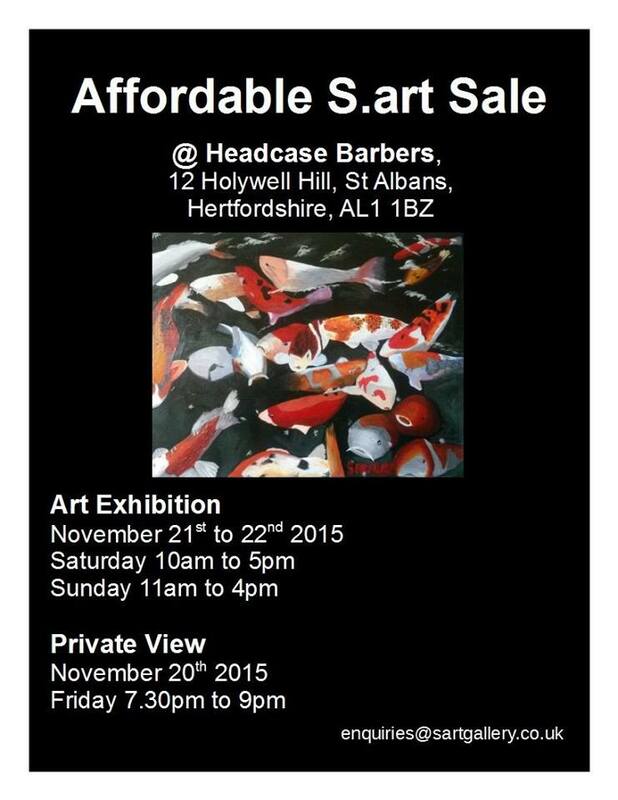 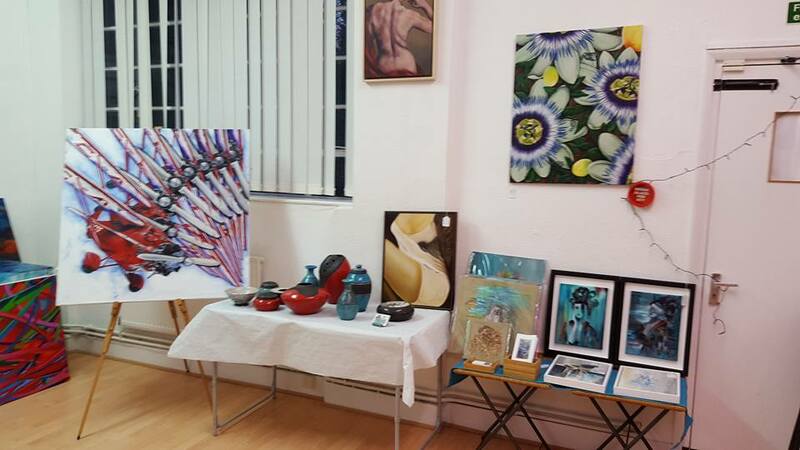 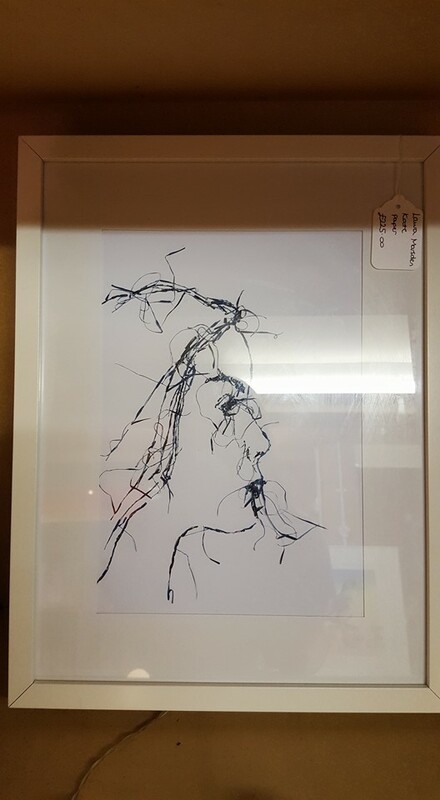 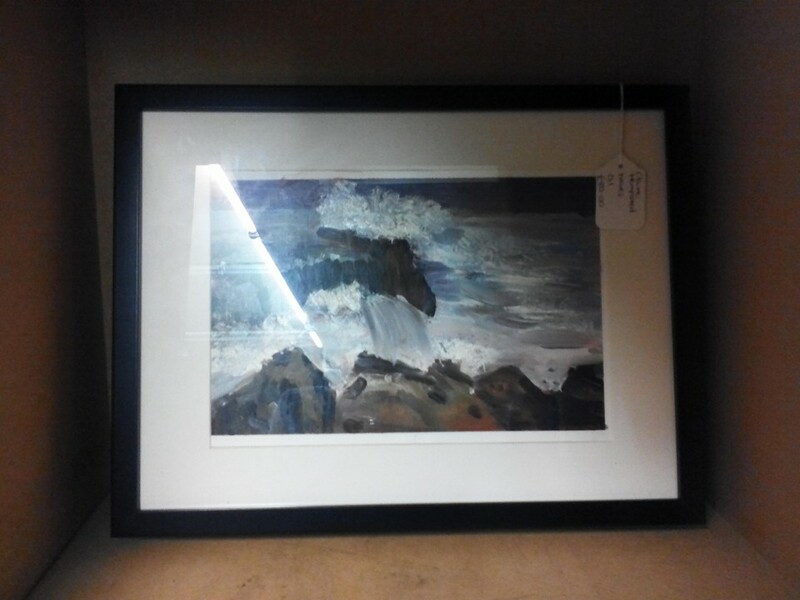 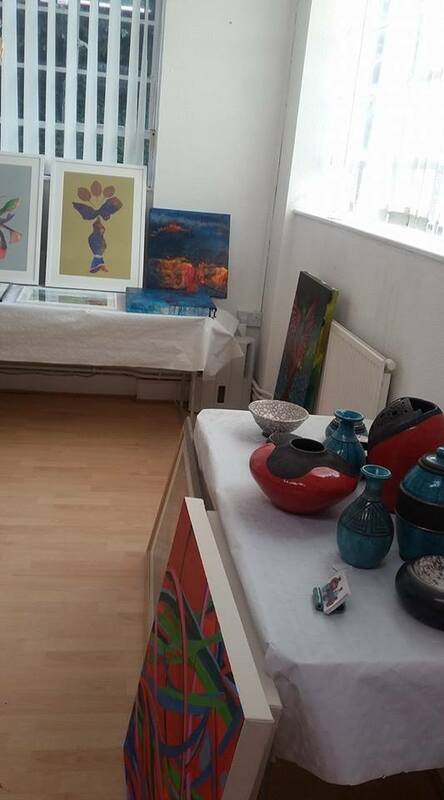 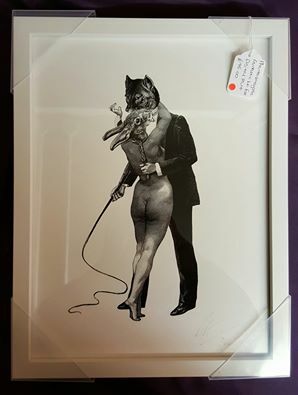 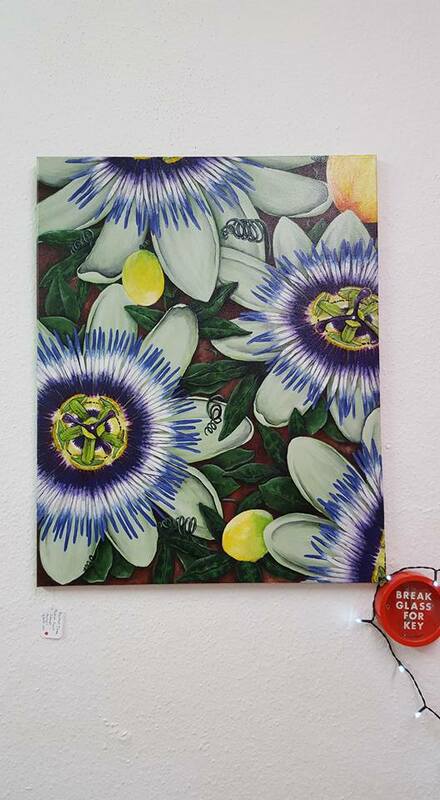 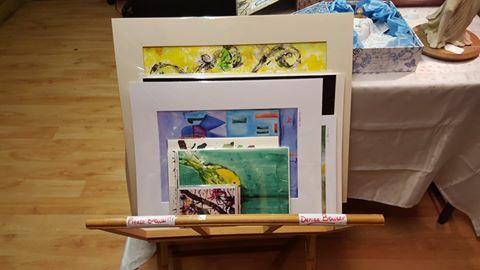 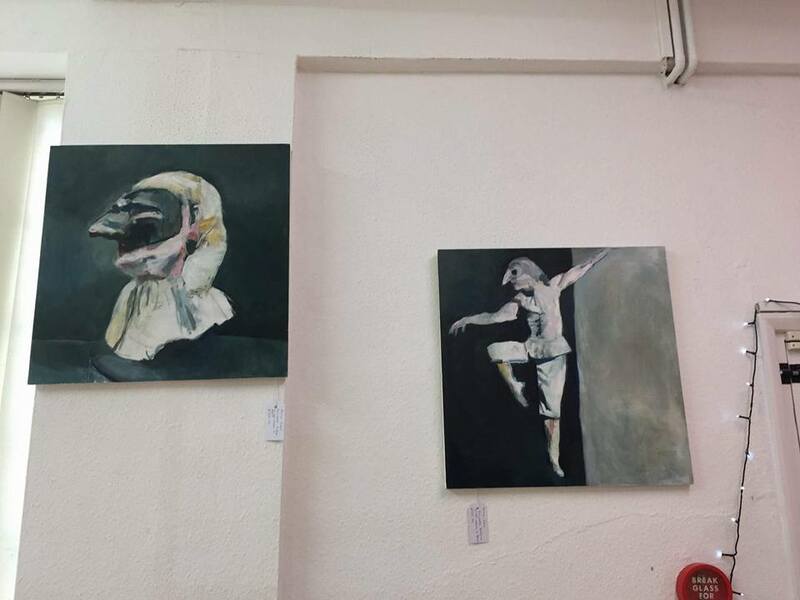 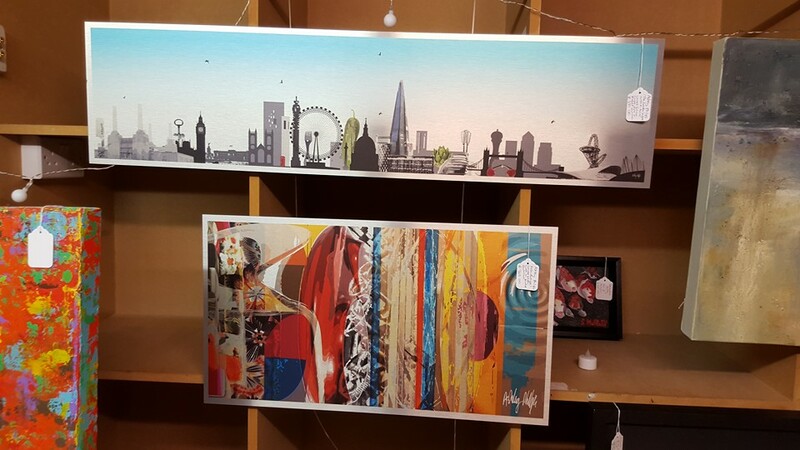 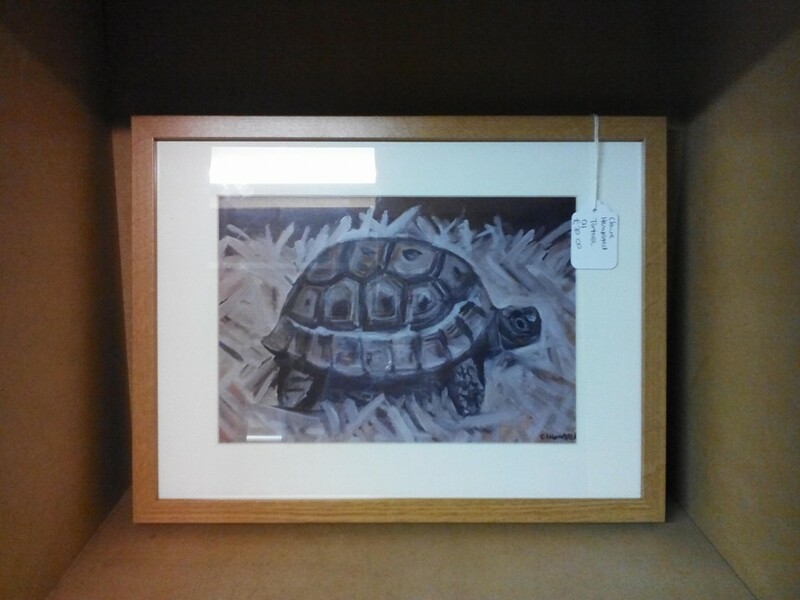 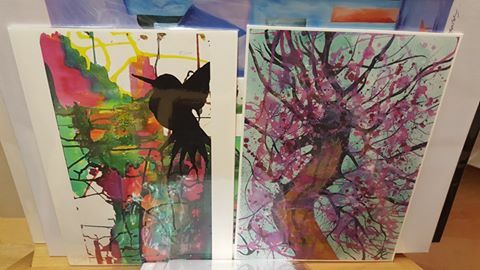 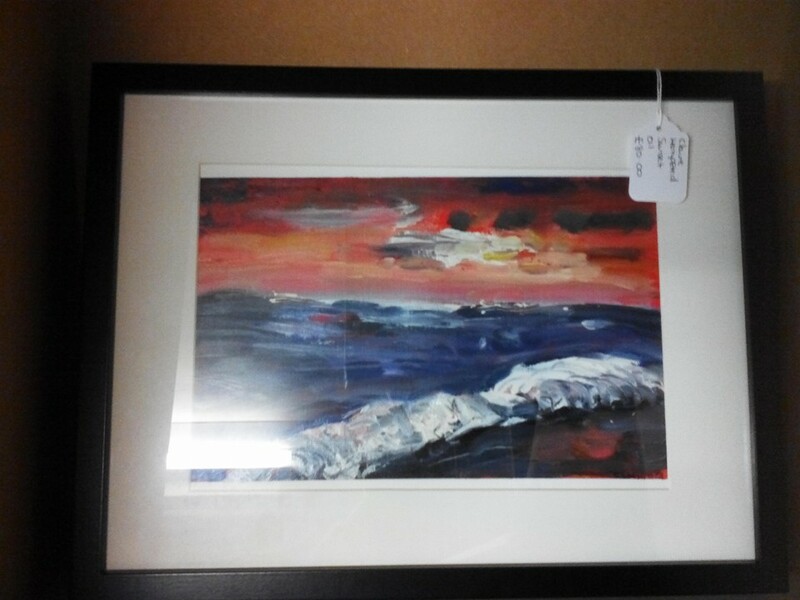 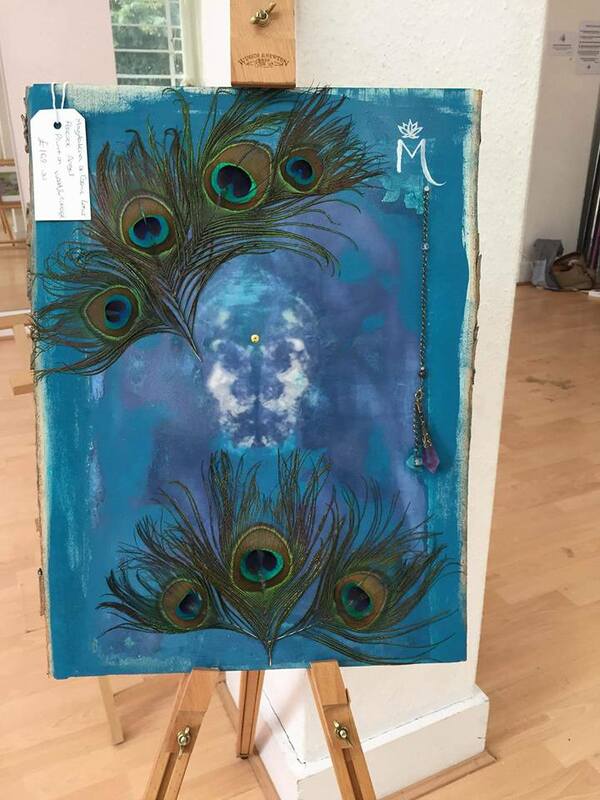 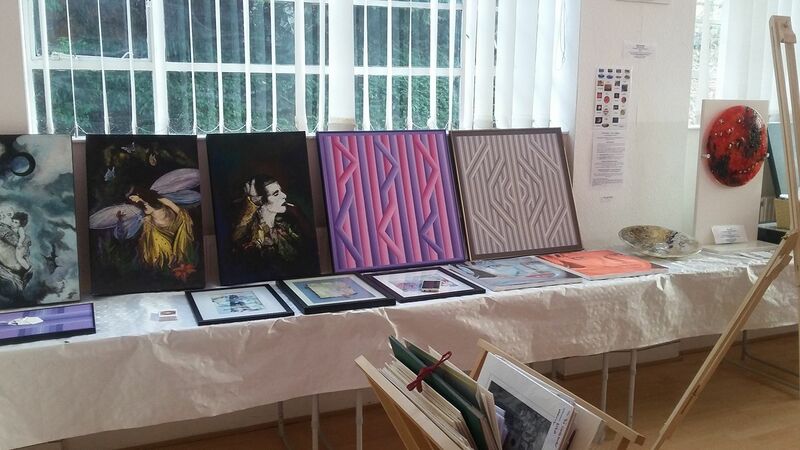 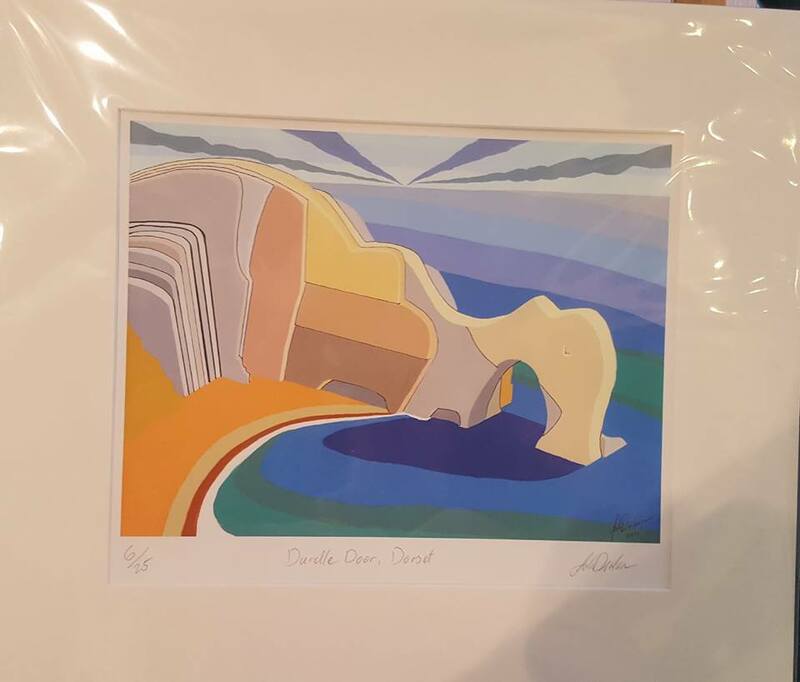 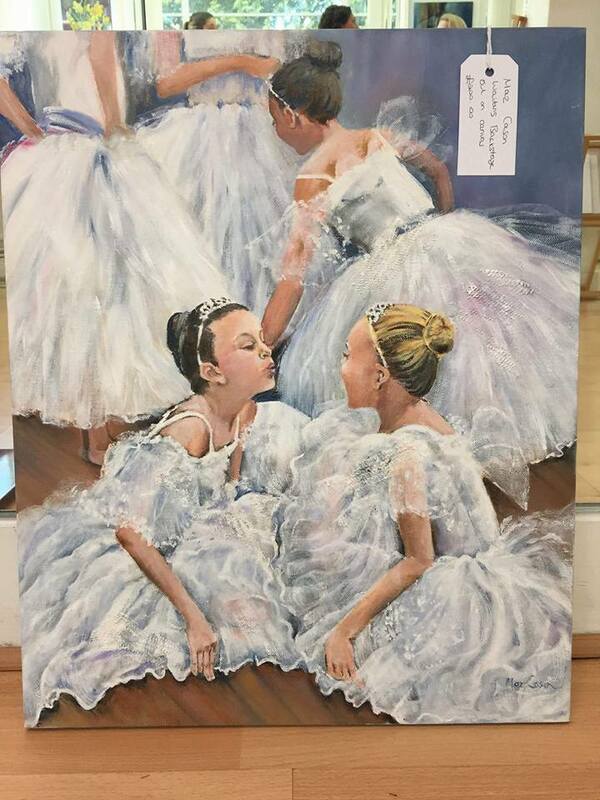 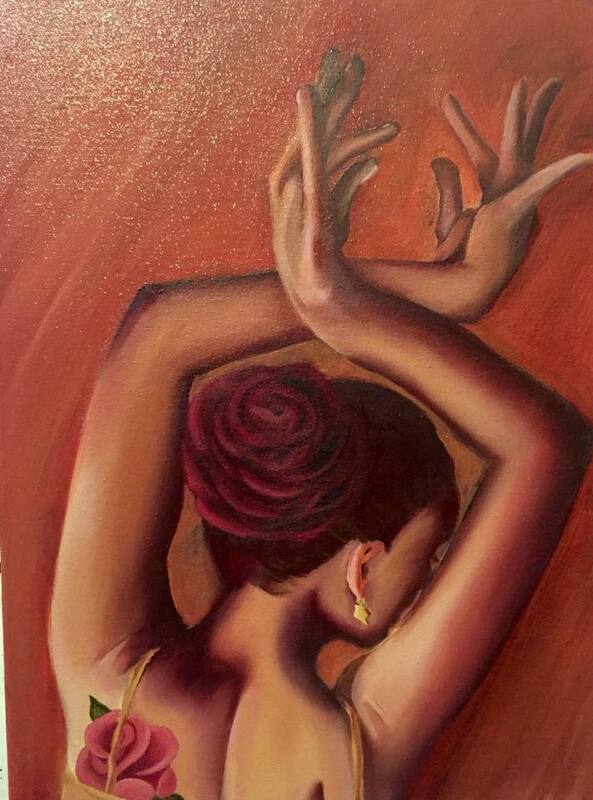 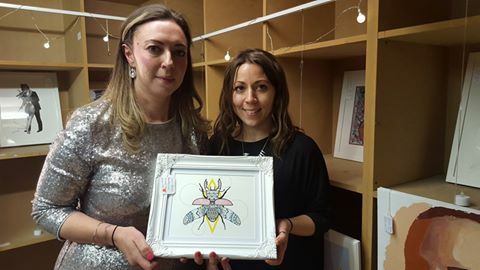 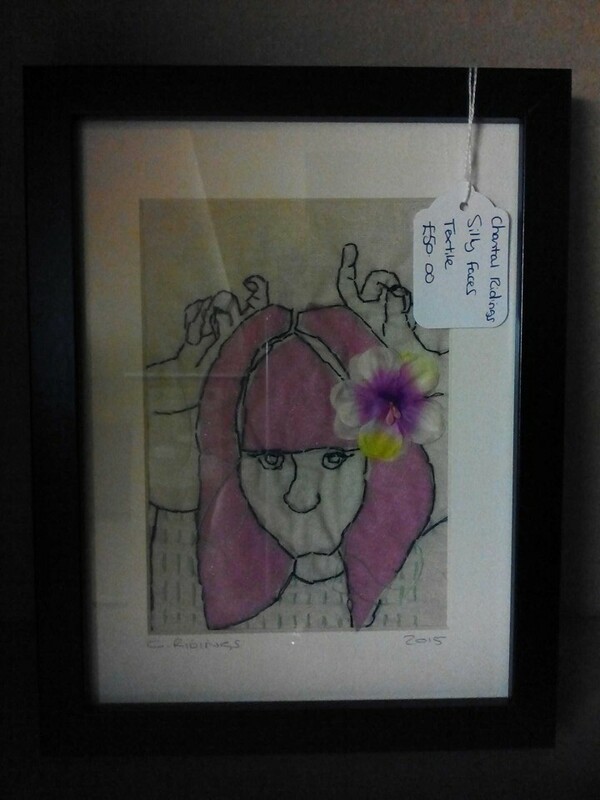 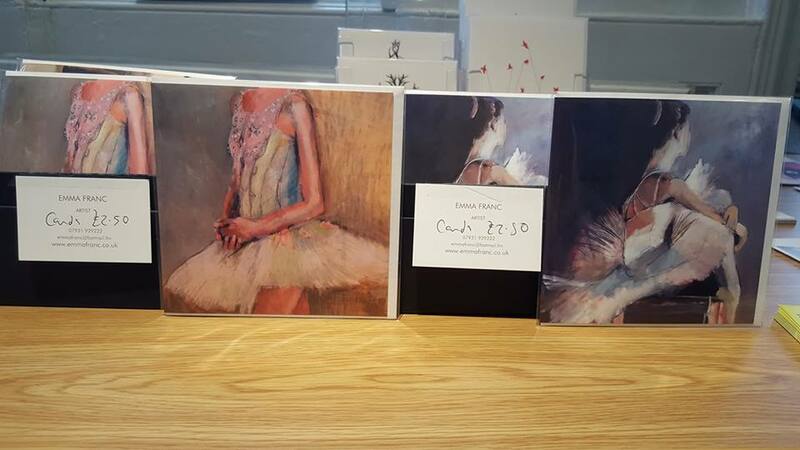 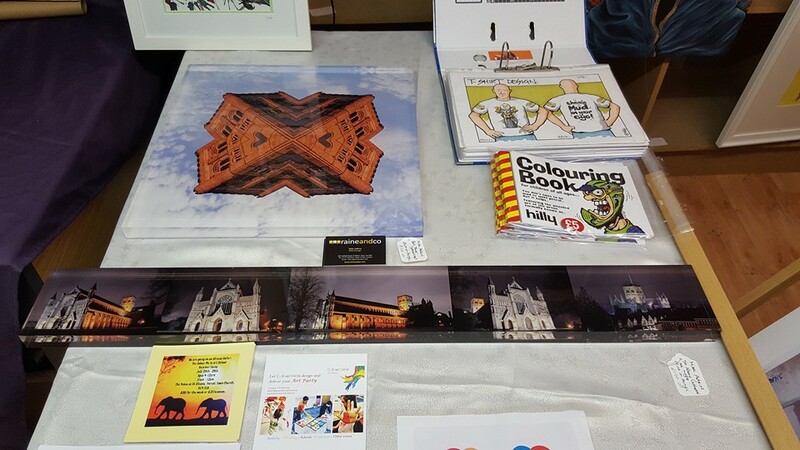 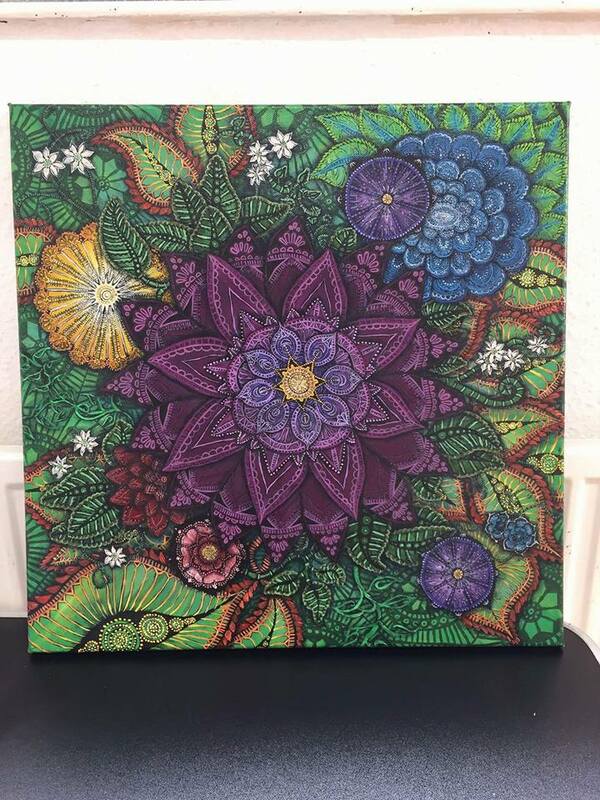 10th Affordable S.art Sale @ Naomi Czuba Dance Studio, London Colney, St Albans. 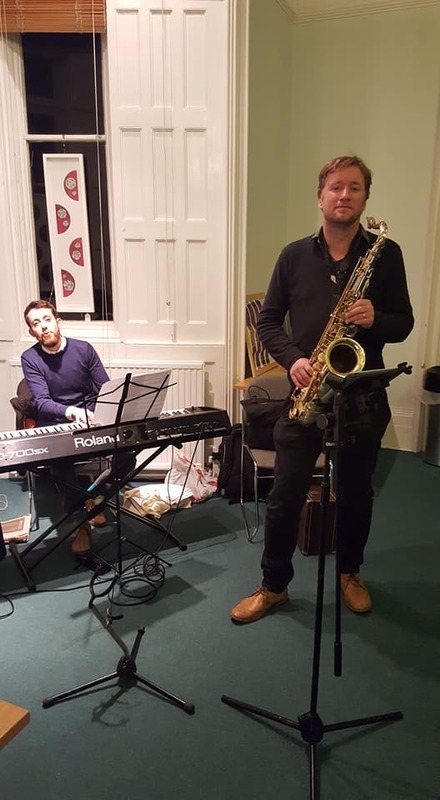 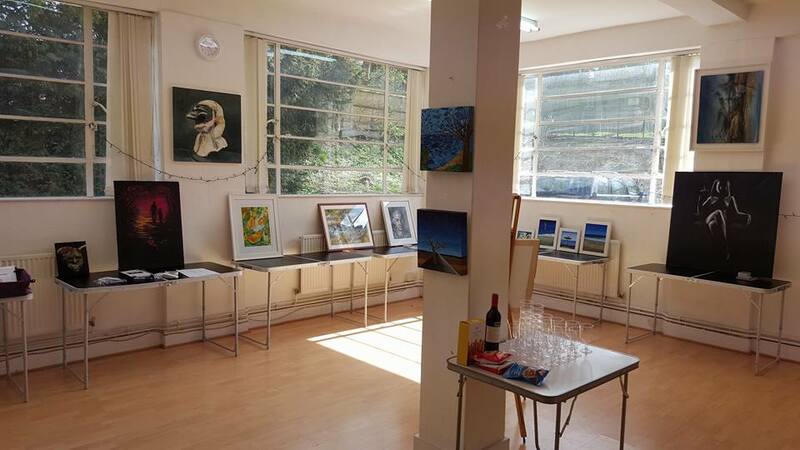 Friday 29th March to Sunday 31st March 2019. 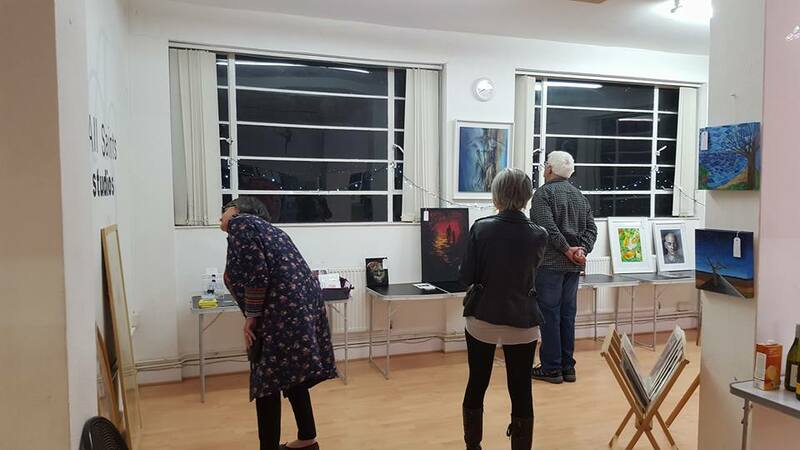 Artists showing are Sarah Booth, Amy Pettingill, Marcela Caroll, Debbie Thorpe, Jamie Kirk, Lucy Sugden, Angela Reynolds, Tina Culverhouse, John Durham, Anji Archer, Laura Dunmow, Jenna Harper, Laurence Hartley, Sonita Timur, Audrey Bowling, Leena Shah, Allison Sherburne, Kate Dean, Samantha Hurley. 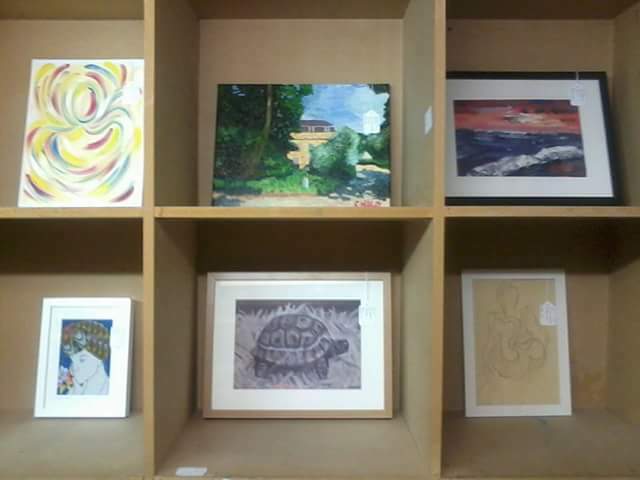 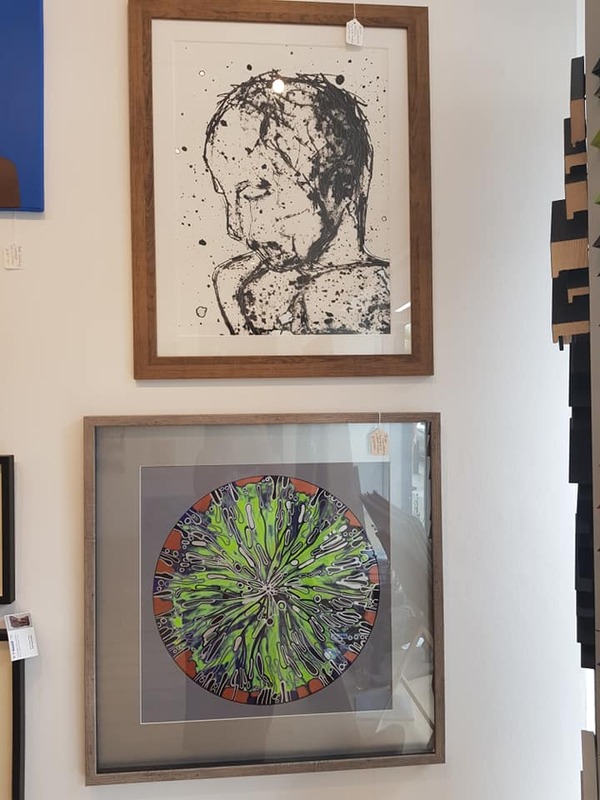 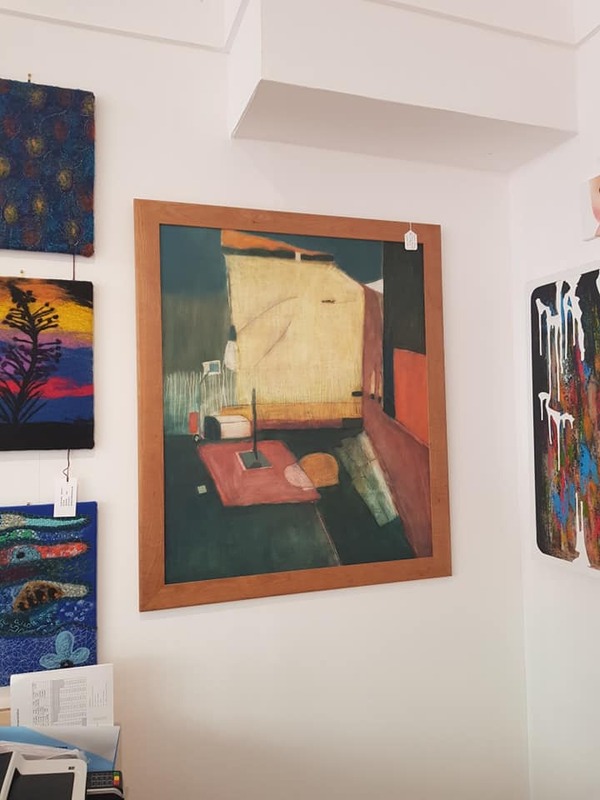 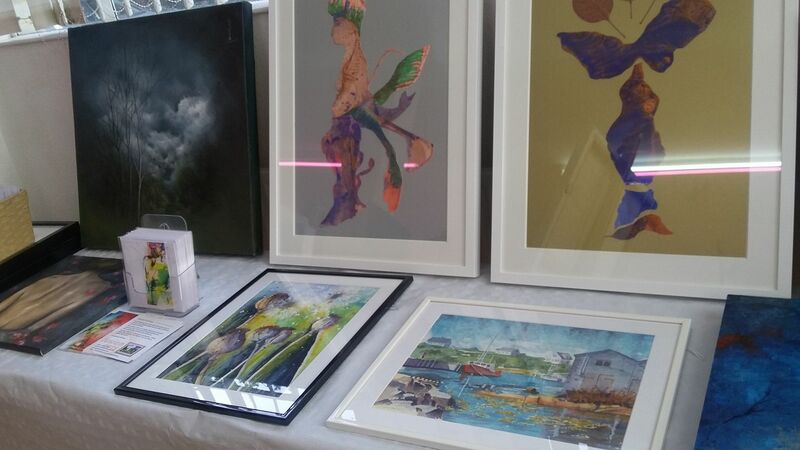 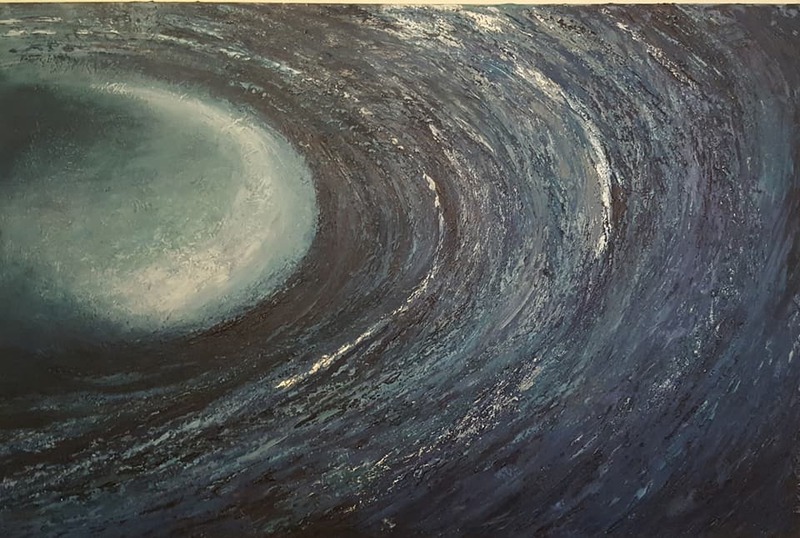 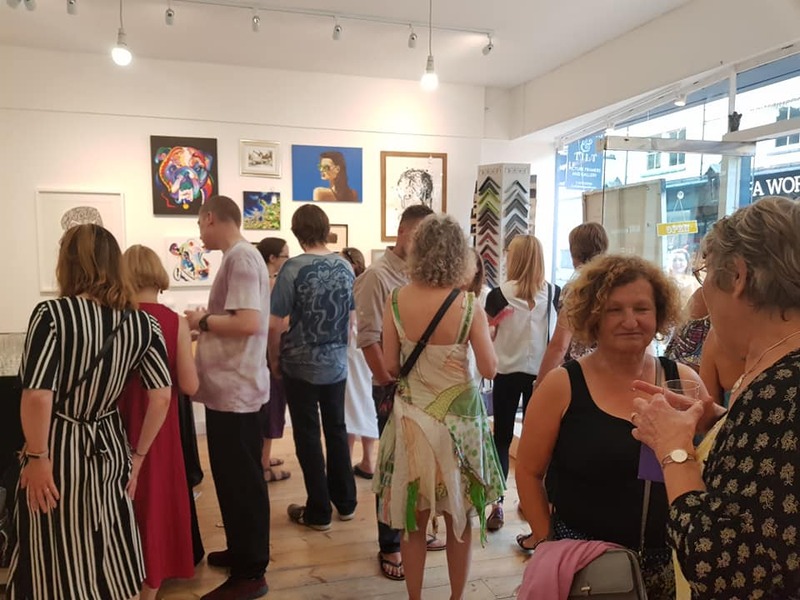 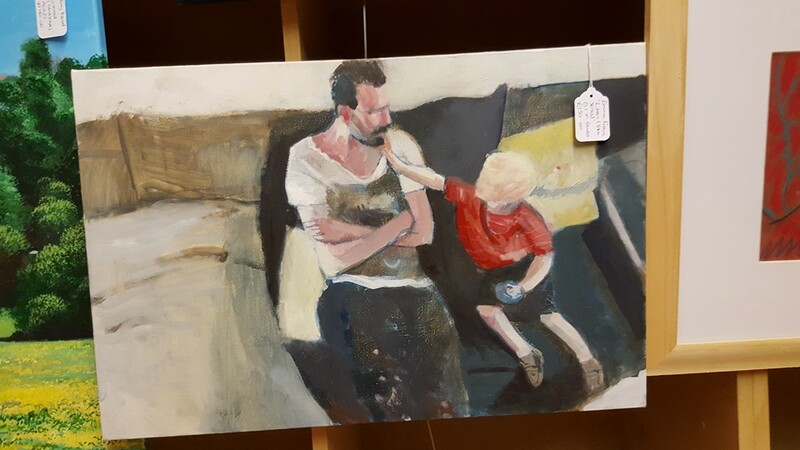 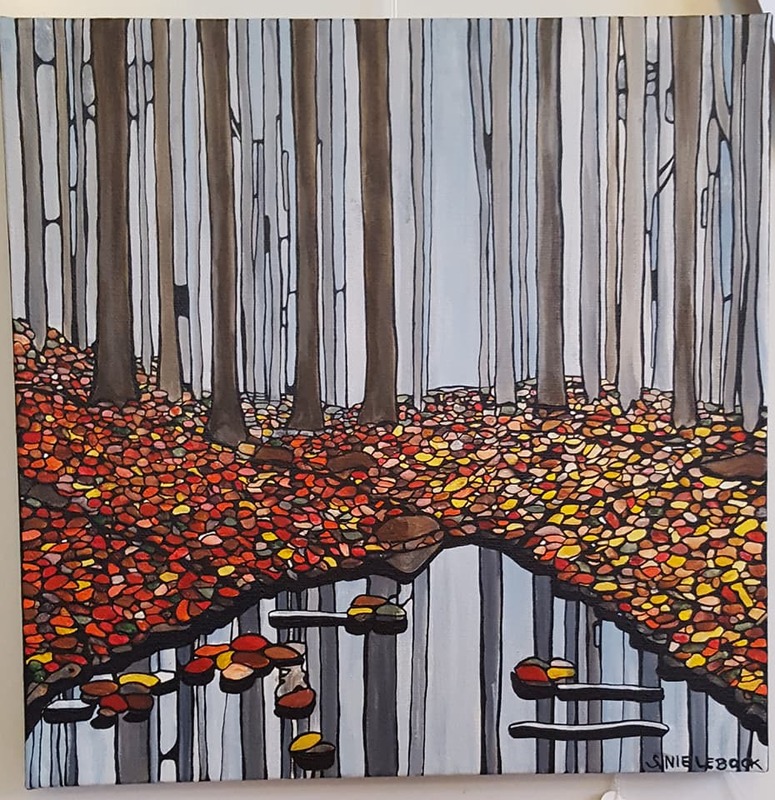 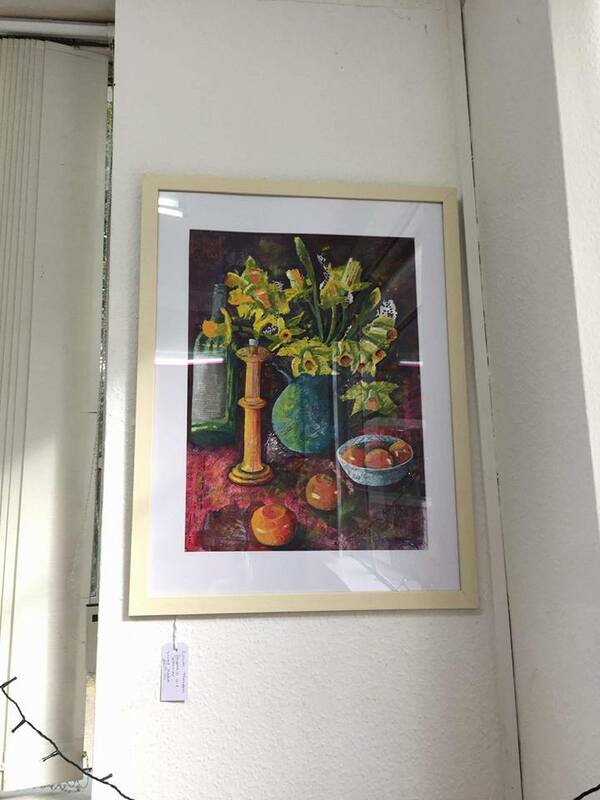 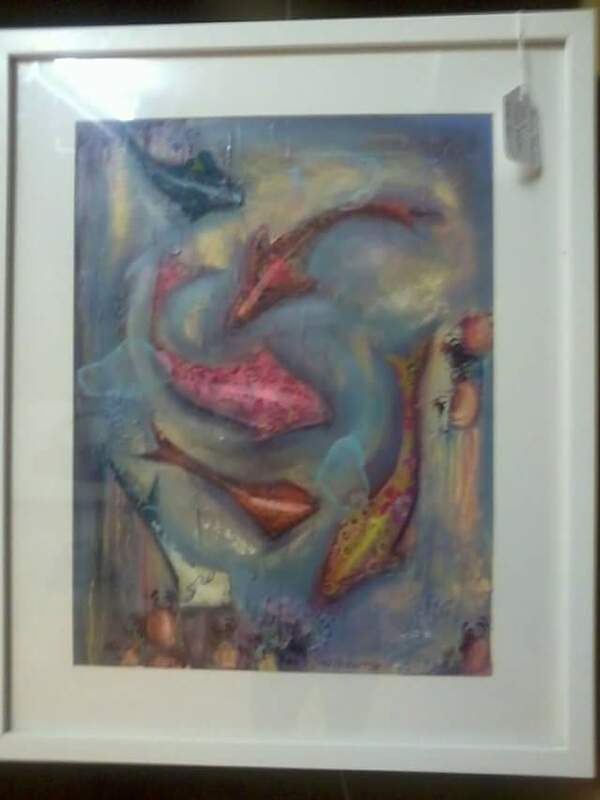 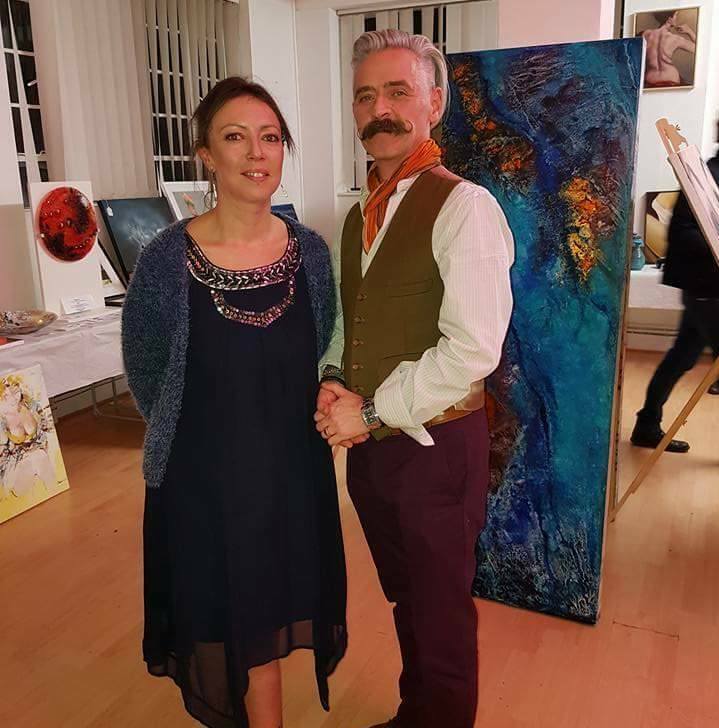 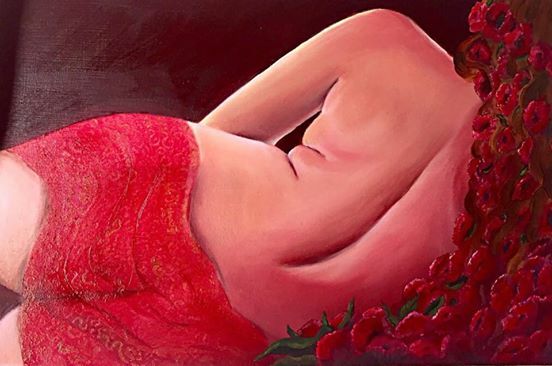 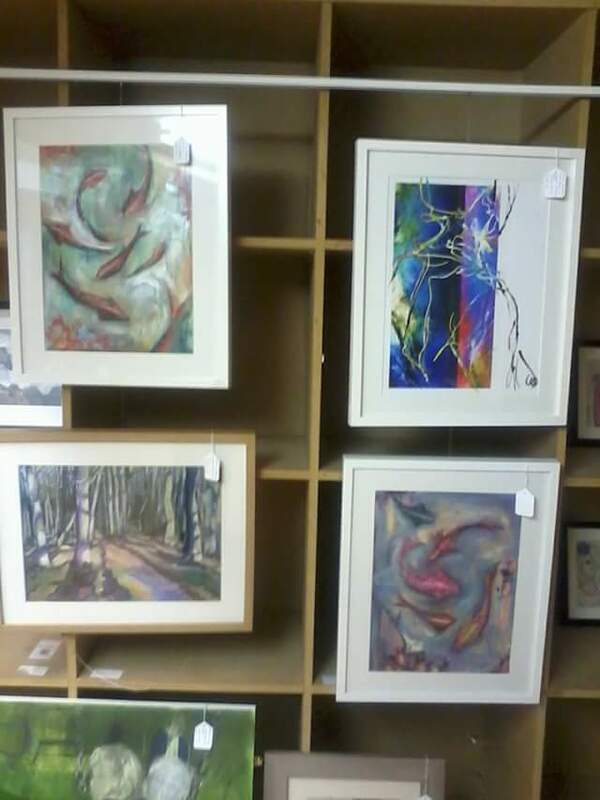 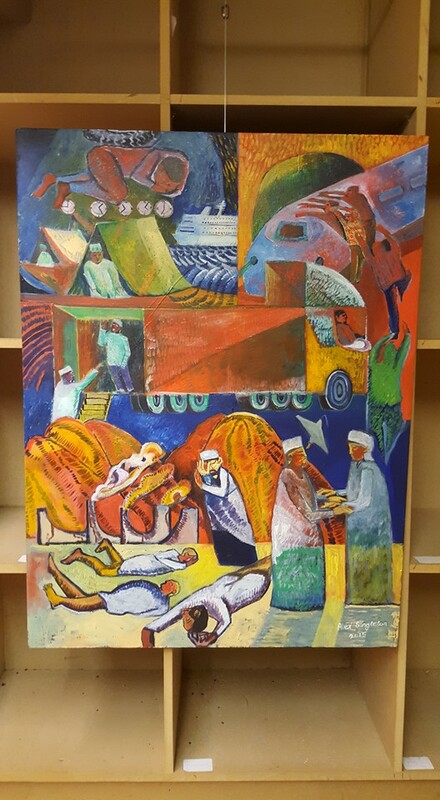 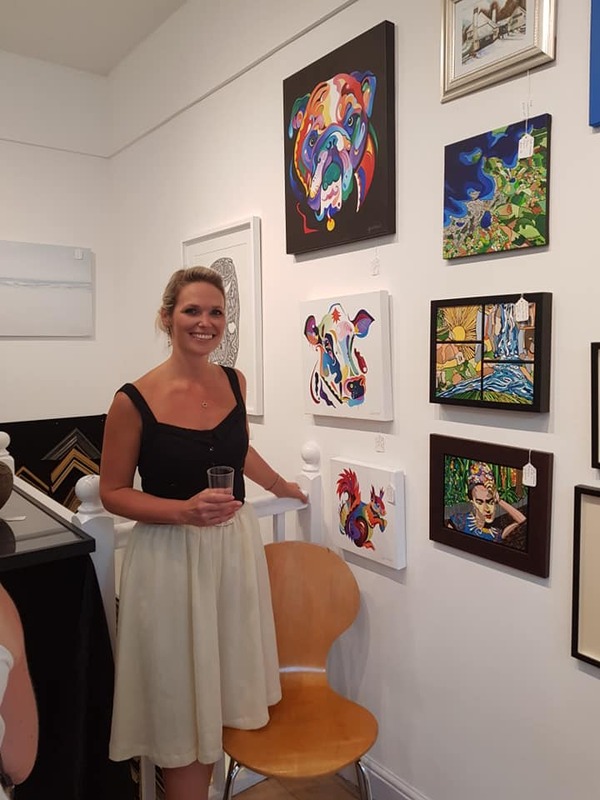 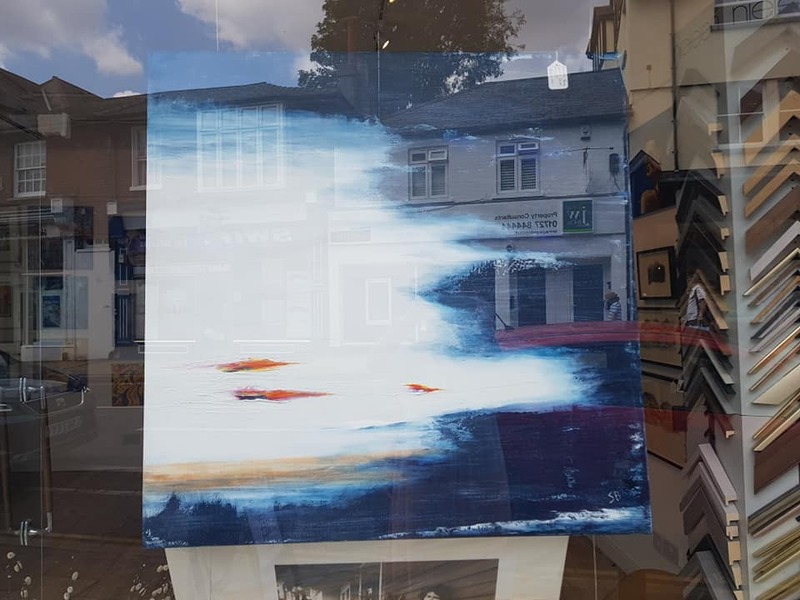 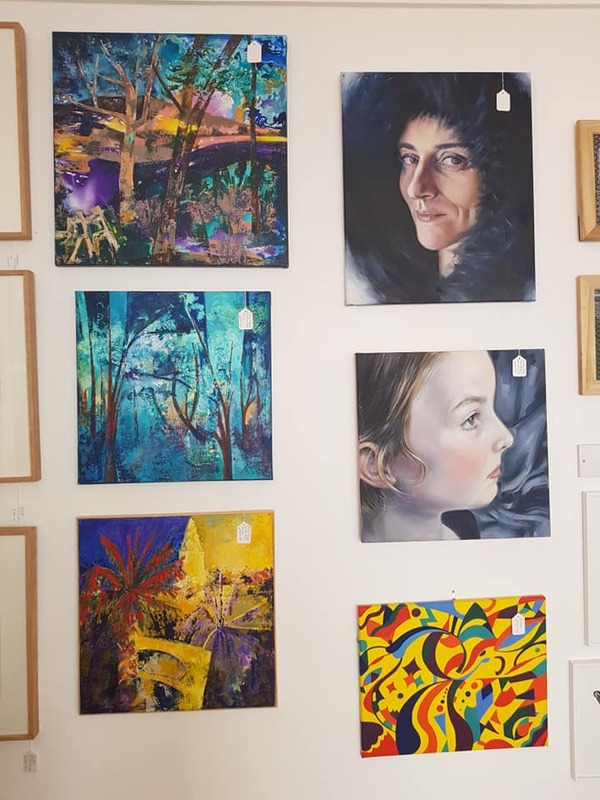 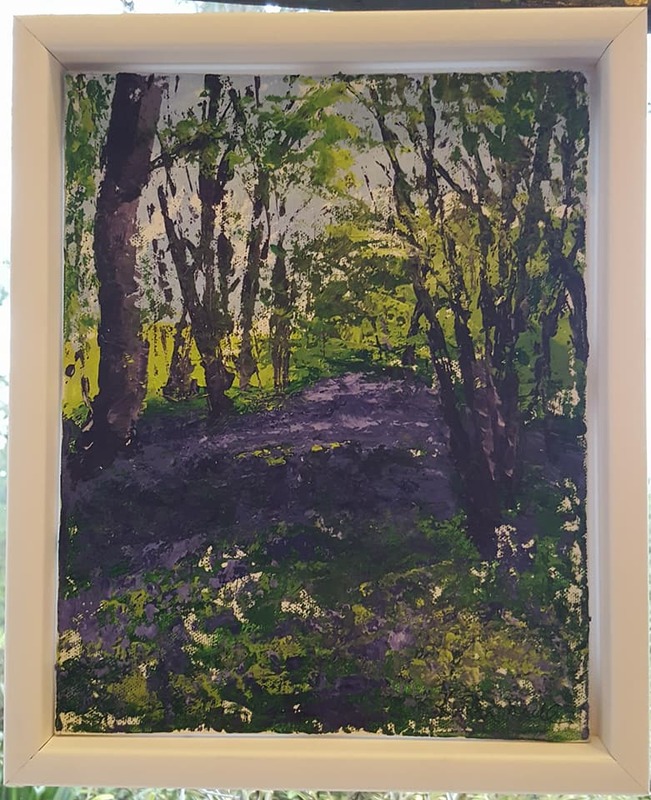 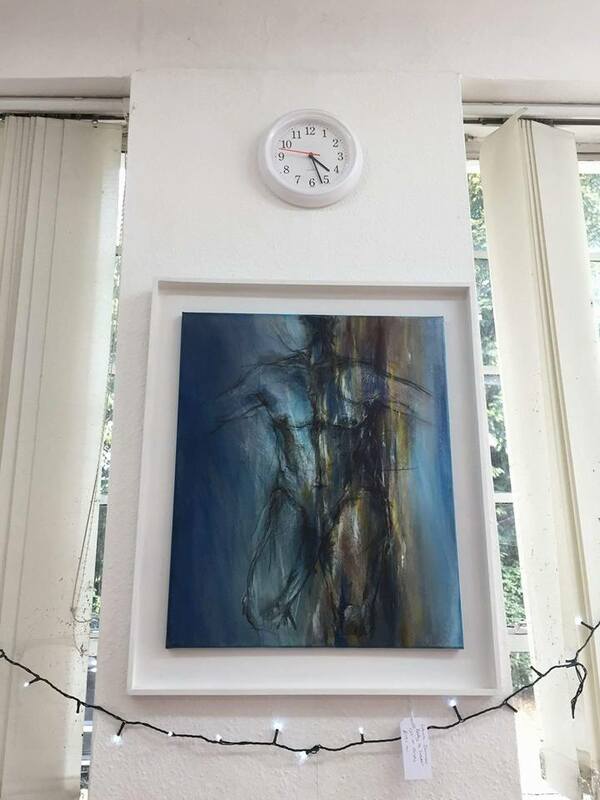 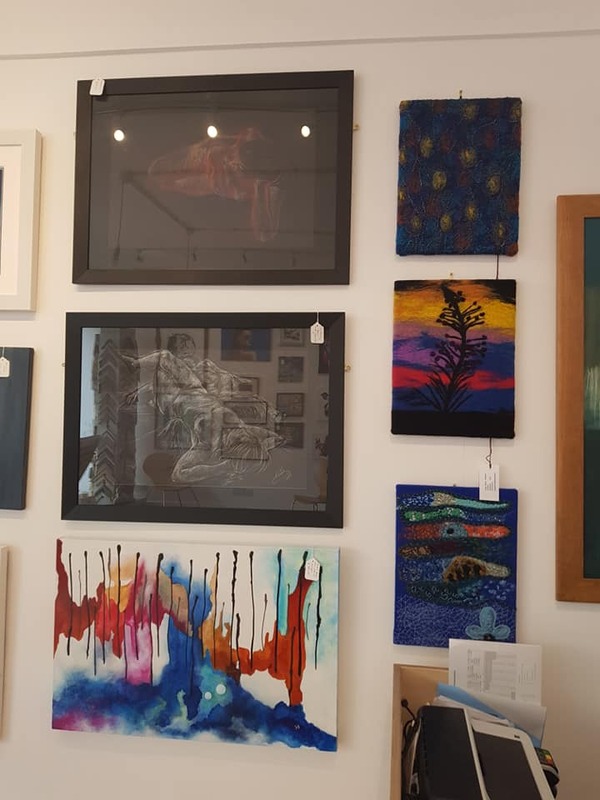 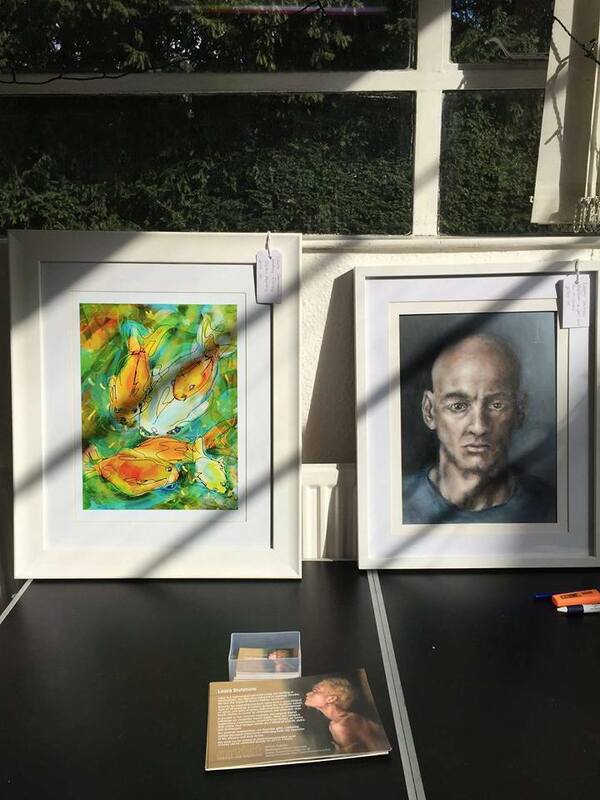 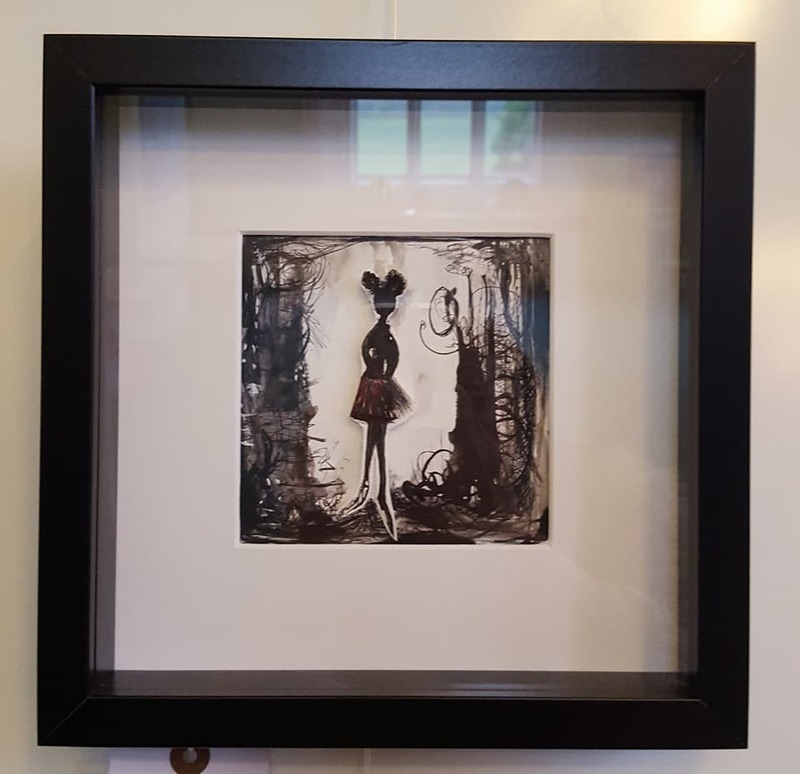 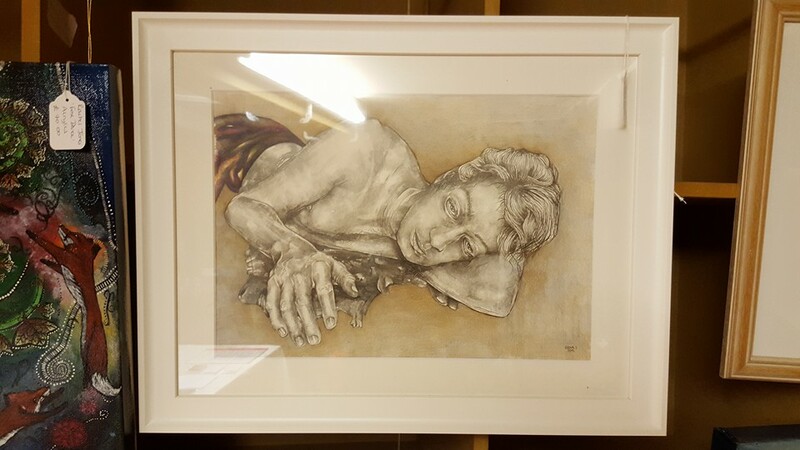 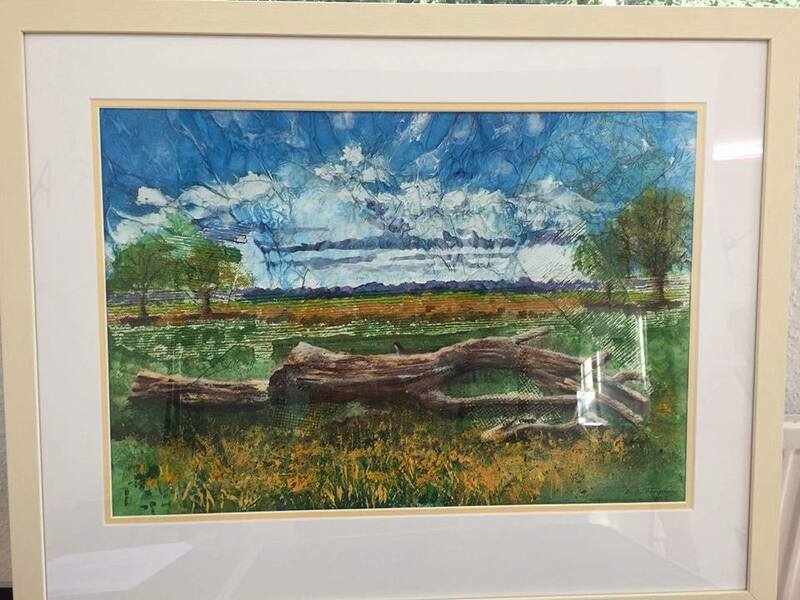 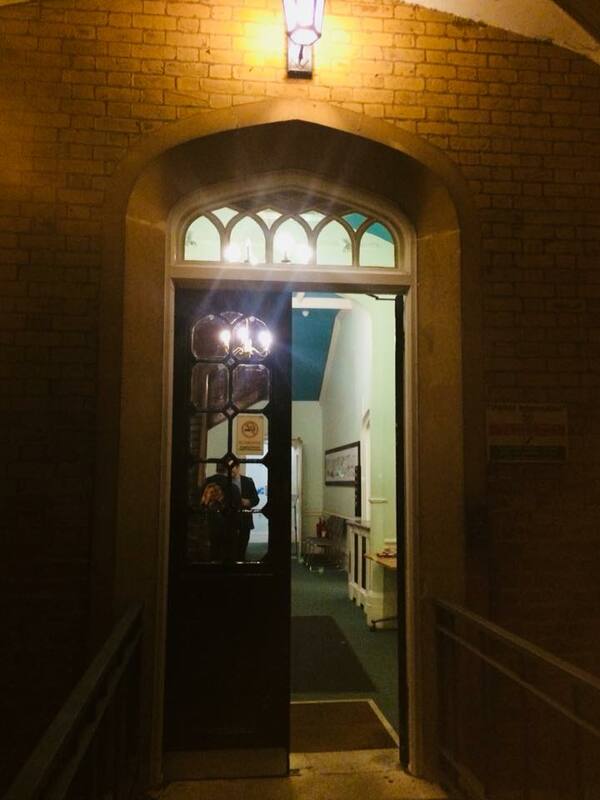 Exhibiting Artists: Emma Franc, Phantazmagora, Jonathan Emmerson, Fiona Booy, Clare Harris, Jo Eden, Libby Dillon, Petra Geggia, Rose Gooding, Suse Nilebock, Ruby Lewios, Rachel Jones, Helen Carew, Anji Archer, Amy Pettingill, Chloe Valerie, Laura Dunmow, Chantal Ridings, Audrey Bowling, Kimberley Bevan, Clare Harris, Stuart Beck, Samantha Hurley. 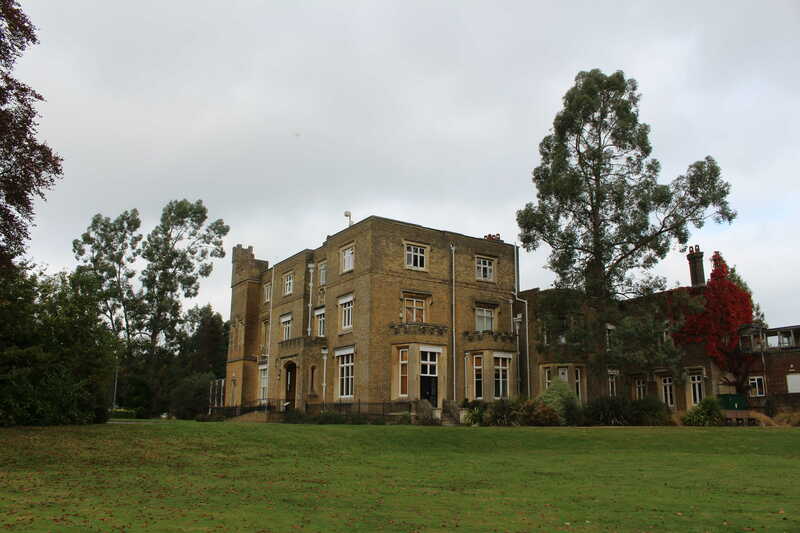 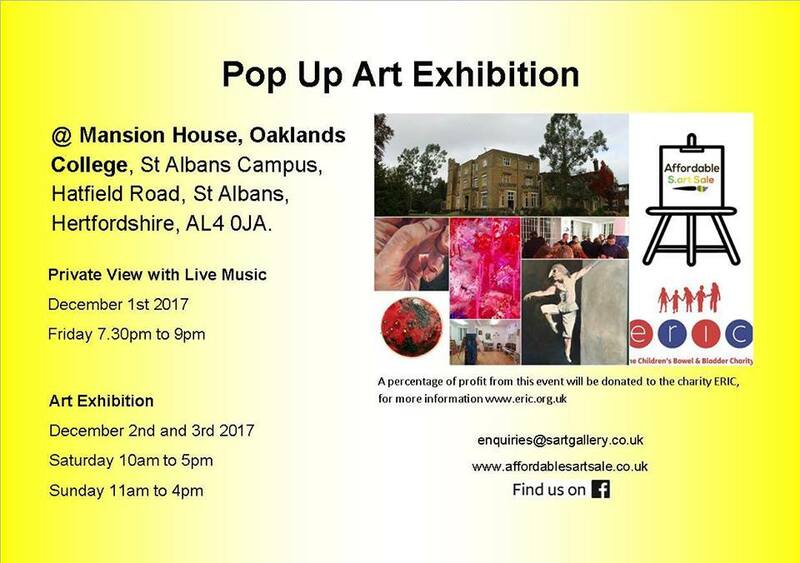 1st December to 3rd December 2017 @ Mansion House, Oaklands College, St Albans. 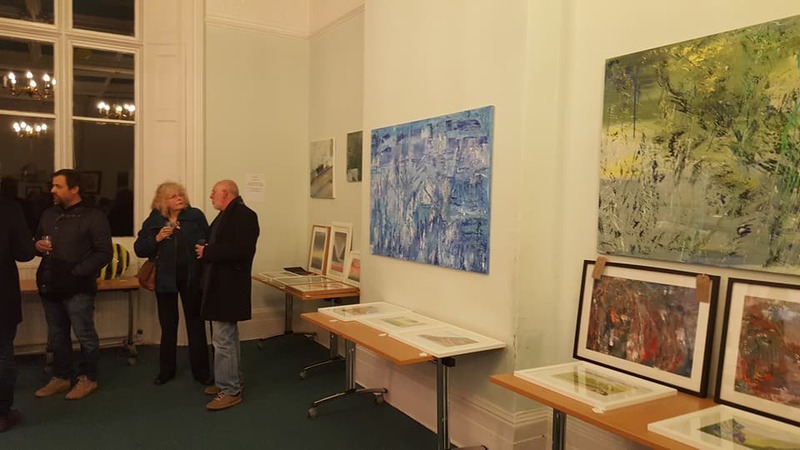 EXHIBITING ARTISTS: Anji Archer, Amy Pettingill, Billie Richardson, Chantal Ridings, Caroline Harris, Emma Jones, Helen Carew, Helen Lack, Janet Cawthorne, John Durham, Jonathan Emmerson, Laura Dunmow, Laurence Hartley, Petra Geggia, Rachel Jones, Rose Gooding, Samantha Hurley, Susan Chester, Suse Nielebock, Tara Williams and Mike Adkins. 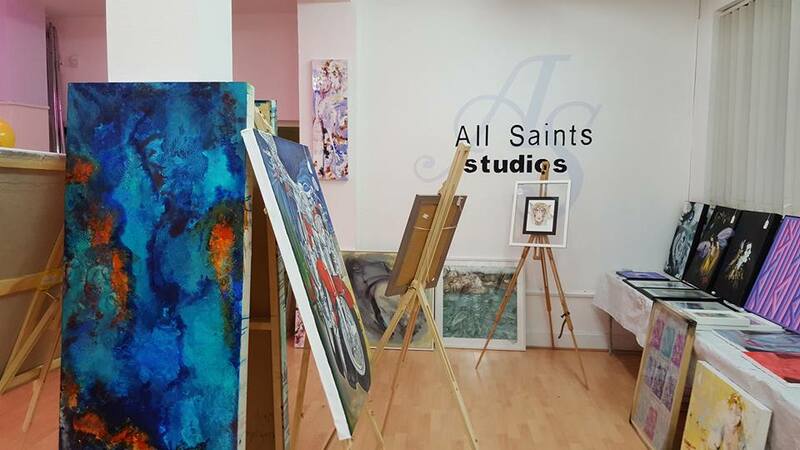 30th June to 2nd July 2017 @ All Saints Studios, St Albans. 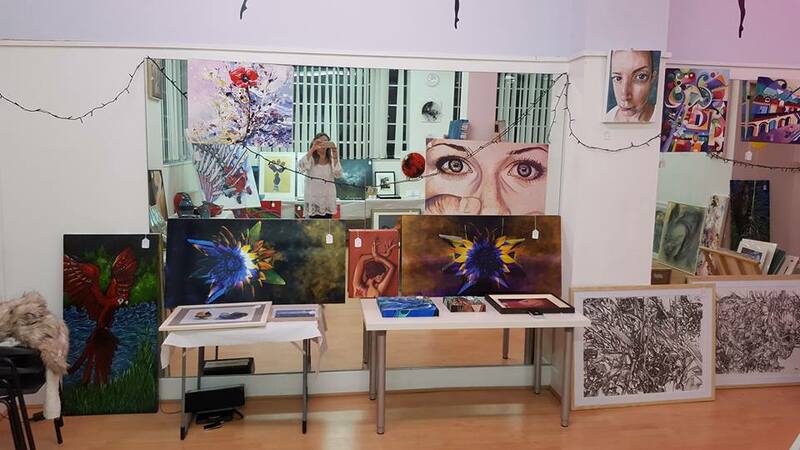 Exhibiting Artists: Helen Lack, Amy Pettingill, Anji Archer, Audrey Bowling, Carolyn Bushell, Clare Harris, Chloe Valerie, Dawn Rodger, Heather Miller, Helen Dodds, Jenna Harper, John Jarratt, Karem Ellam, Laira Haynes, Libby Dillon, Rachel Jones, Rosemary Cooper, Samantha Hurley, Stuart Beck, Suse Nielebock, Trisha Moore de Sanchez. 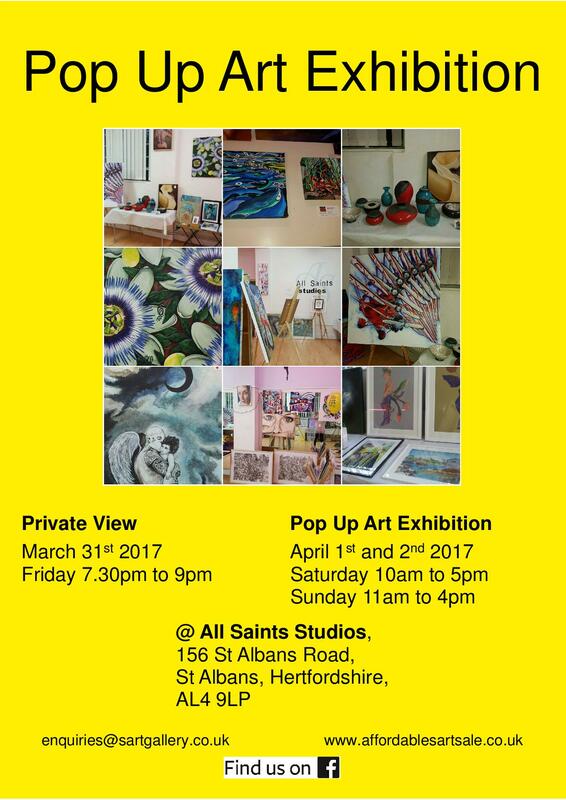 31st March to 2nd April 2017 @ All Saints Studios, St Albans. 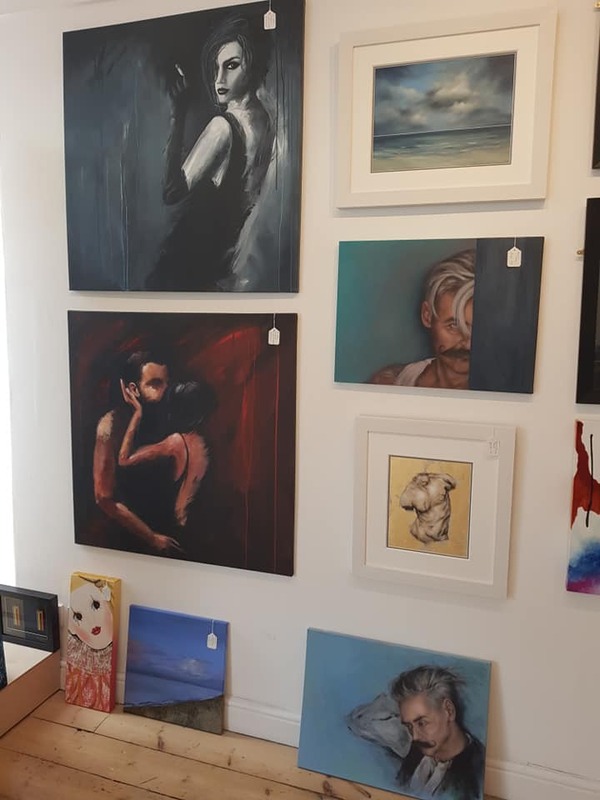 Exhibiting Artists: Allison Sherburne, Amy Pettingill, Audrey Bowling, Chantal Ridings, Dawn Rodger, Emma Franc, Jo Eden, Kimberley Bevan, Laura Dunmow, Louise Thompson, Magdalena Jachmiak, Maz Cason, Natalie Mills, Rachel Jones, Rachel Lowes, Samantha Hurley, Sue Patient, Suse Nielebock. 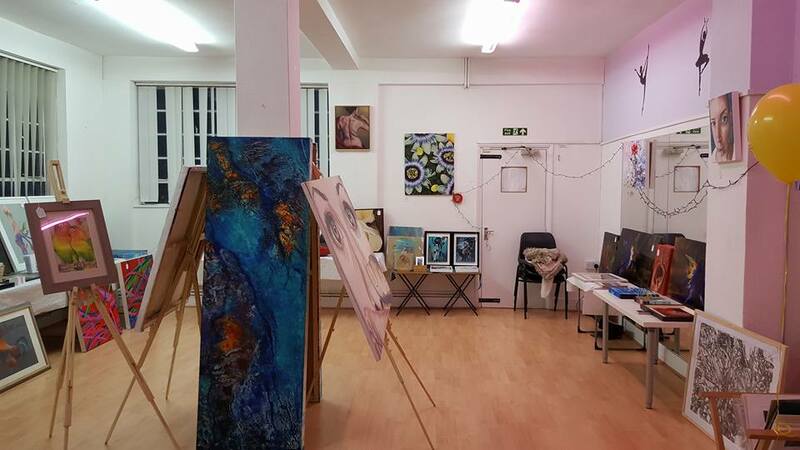 9th to 11th December 2016 @ All Saints Studios, St Albans. 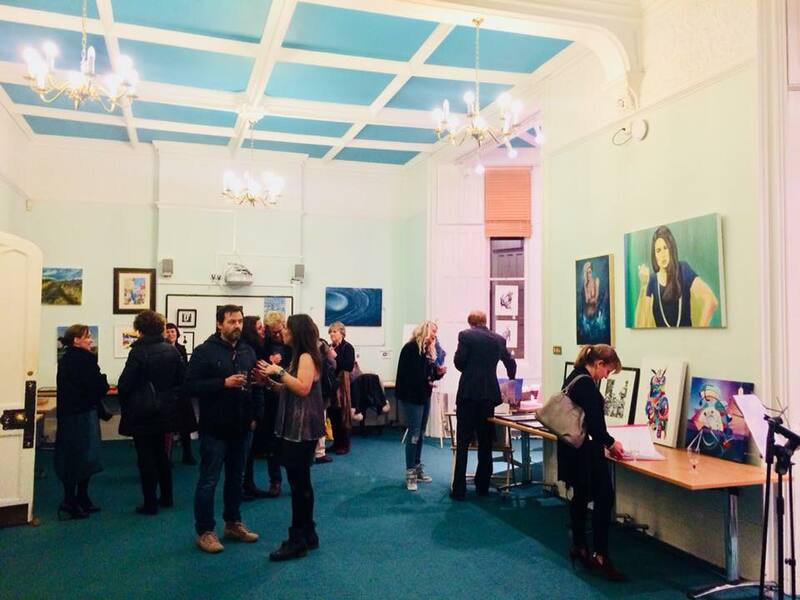 Exhibiting Artists: Audrey Bowling, Louise Thompson, Allison Sherburne, Suse Nielebock, Sue Patient, Rachel Jones, Laura Dunmow, Kimberley Bevan, Rachel Lowes, Magdalena Jachmiak, Jo Eden, Emma Franc, Chantal Ridings, Natalie Mills, Dawn Rodger, Joanne Bowes, Amy Pettingill, Samantha Hurley. 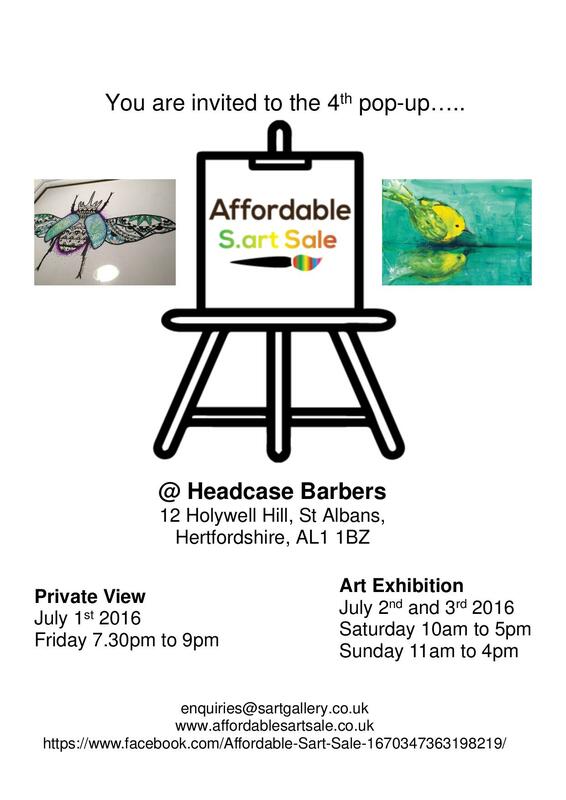 1st to 3rd July 2016 @ Headcase Barbers, St Albans. 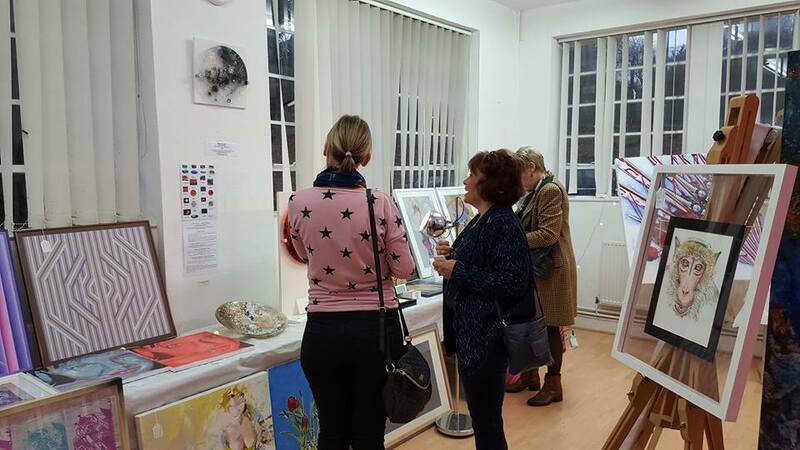 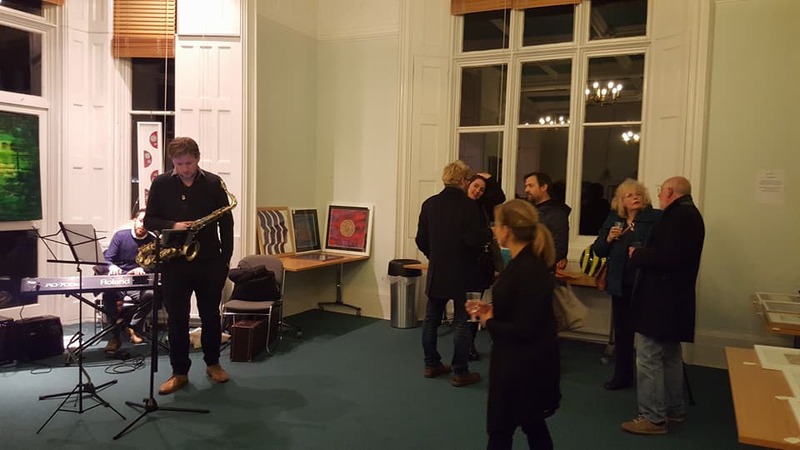 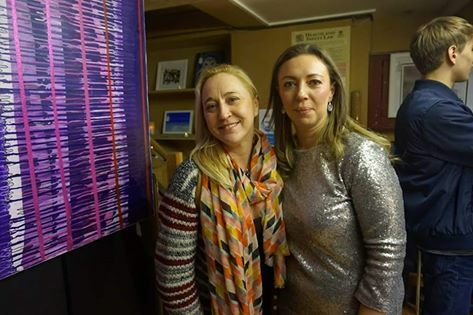 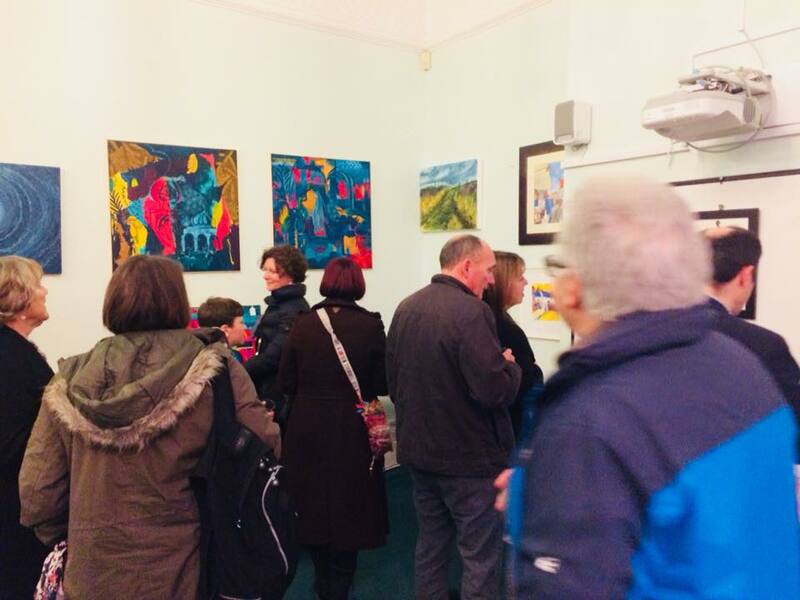 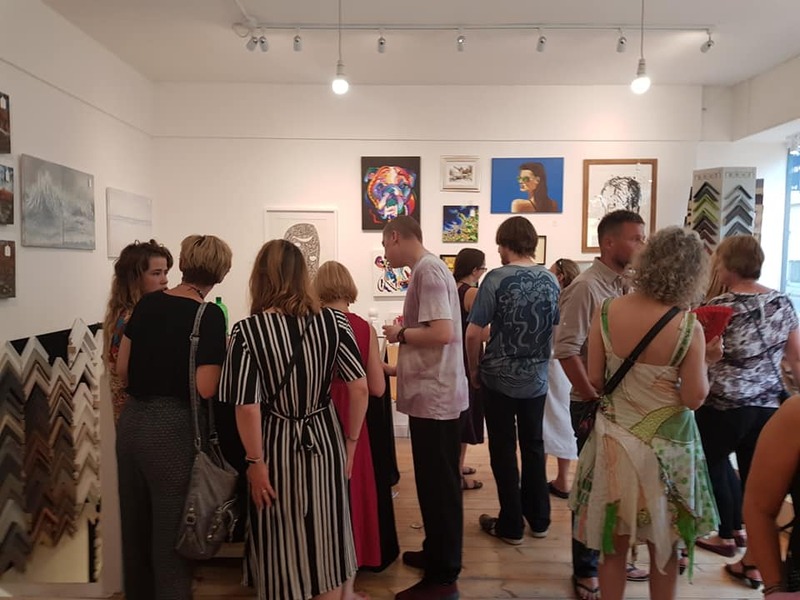 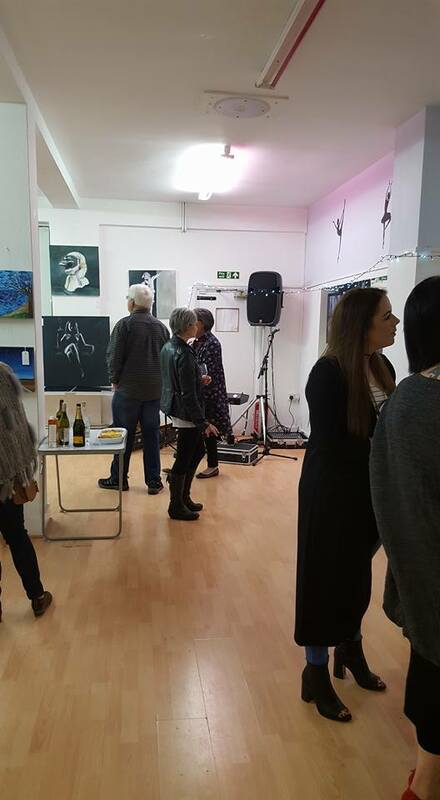 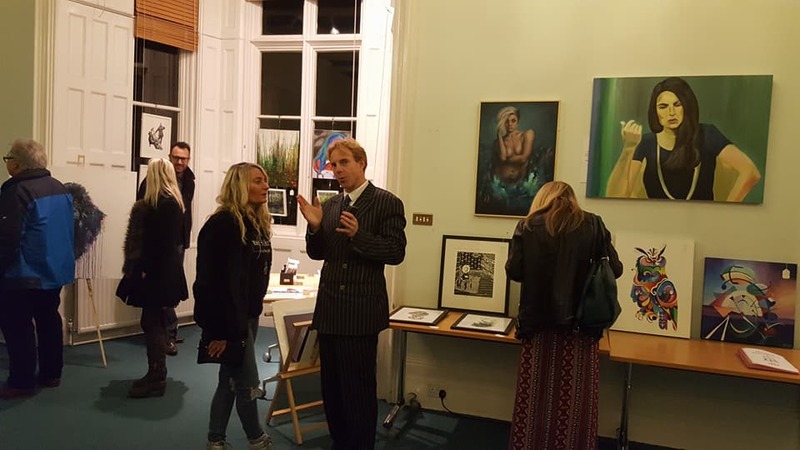 Exhibiting Artists were Rachel Jones, Laura Haynes, Laura Marsden, Judith Menges, Amy Pettingill, Ruby Lewis, Chantal Ridings, Rachel Oxborough, Susan Chester, Samantha Hurley, Samantha James, Tara Williams, Mike Adkins, Margaret Payne, Edie Jolley, Stephen Hill. 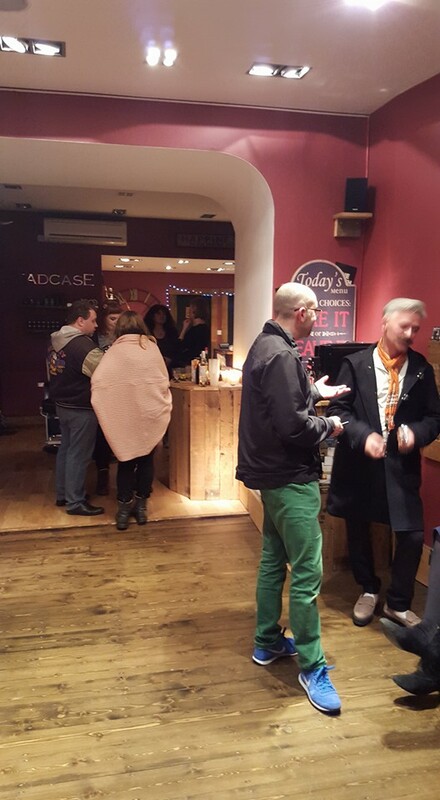 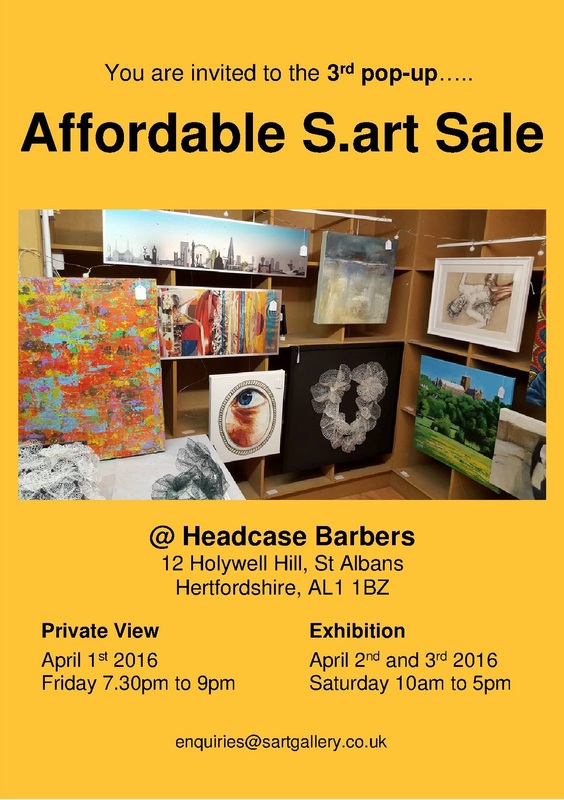 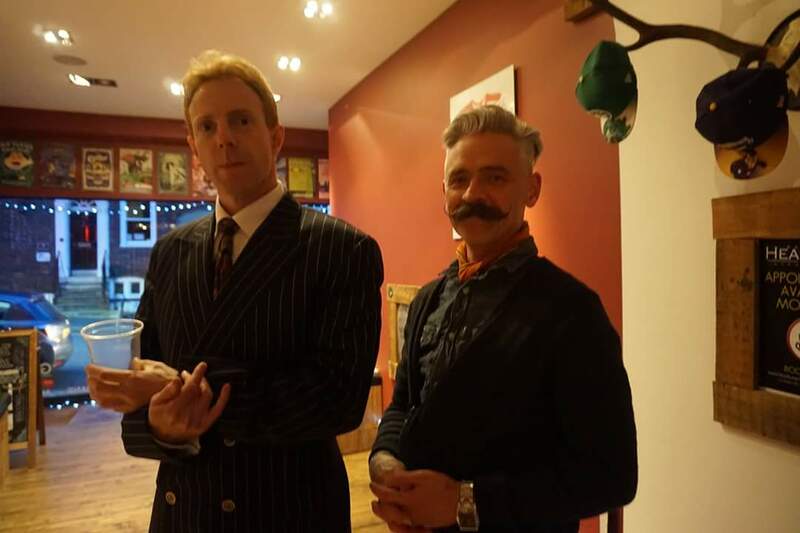 1st to 3rd April 2016 @ Headcase Barbers, St Albans. 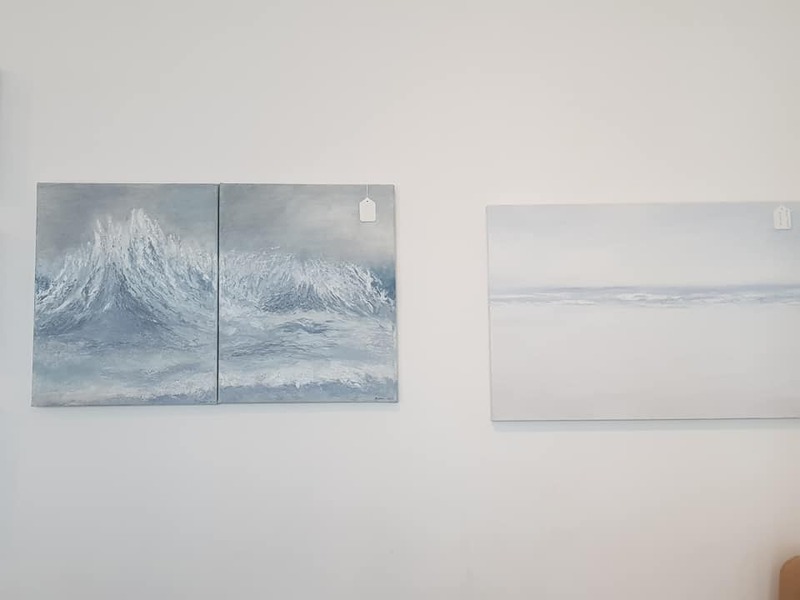 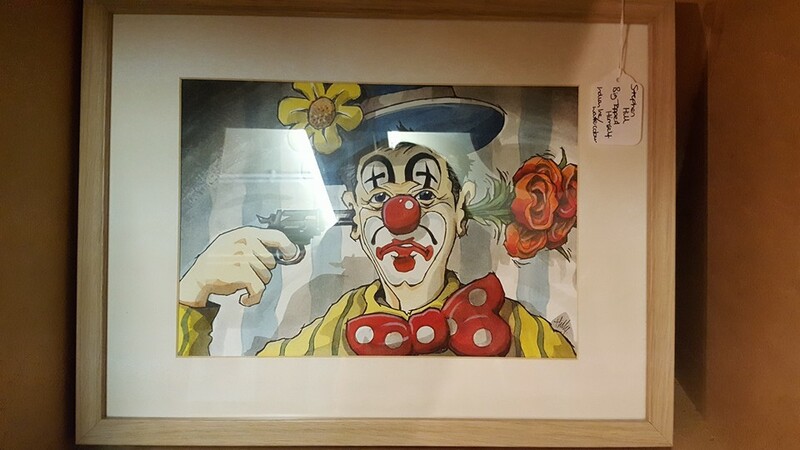 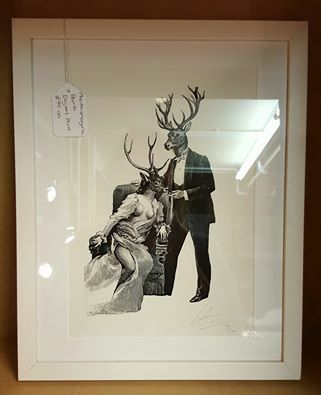 Title, Medium, Size and Price. 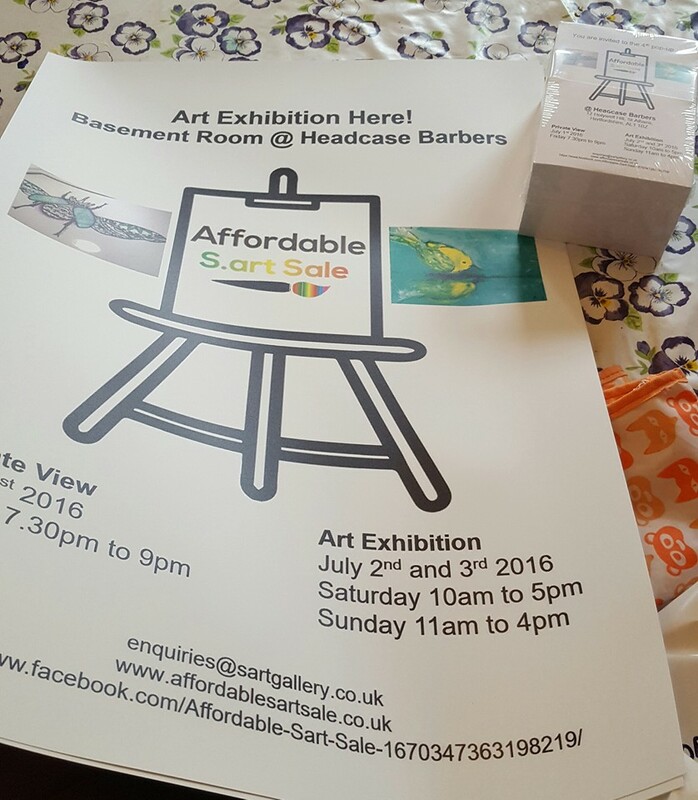 Or alternatively email your website link and any social media page link.